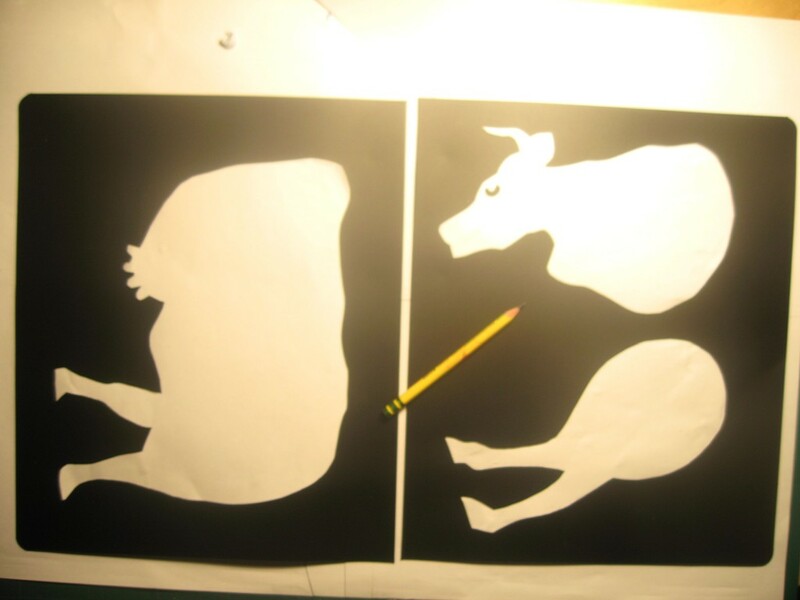 Click on the photo to see it enlarged. 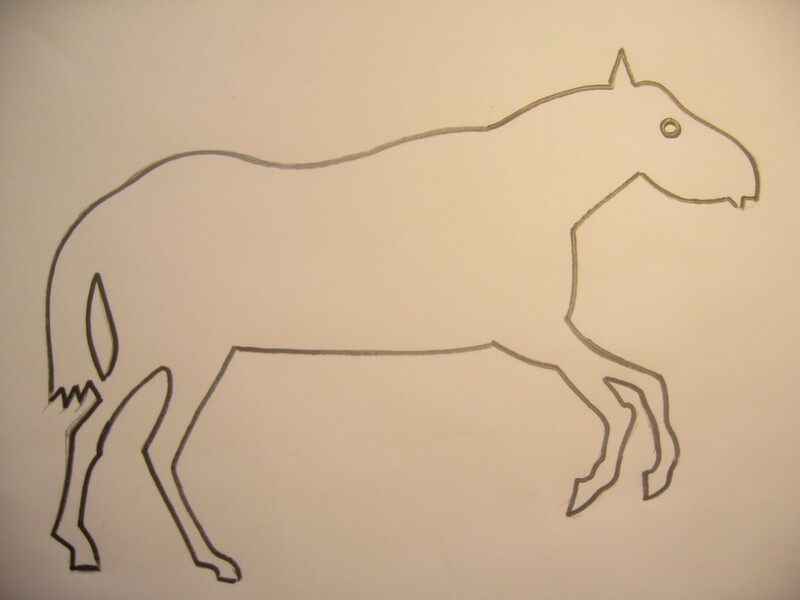 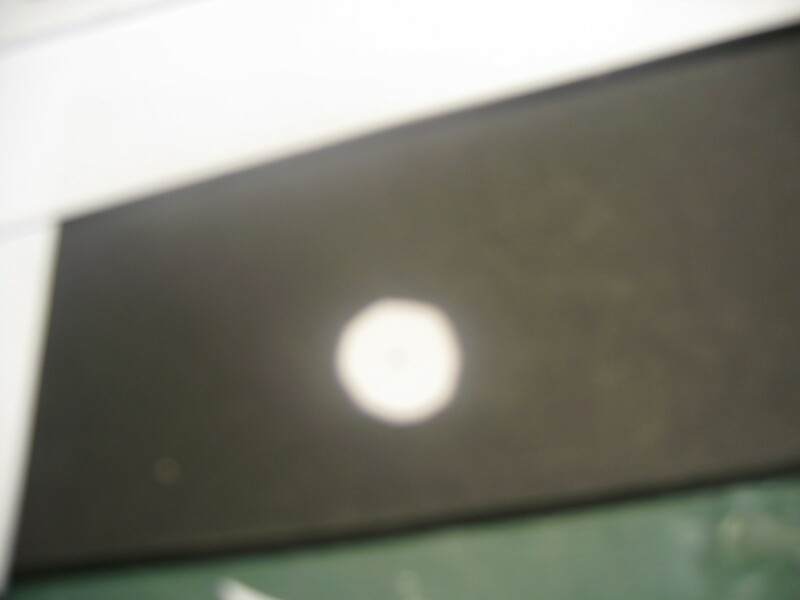 Click on the right of the photo to see the next one, on the left to see the one before. 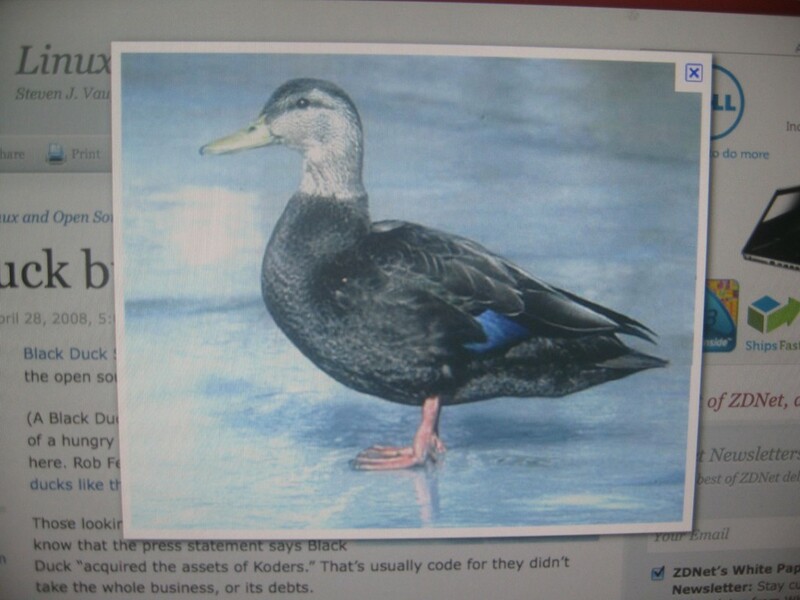 1) Find a picture of a duck from a book or the internet. 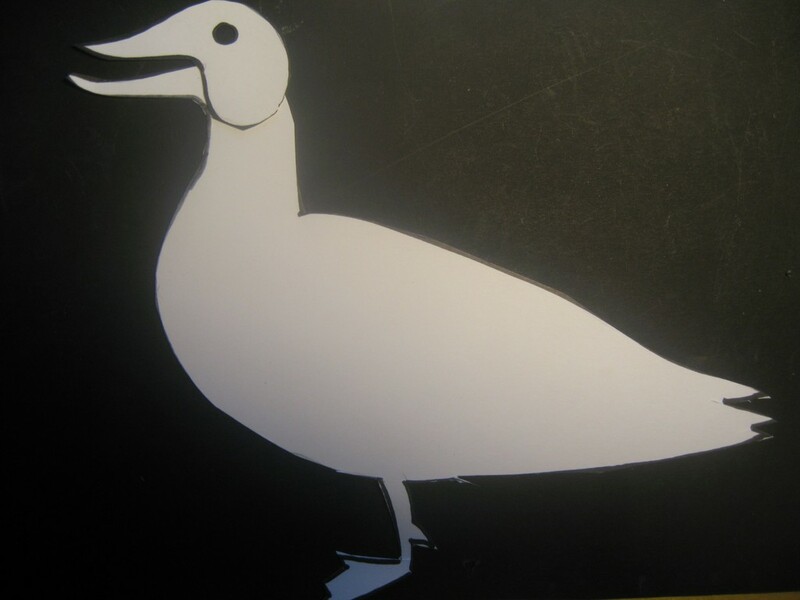 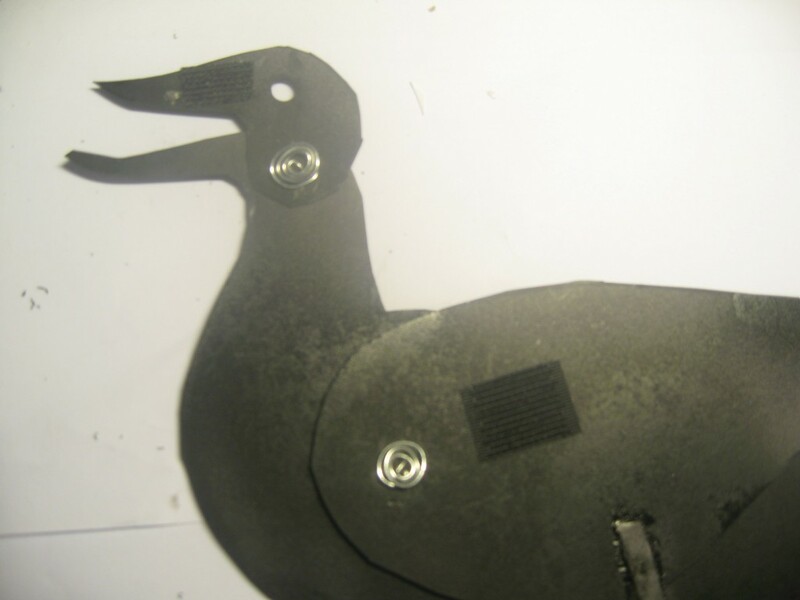 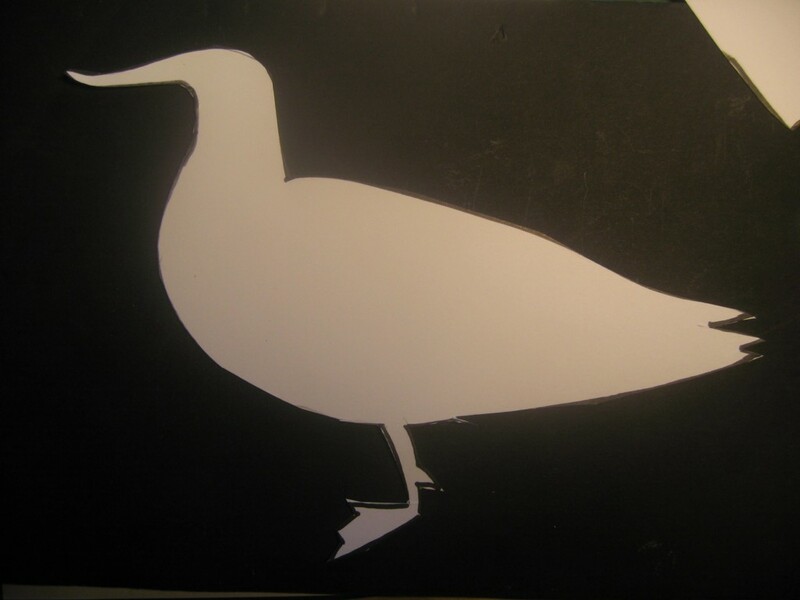 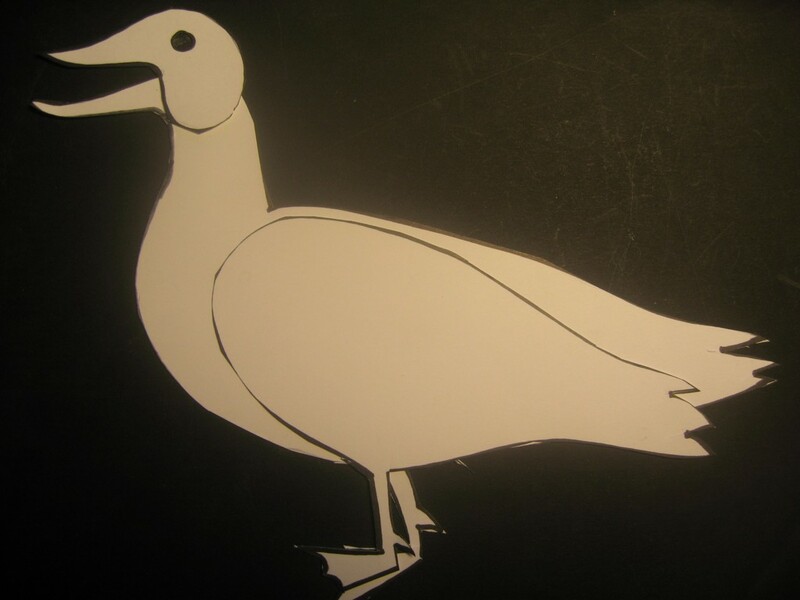 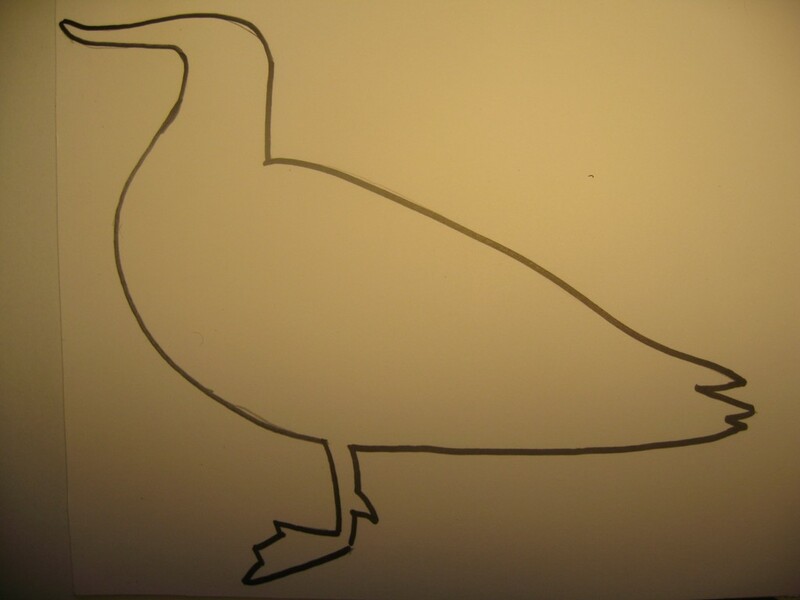 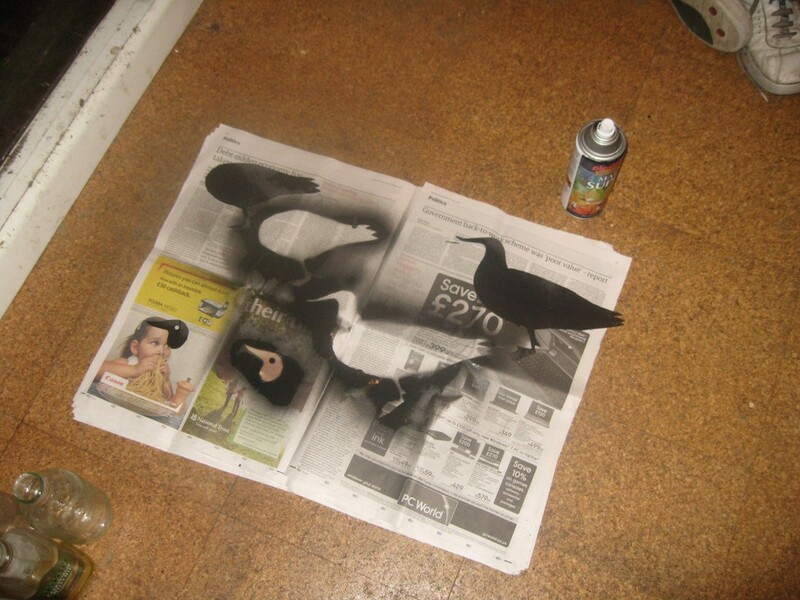 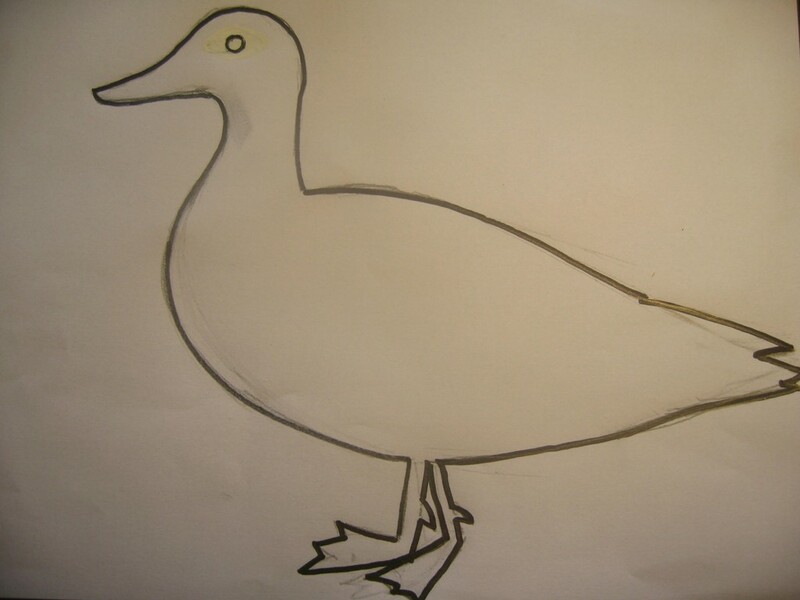 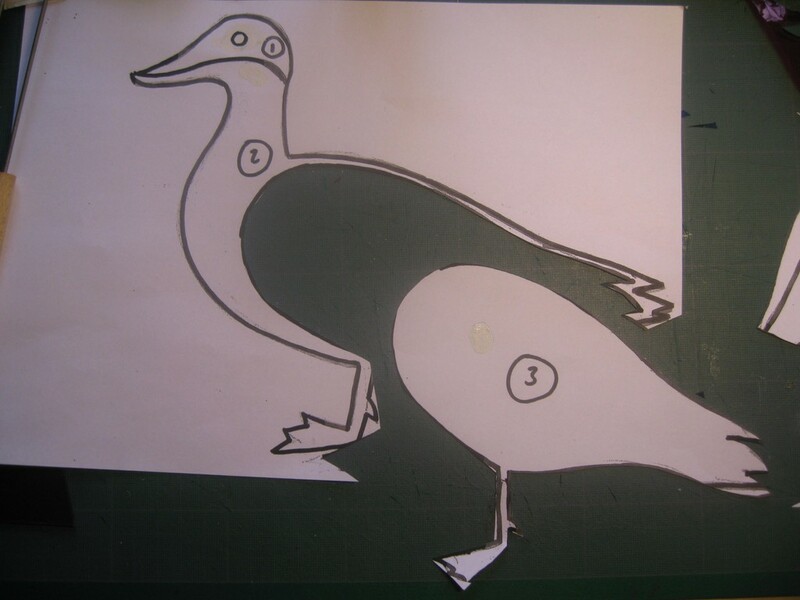 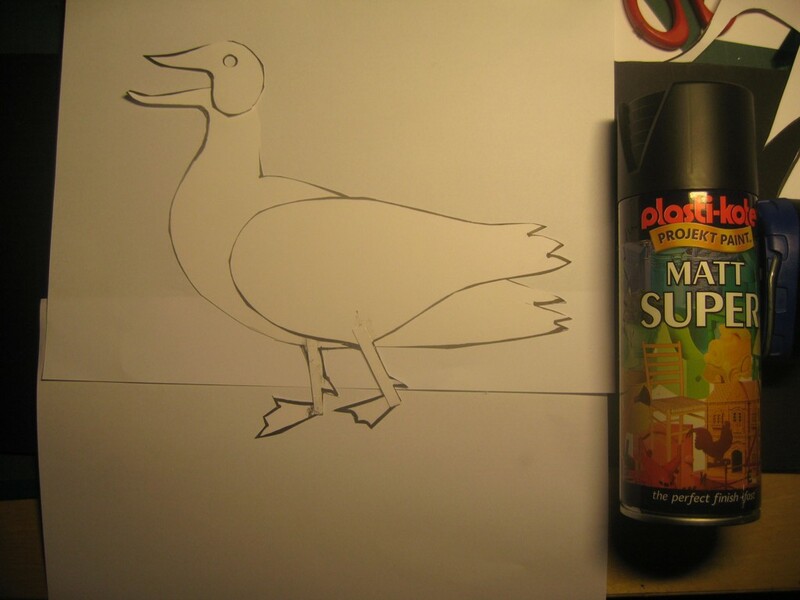 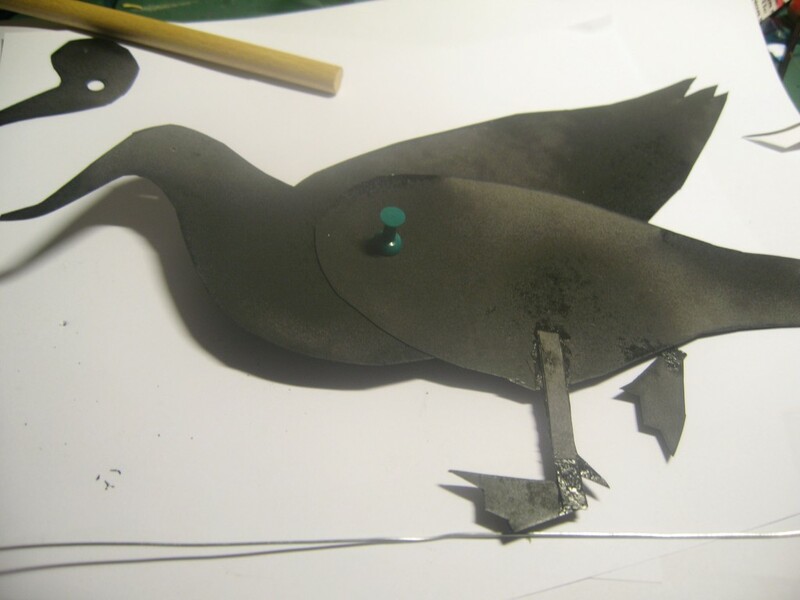 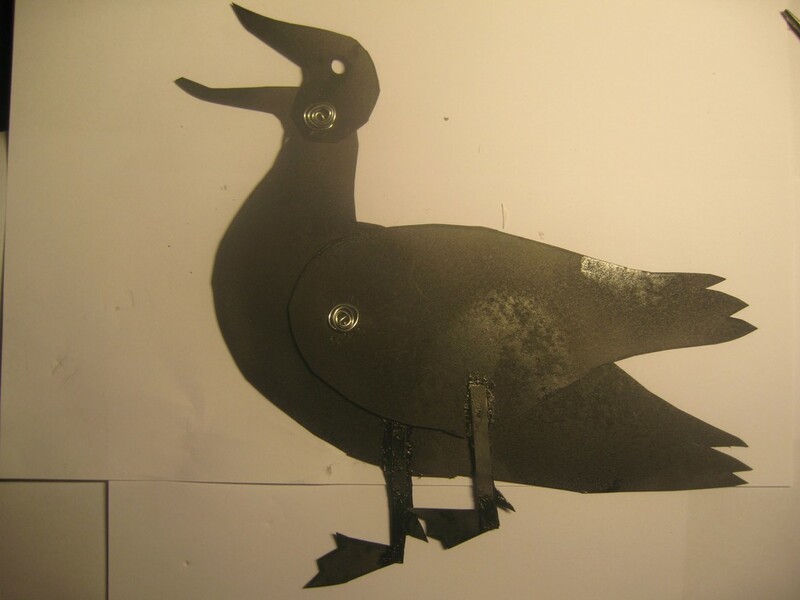 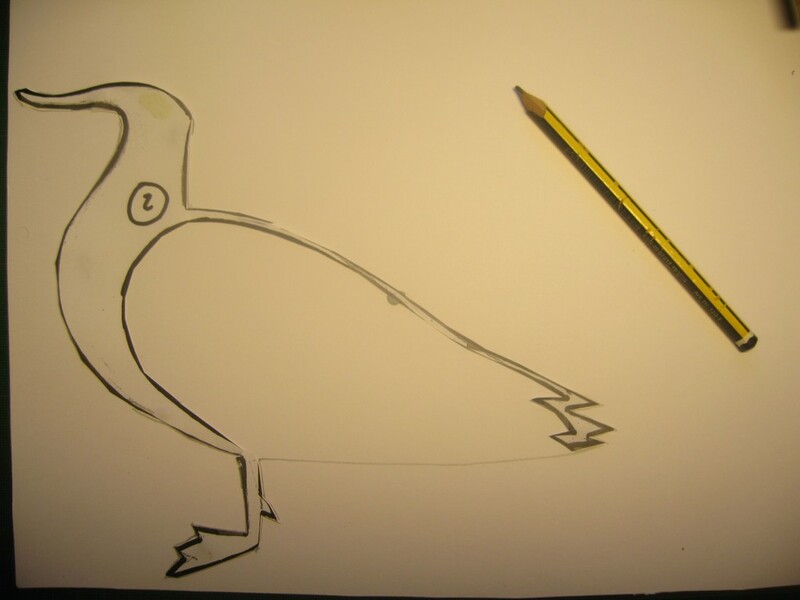 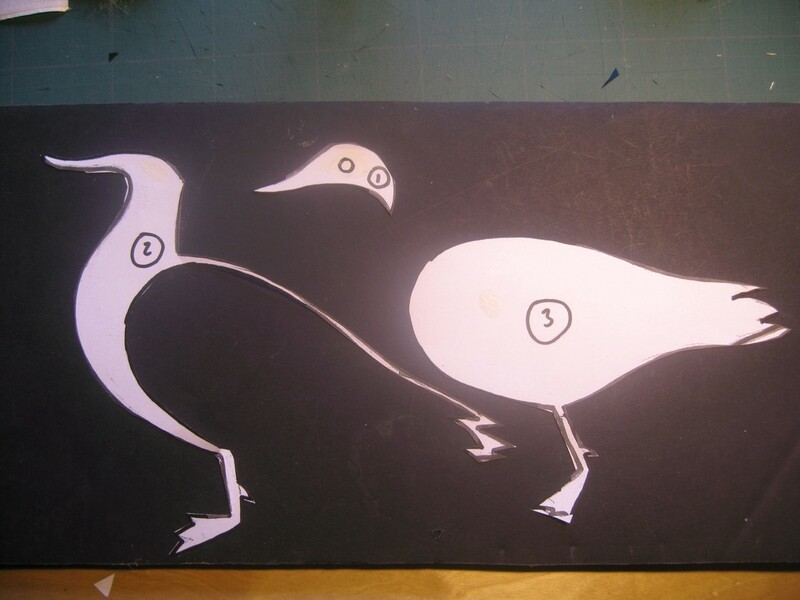 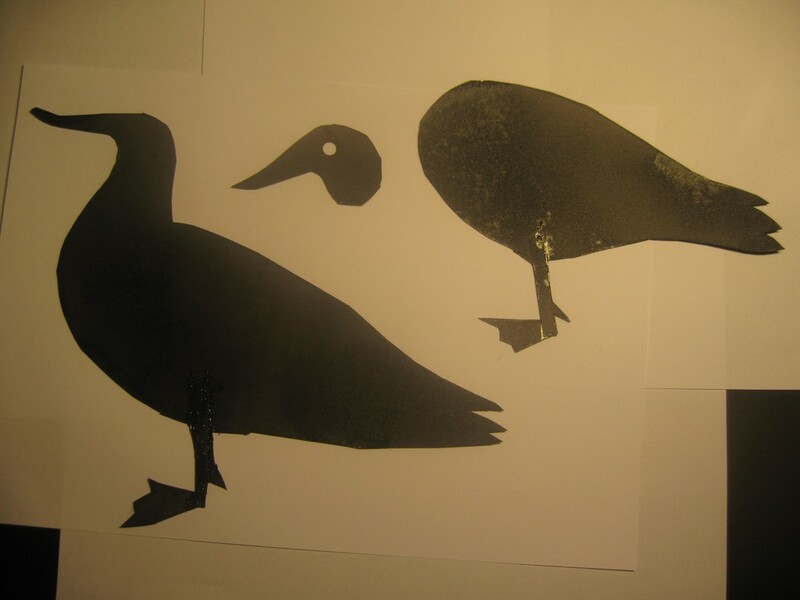 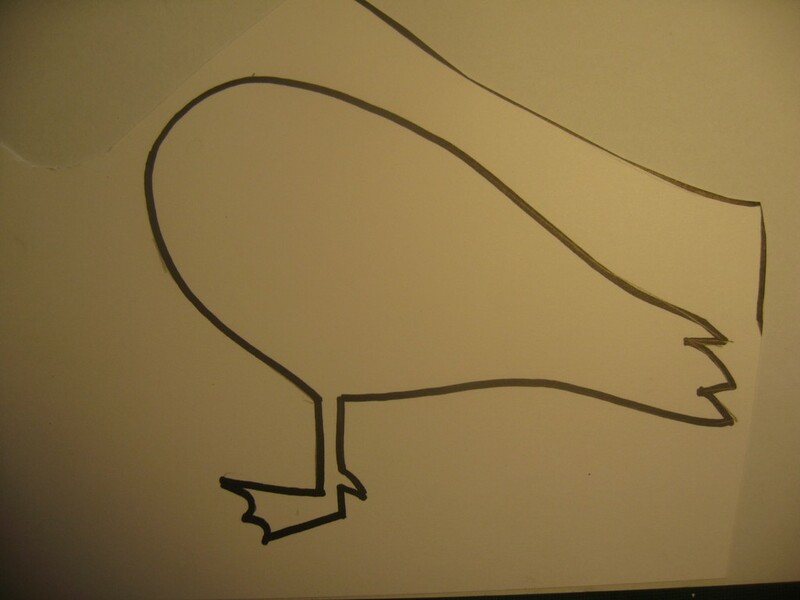 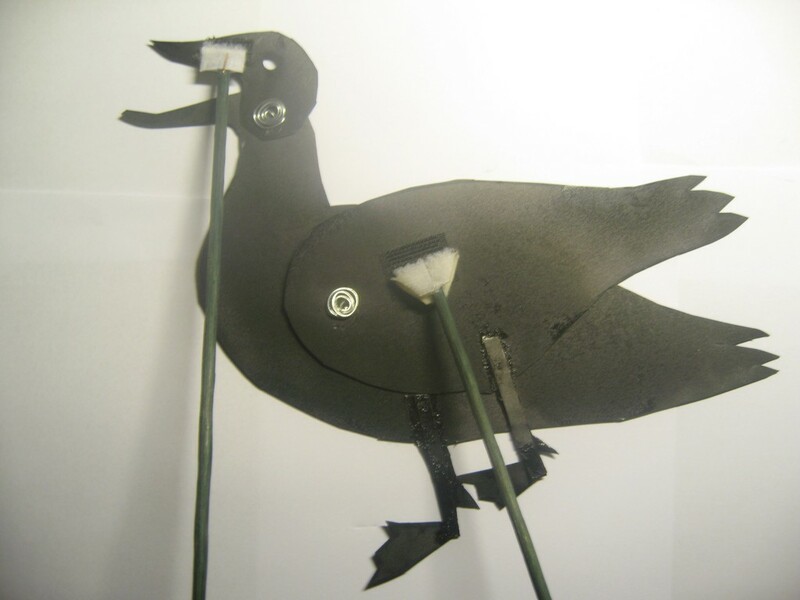 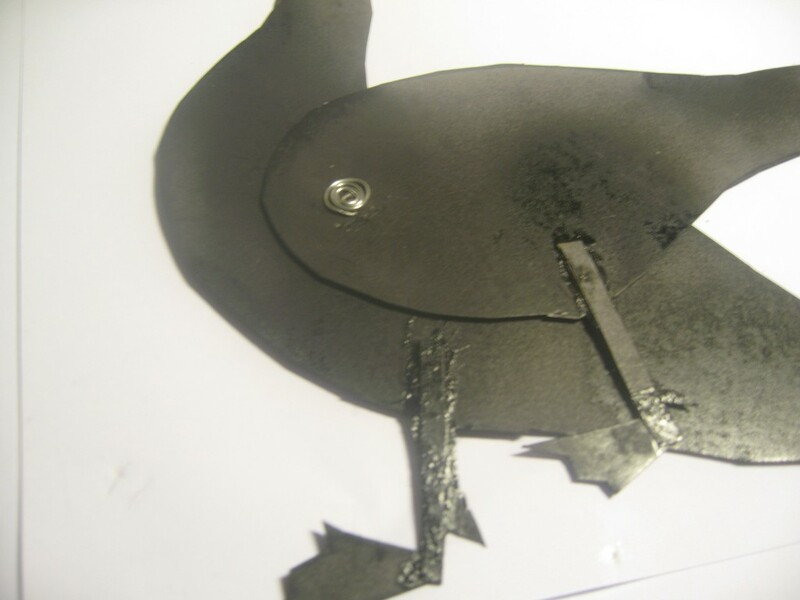 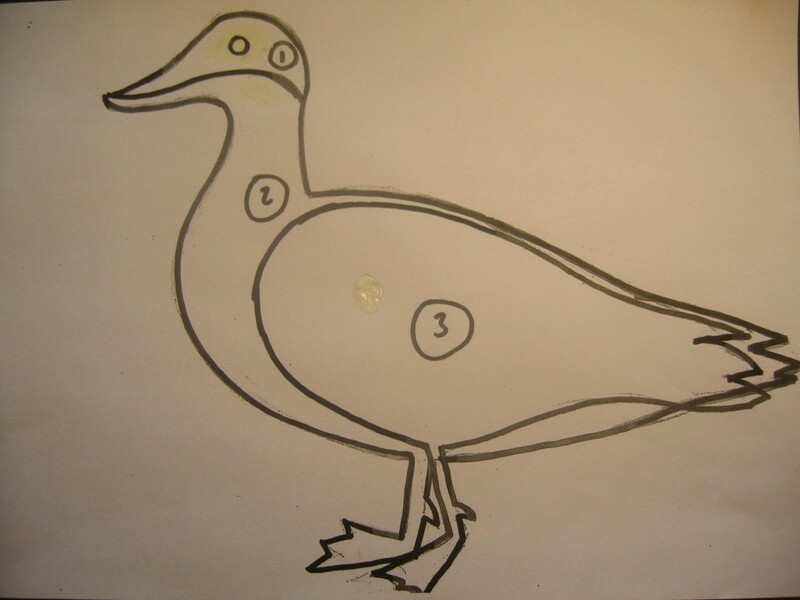 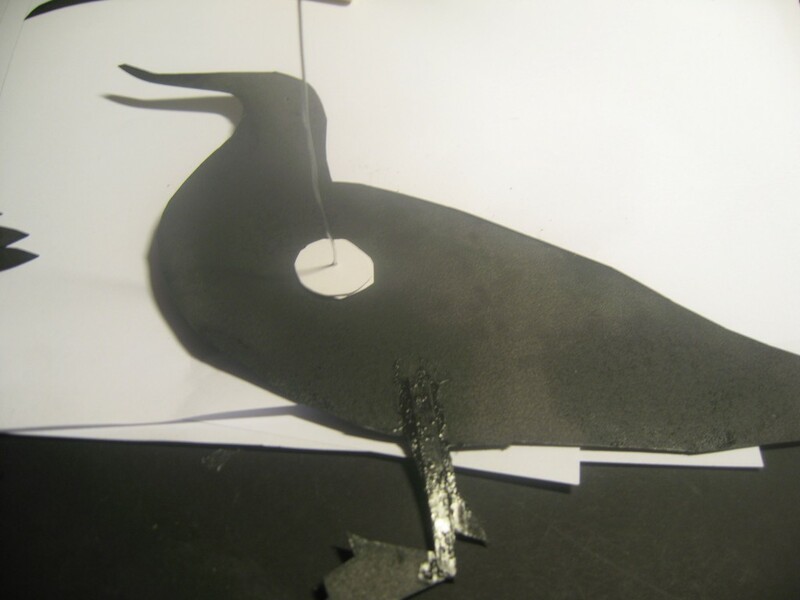 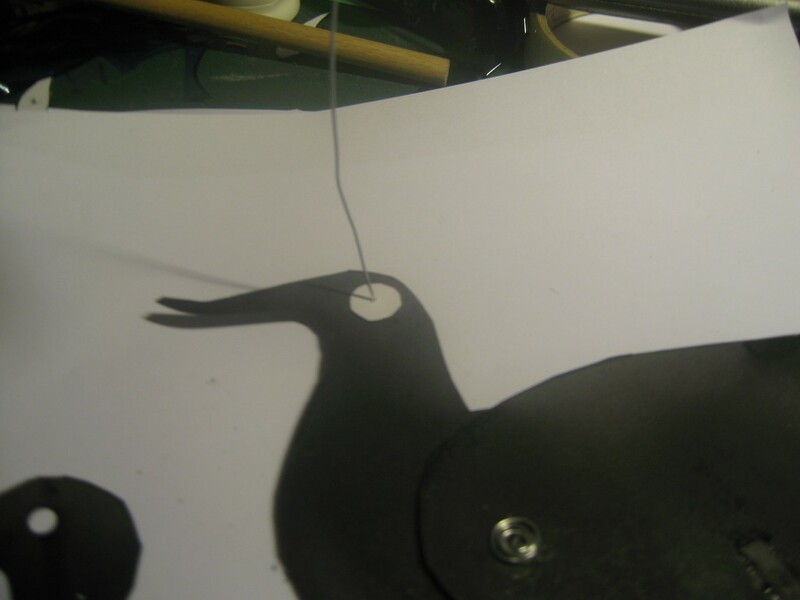 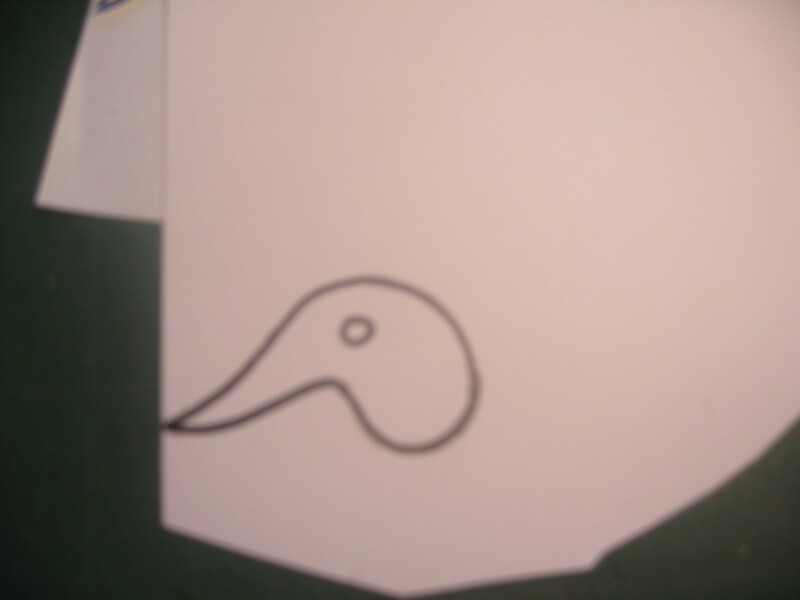 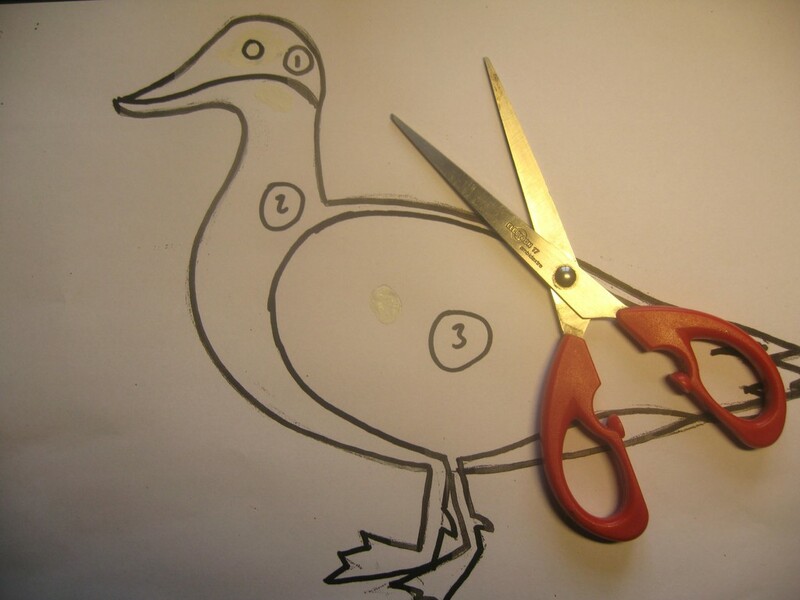 2) Draw your version of the duck onto some paper. 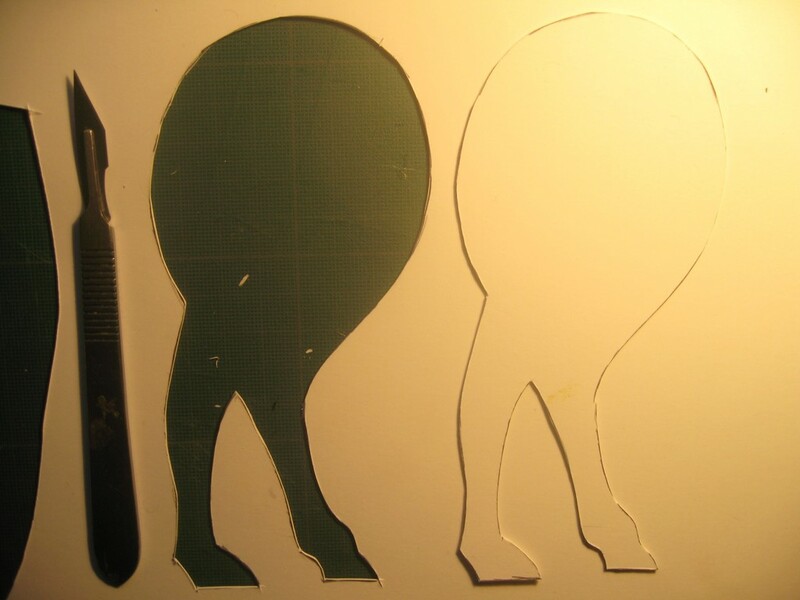 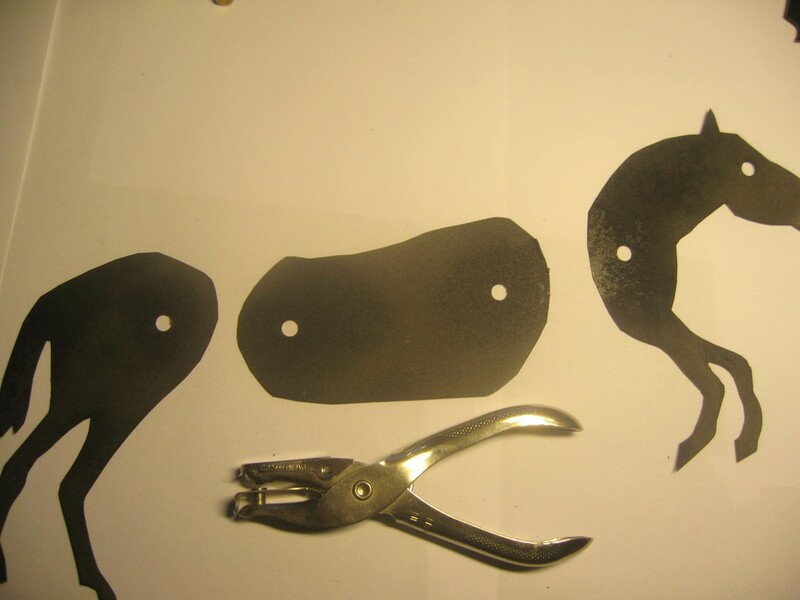 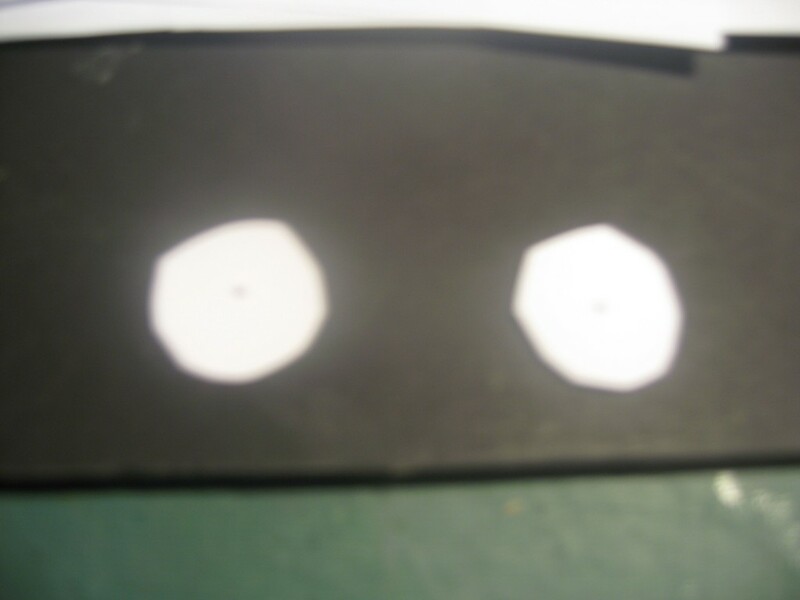 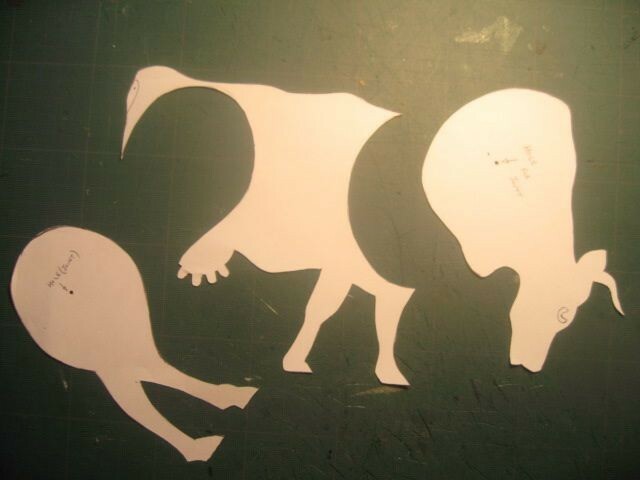 3) Decide how many parts you want to have for the puppet. 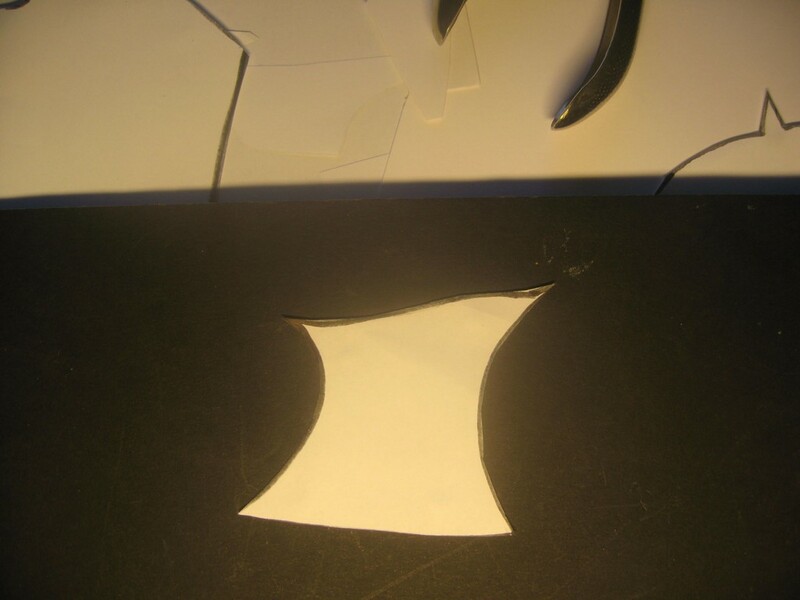 Draw parts onto the body. 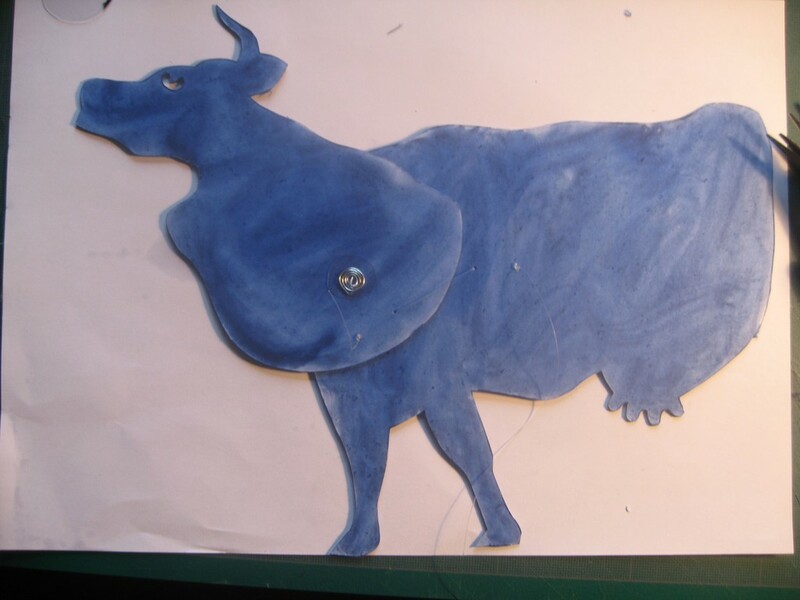 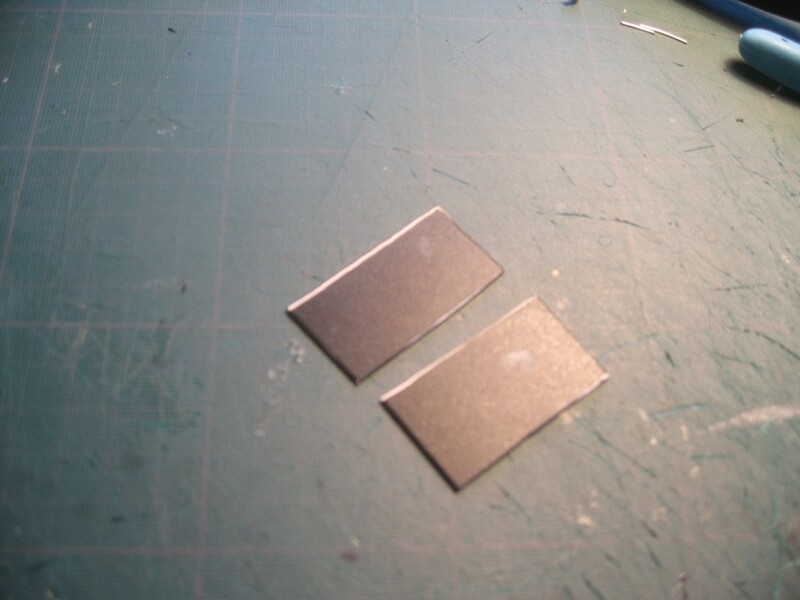 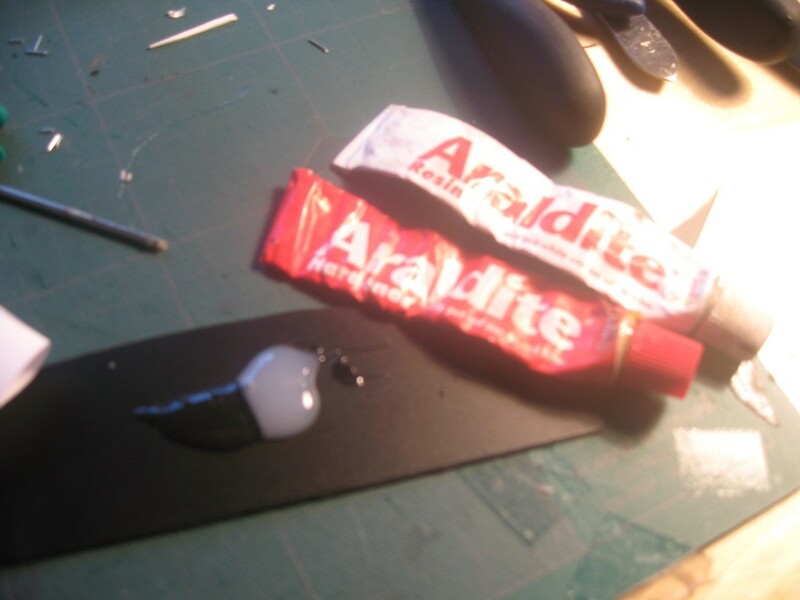 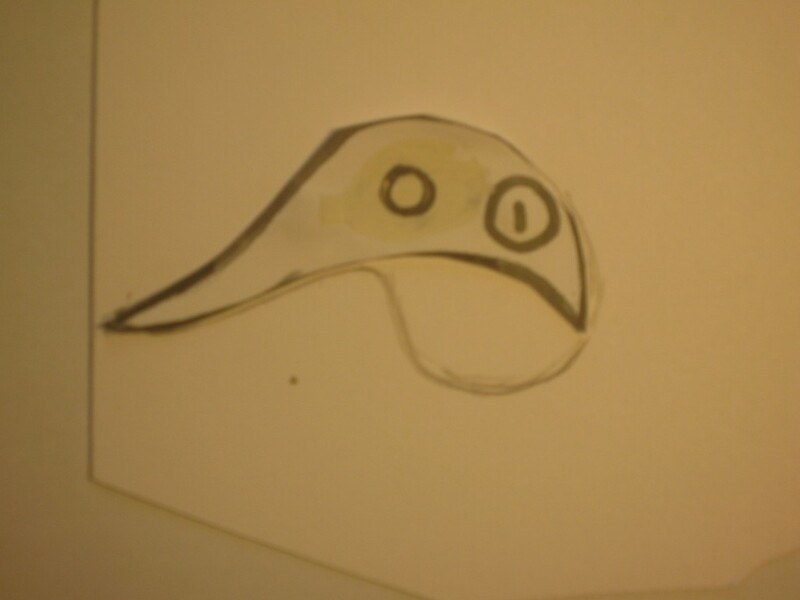 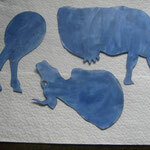 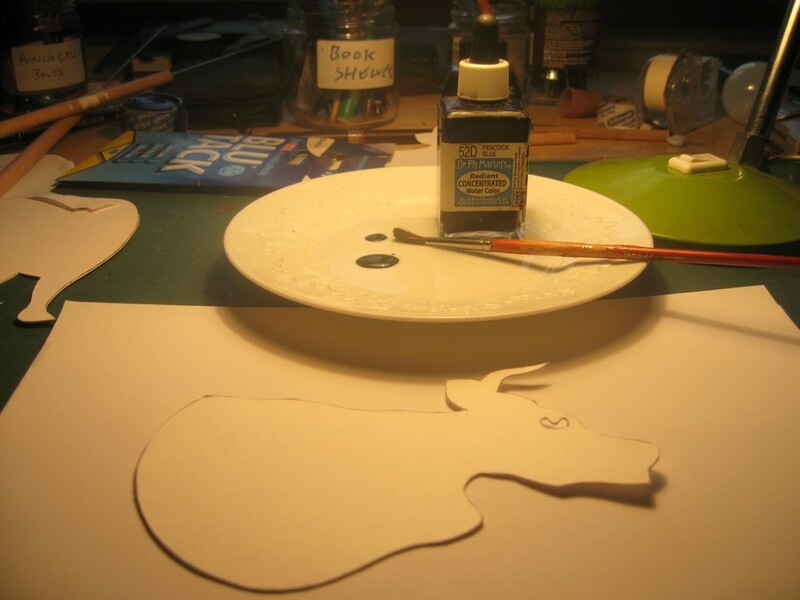 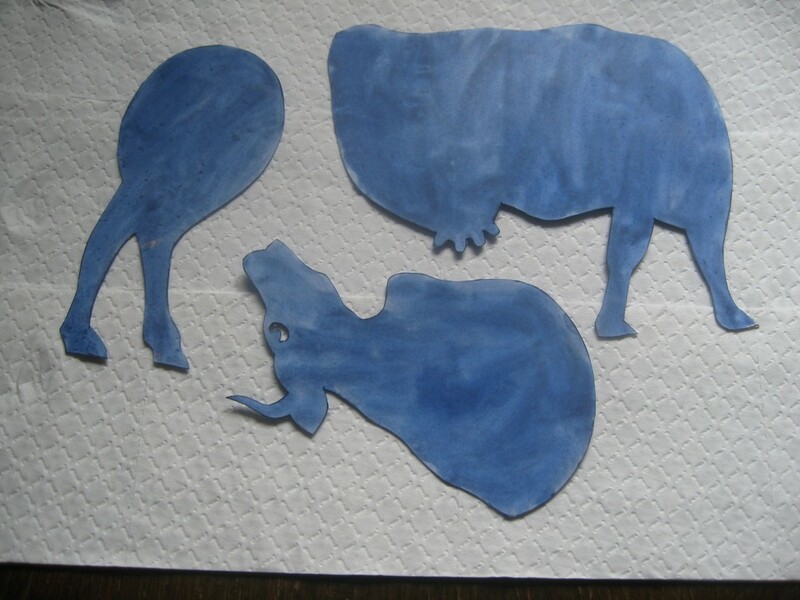 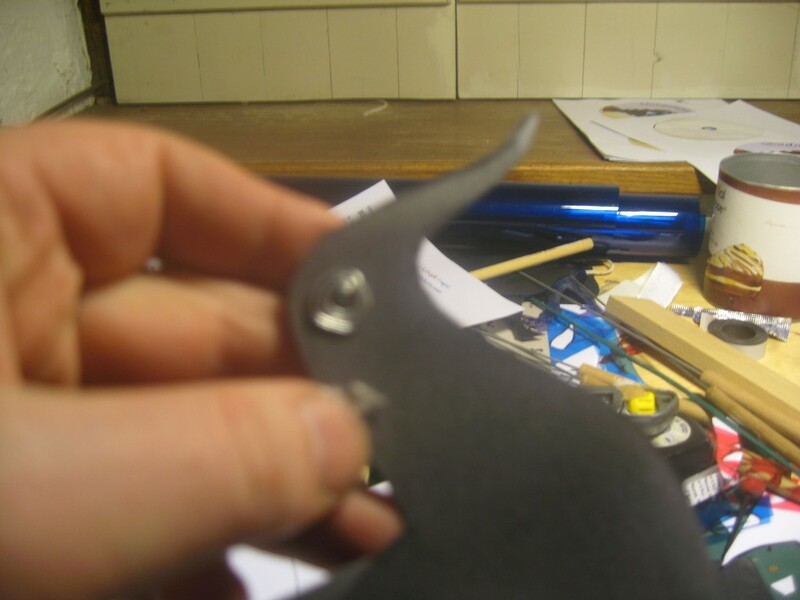 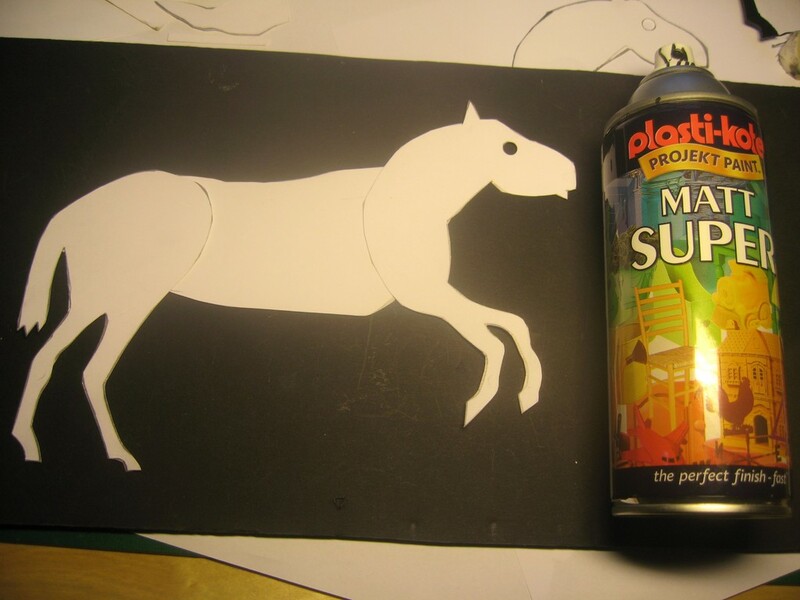 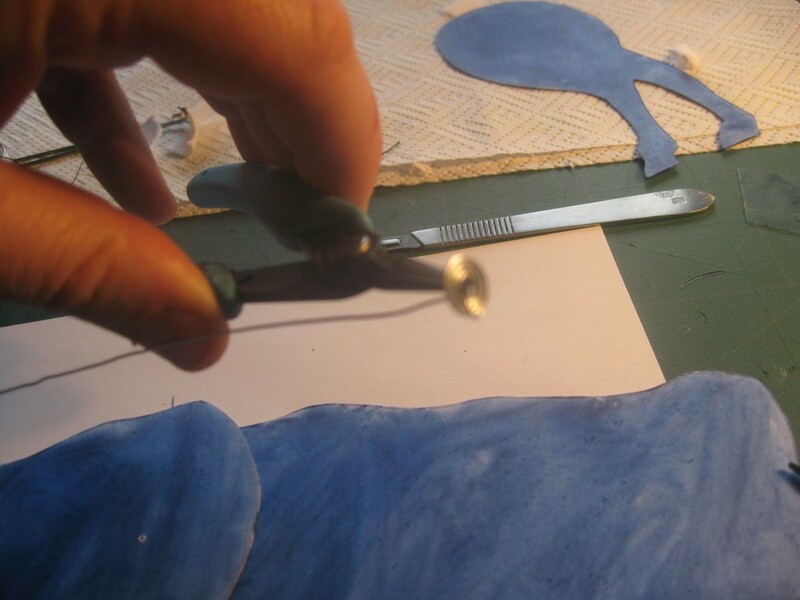 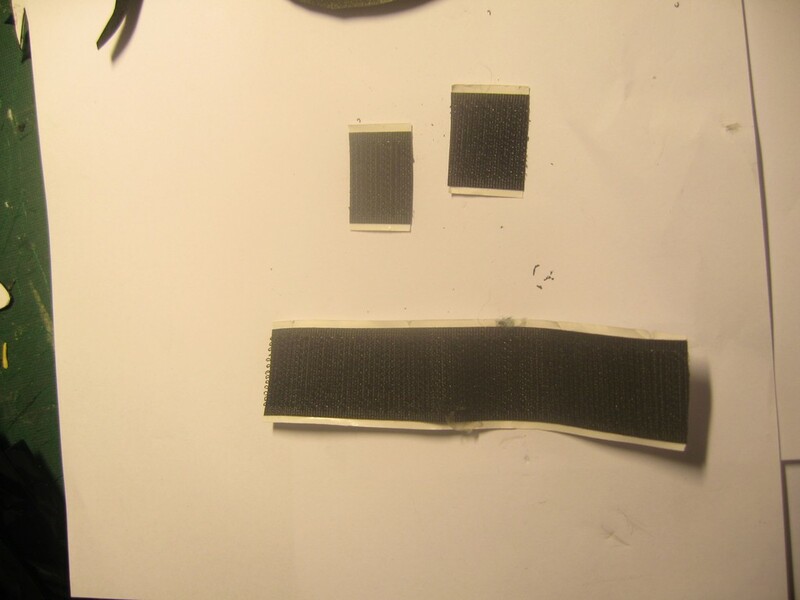 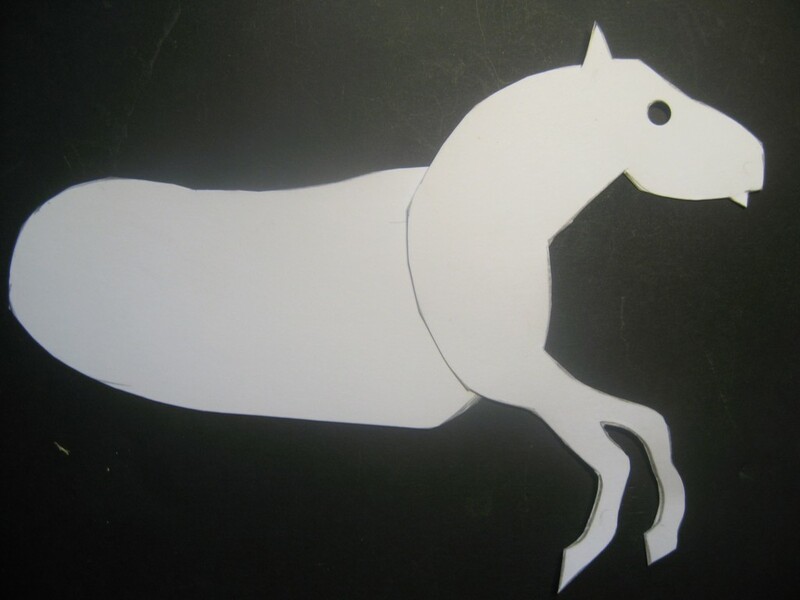 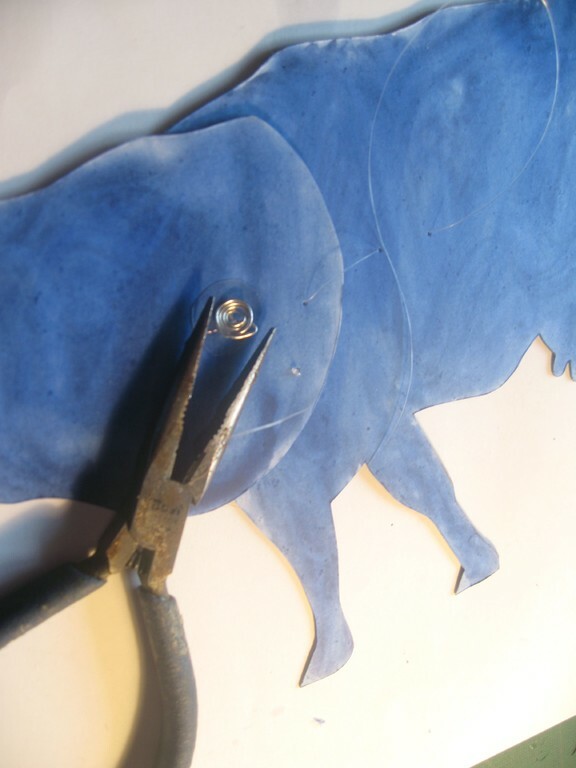 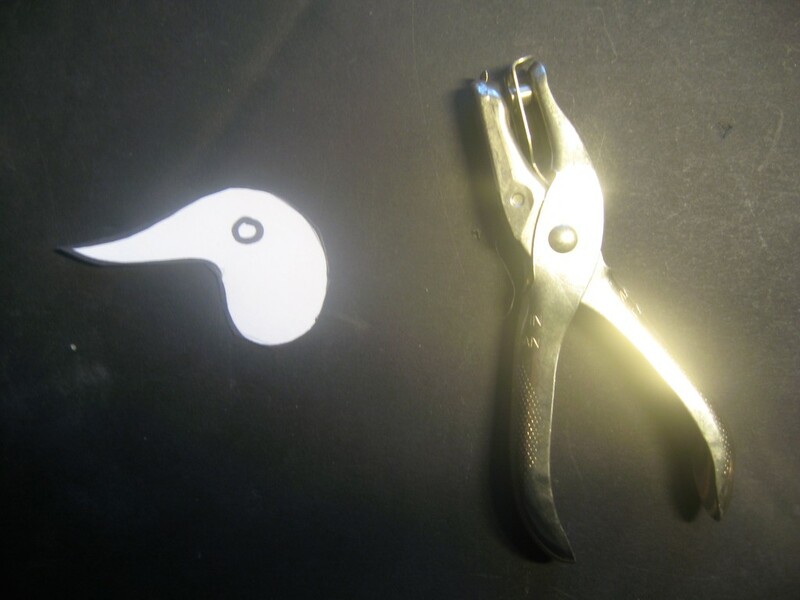 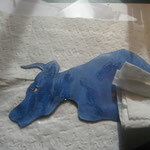 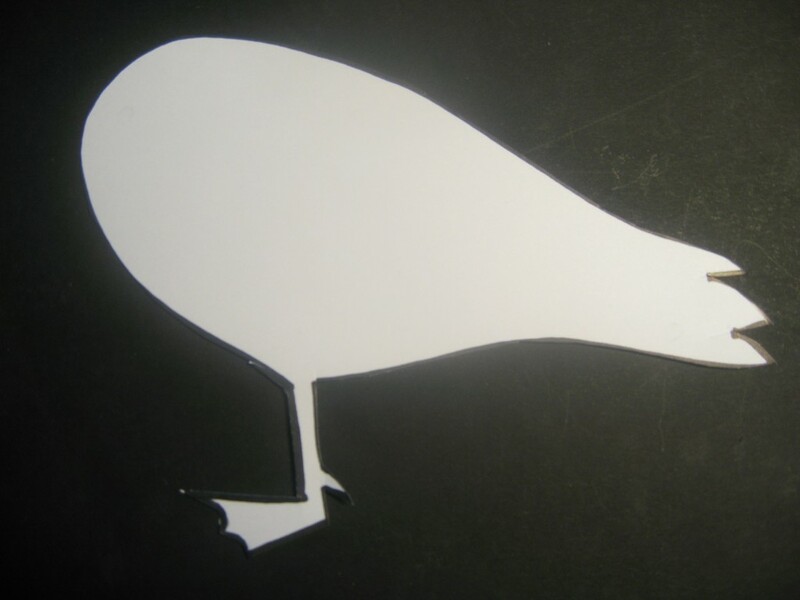 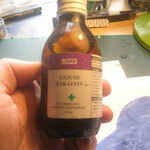 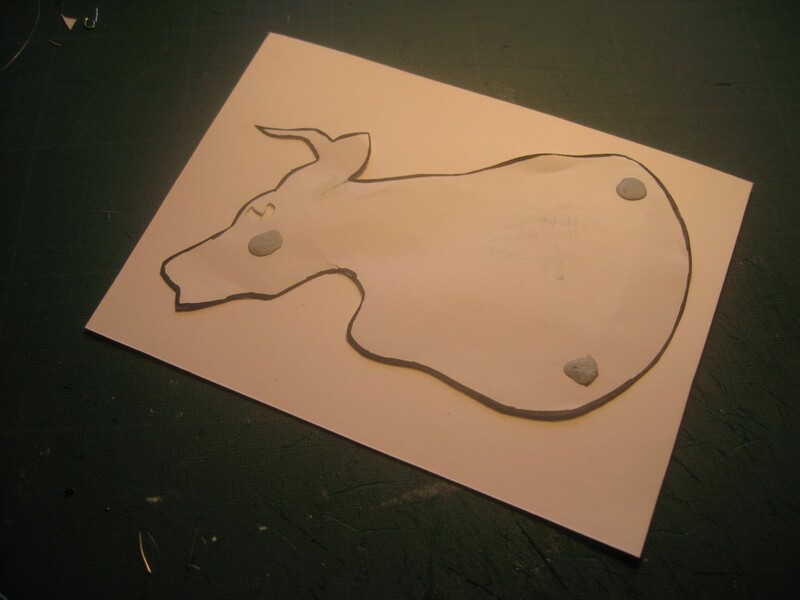 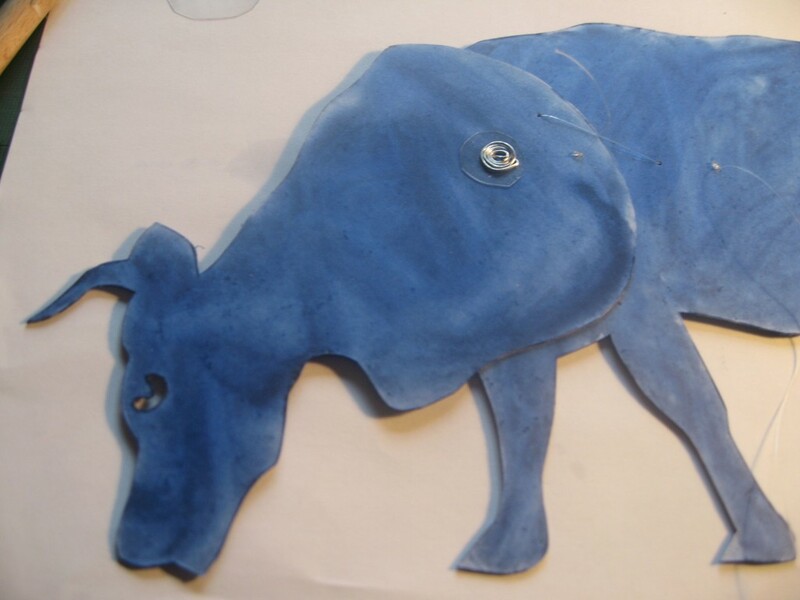 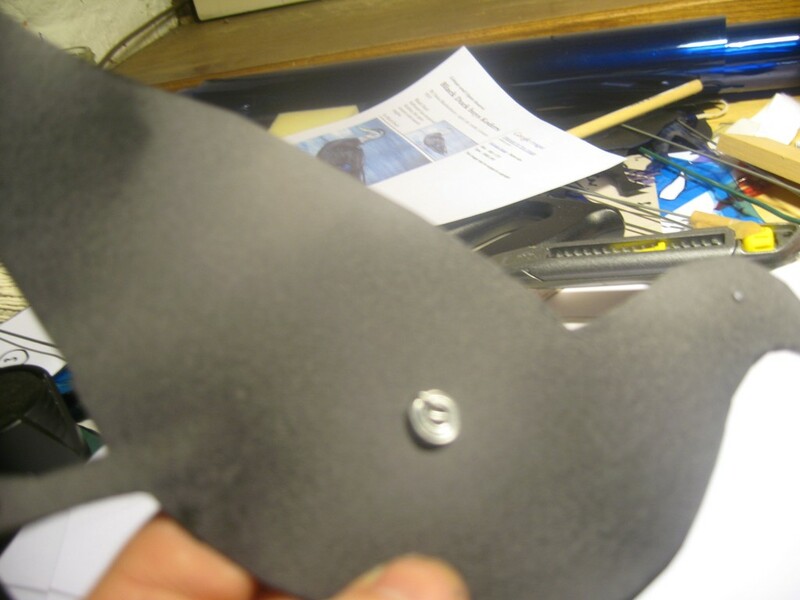 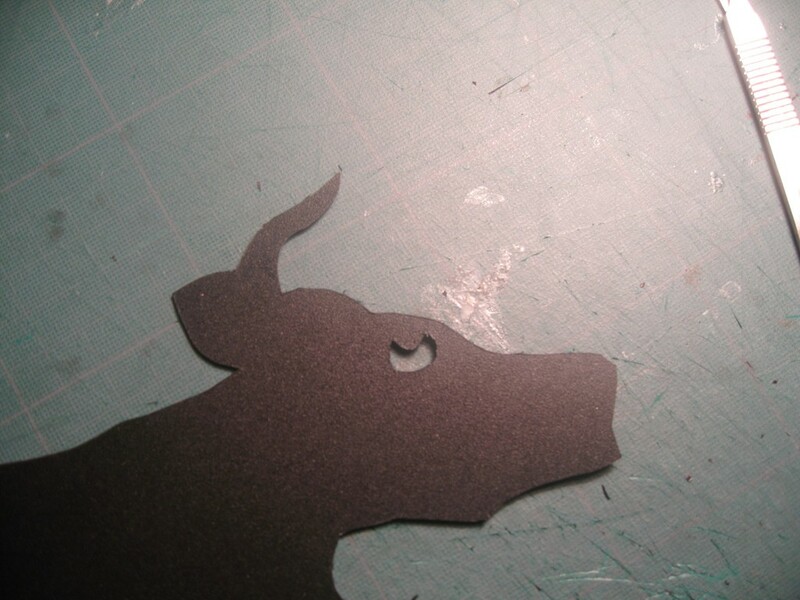 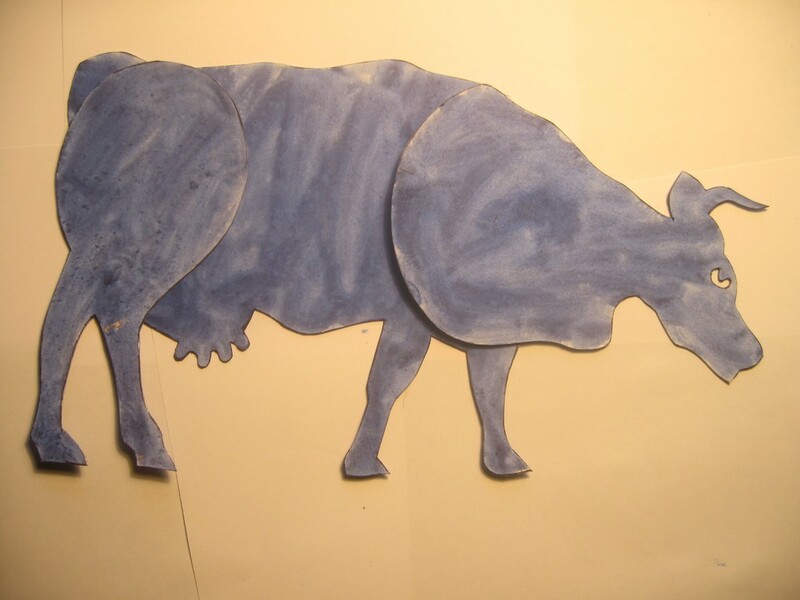 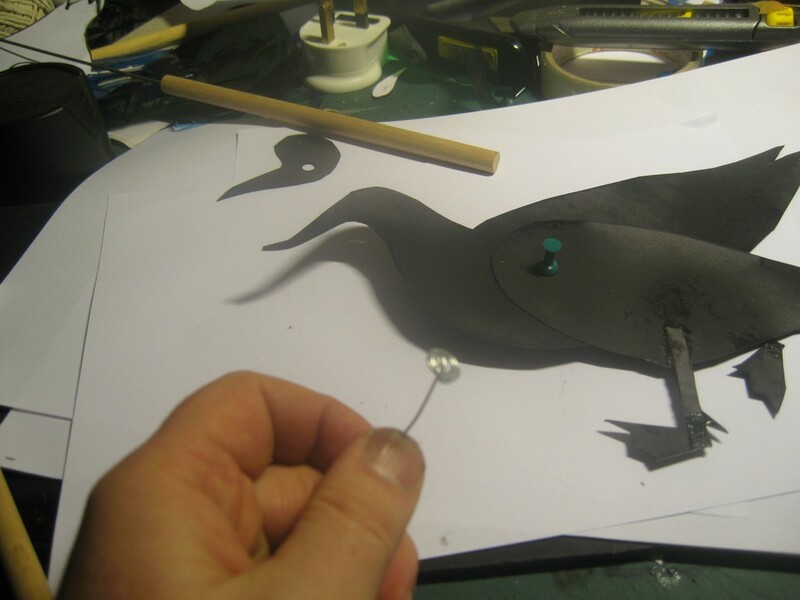 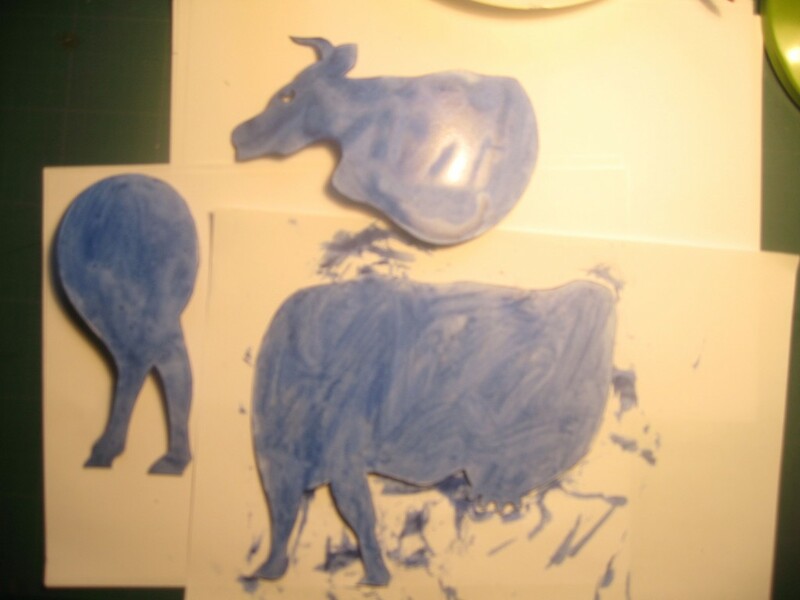 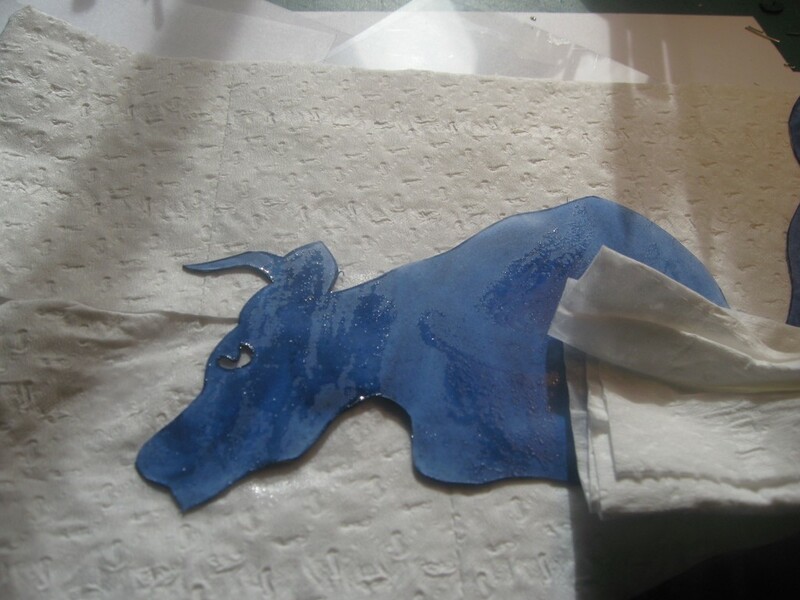 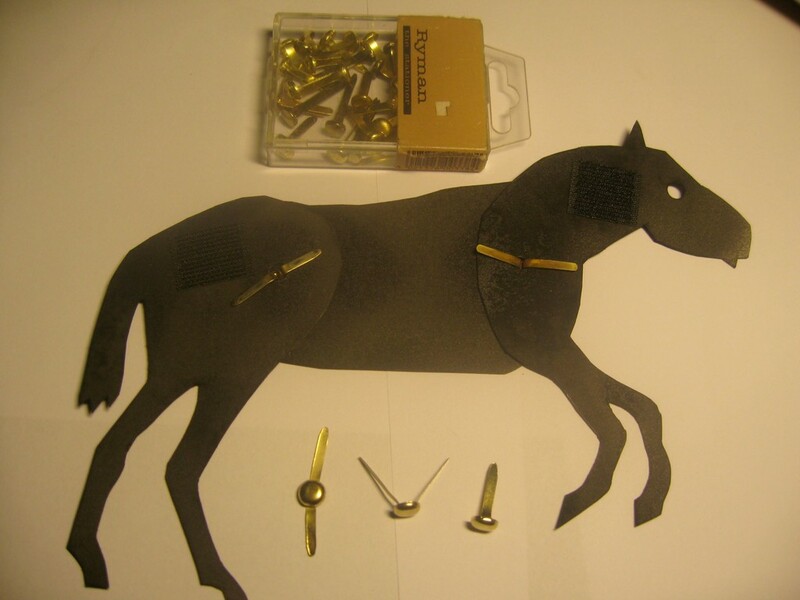 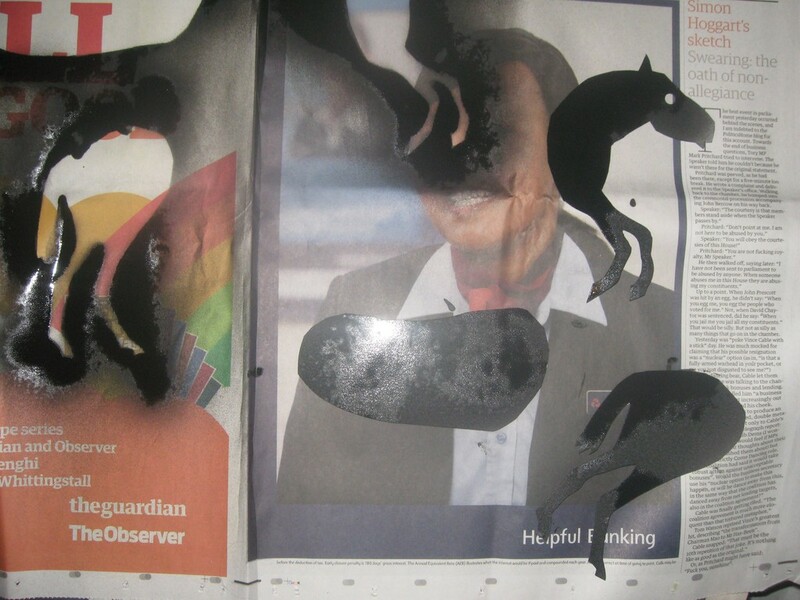 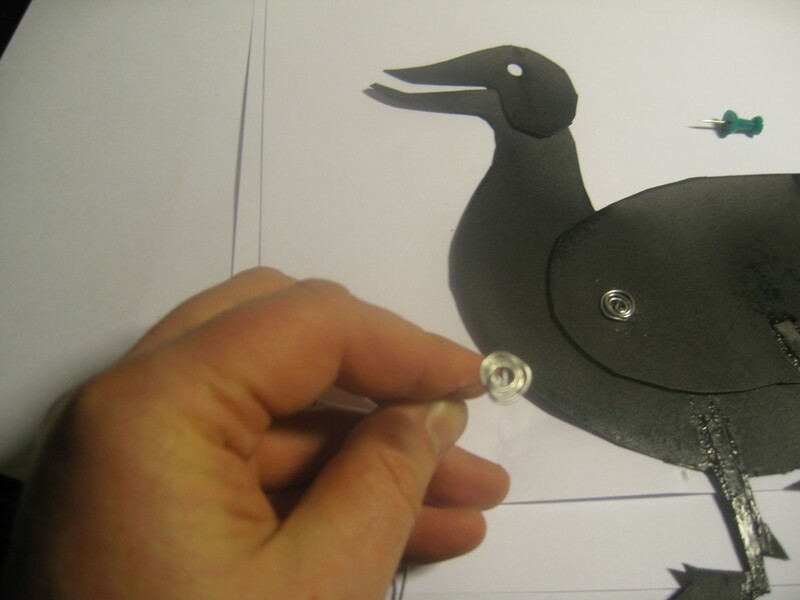 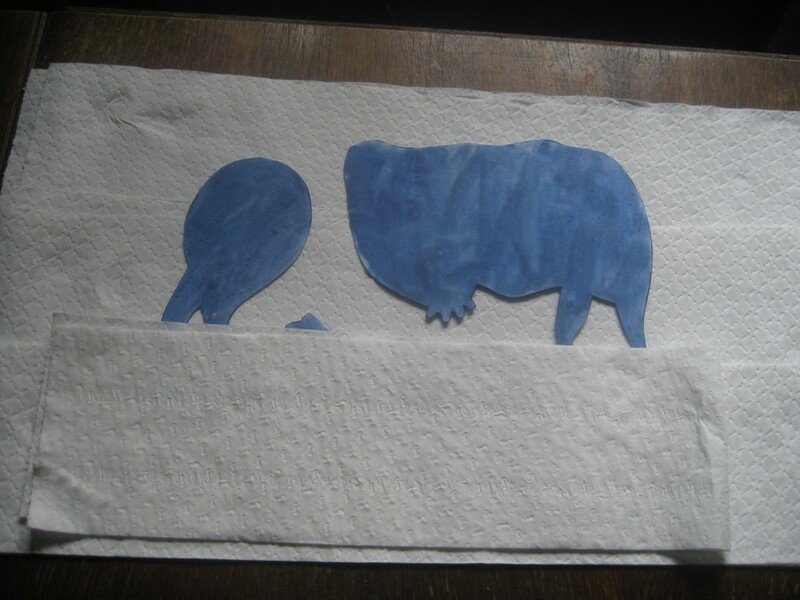 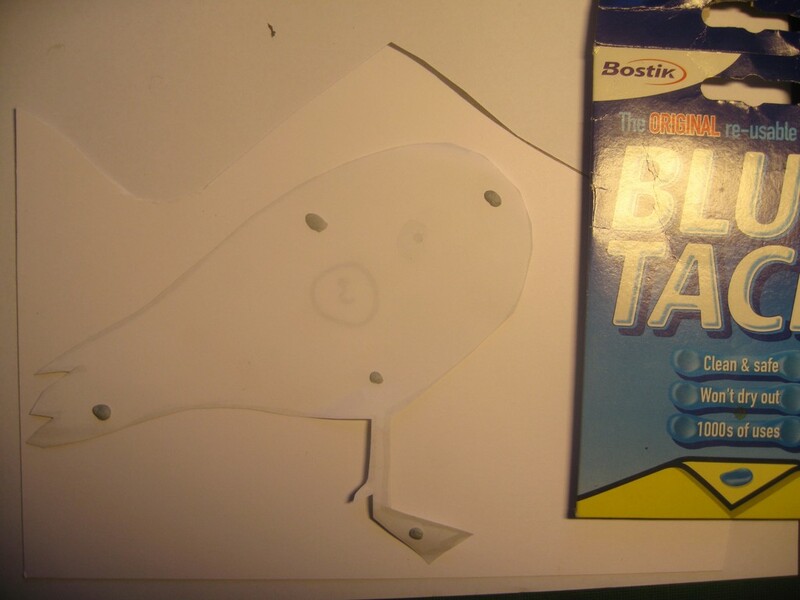 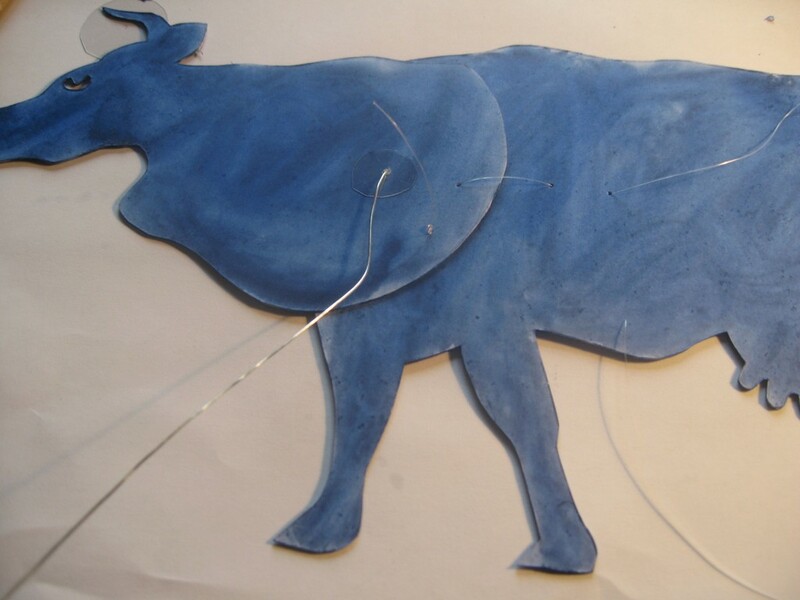 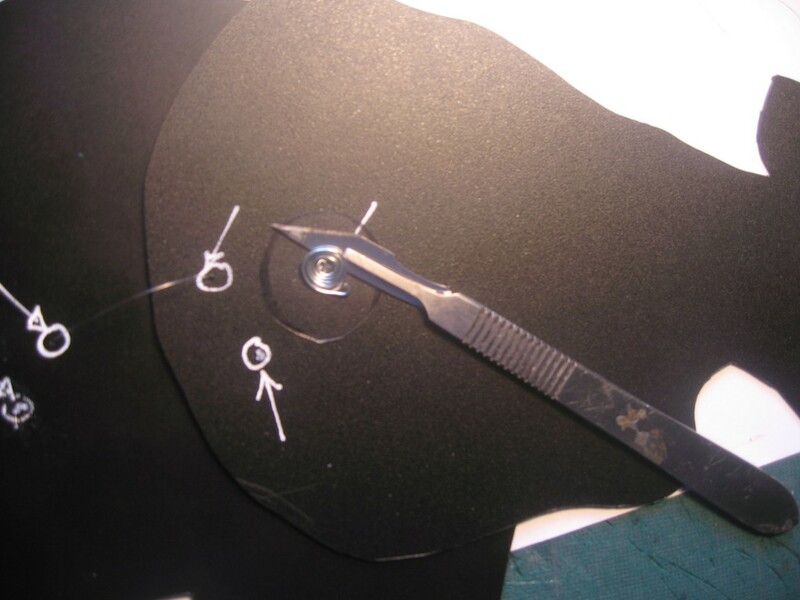 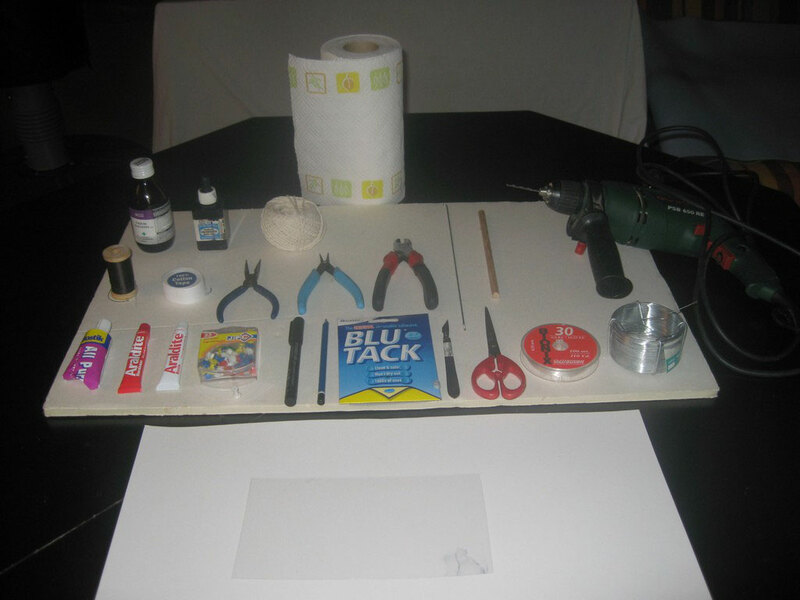 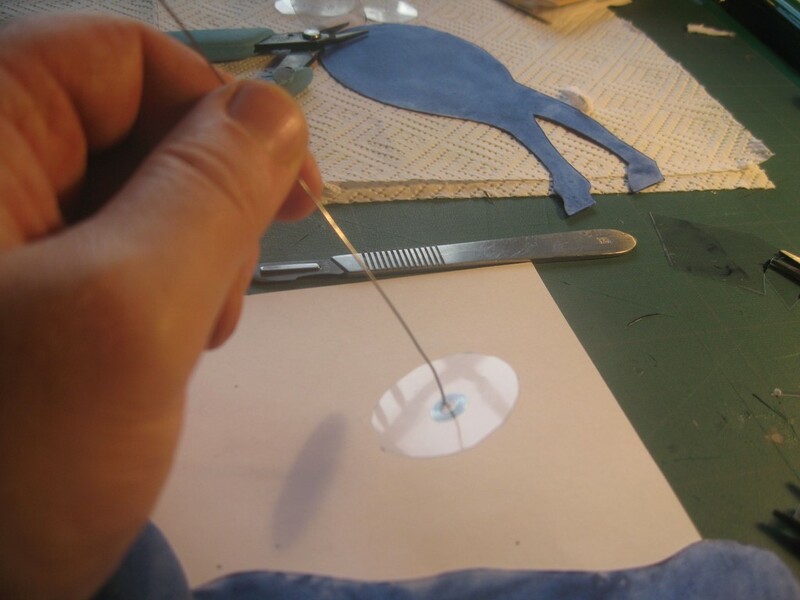 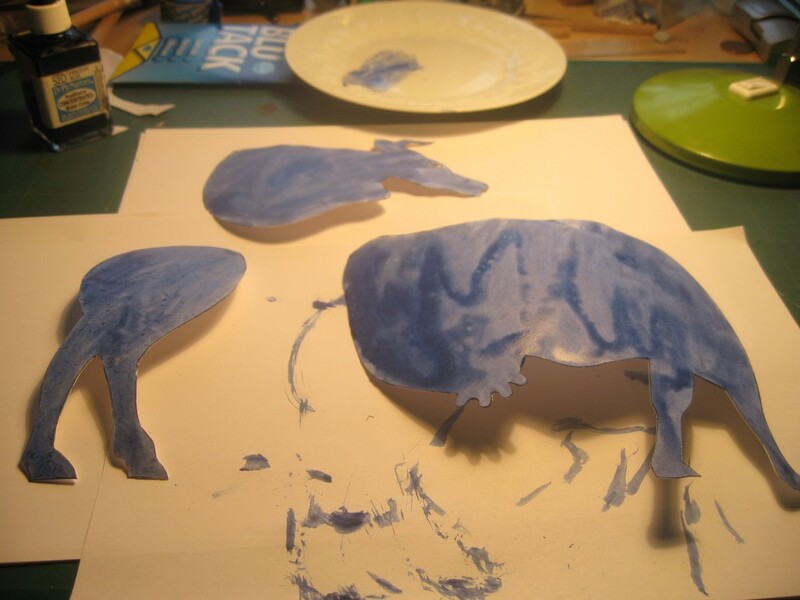 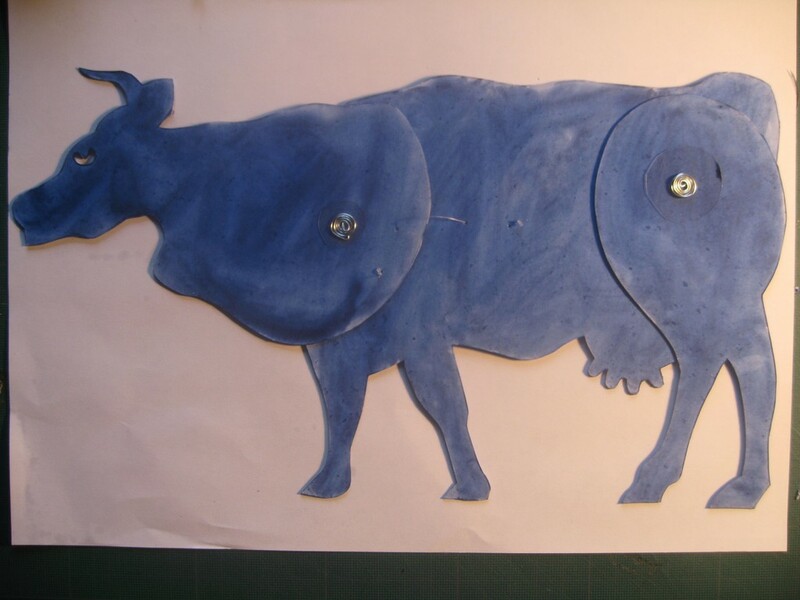 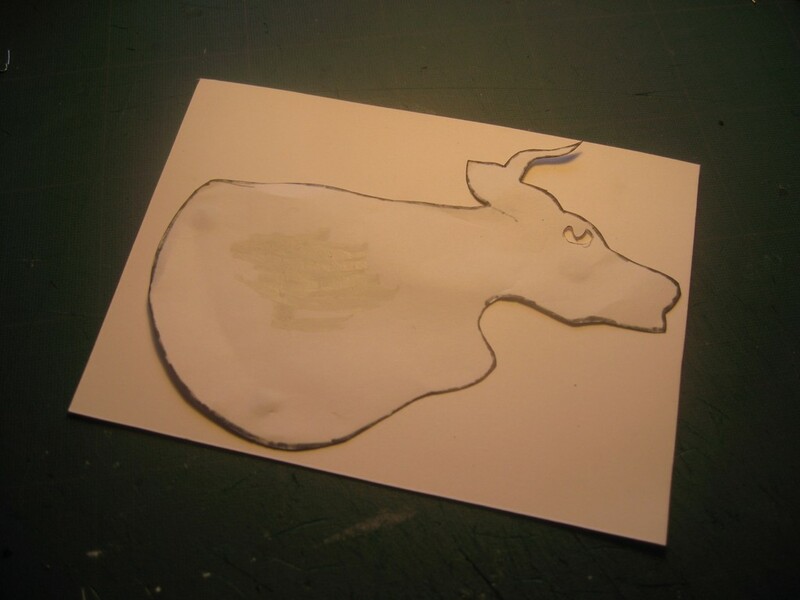 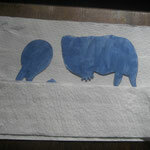 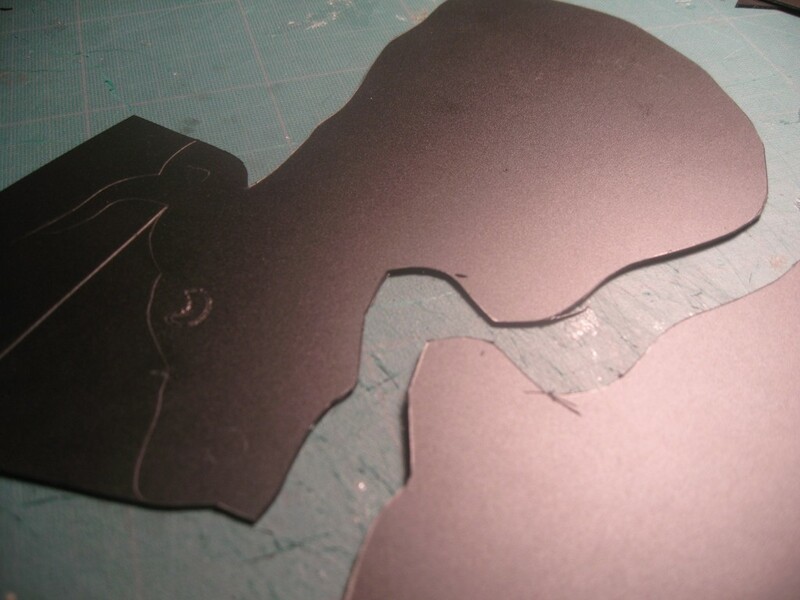 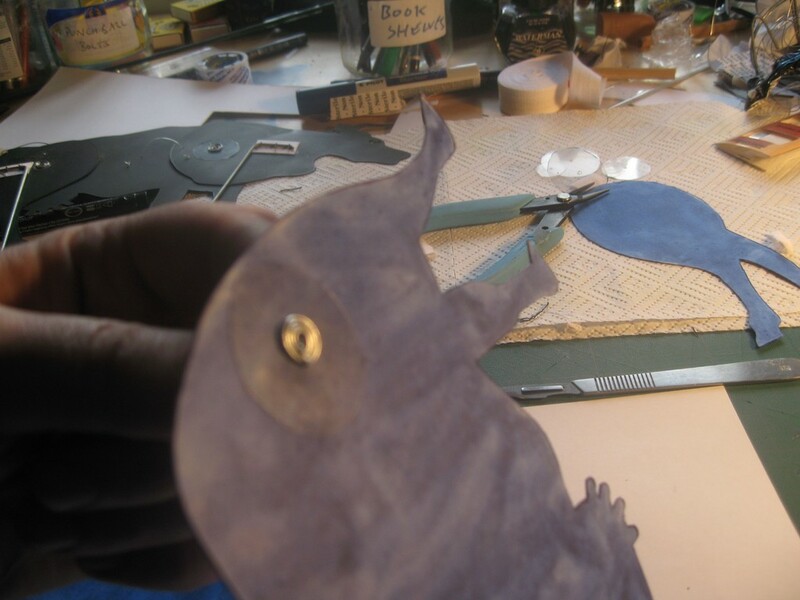 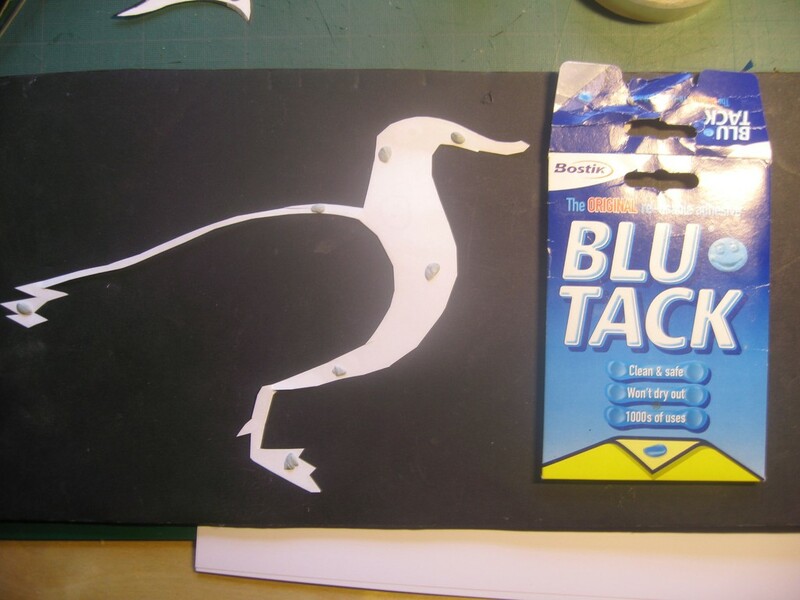 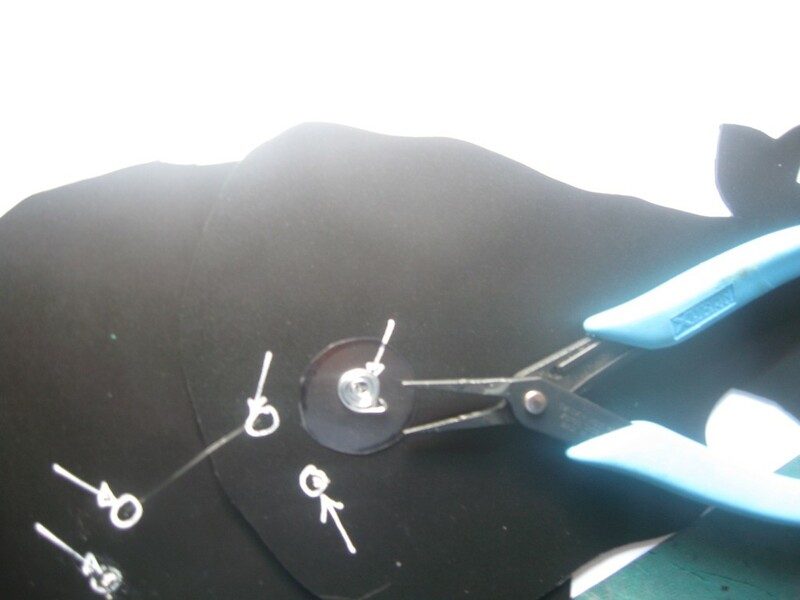 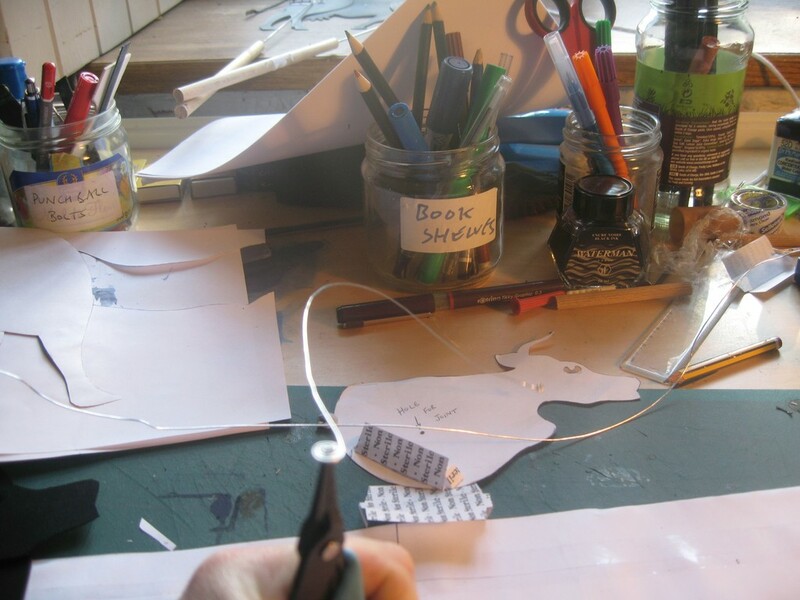 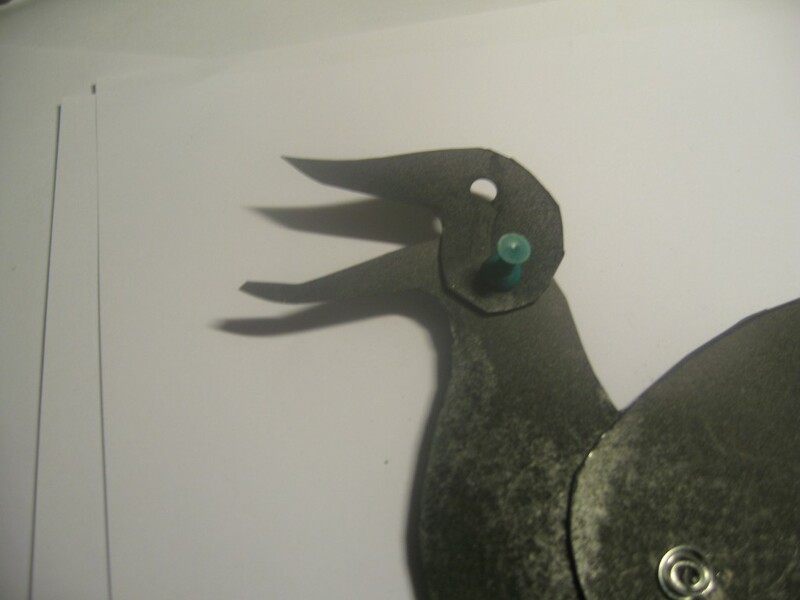 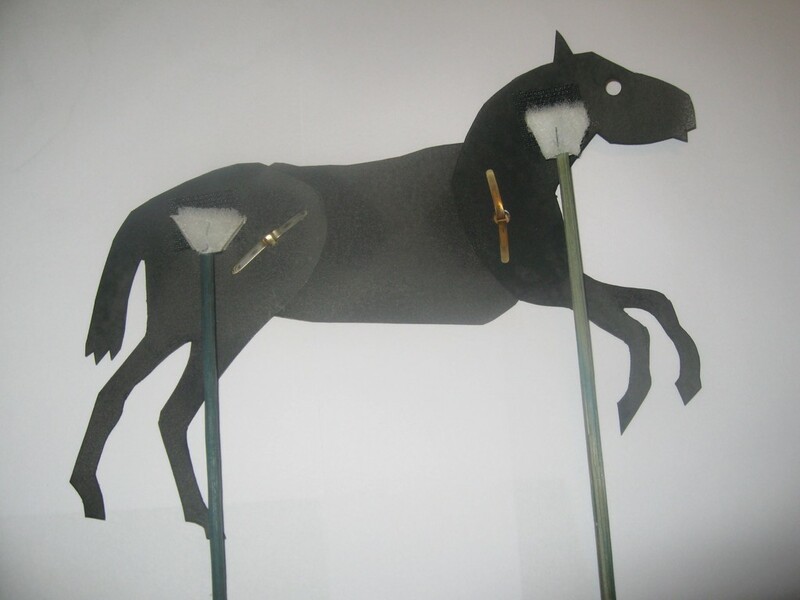 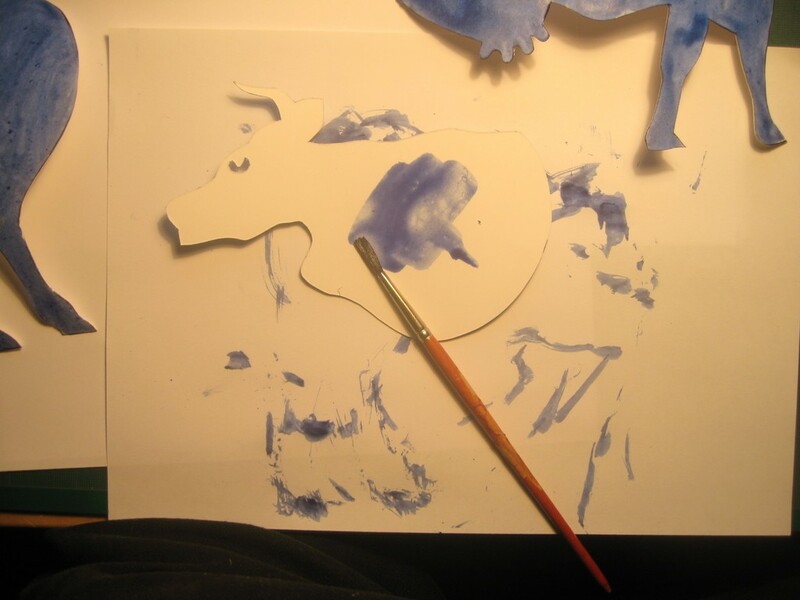 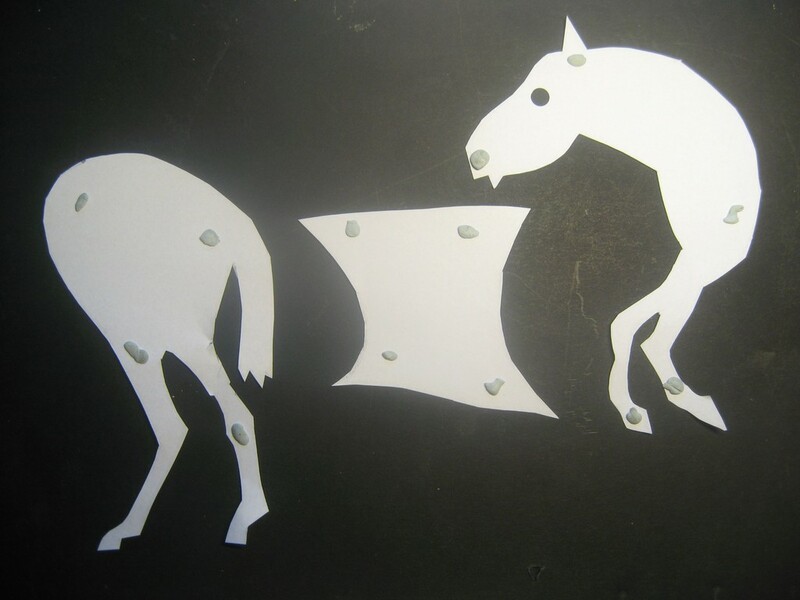 4) Cut out the parts using scissors and stick them onto some card using small pieces of Blu Tack or selotape. 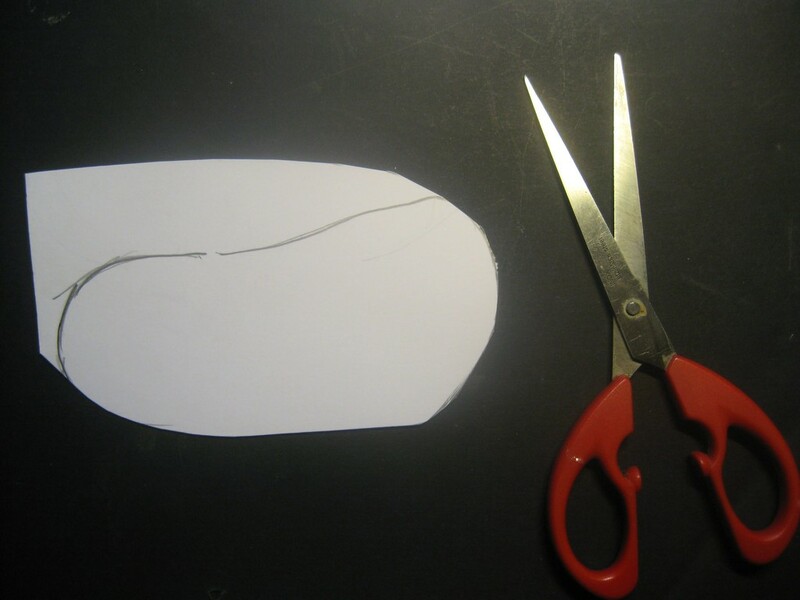 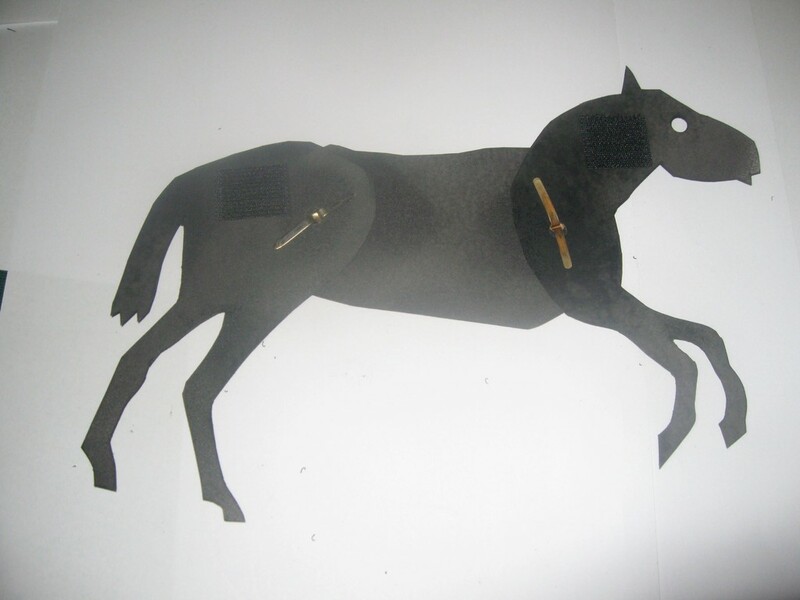 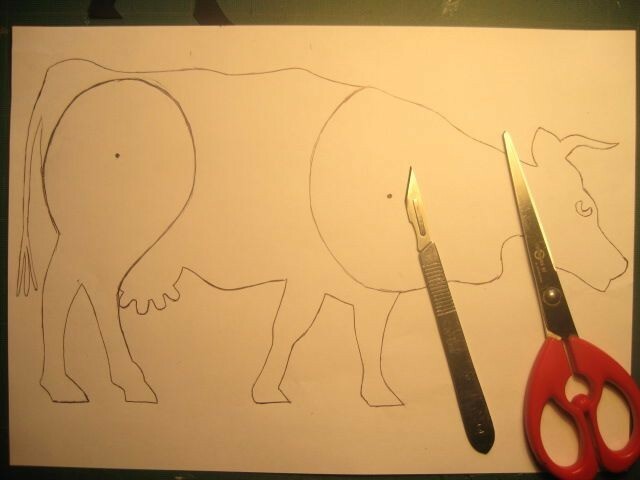 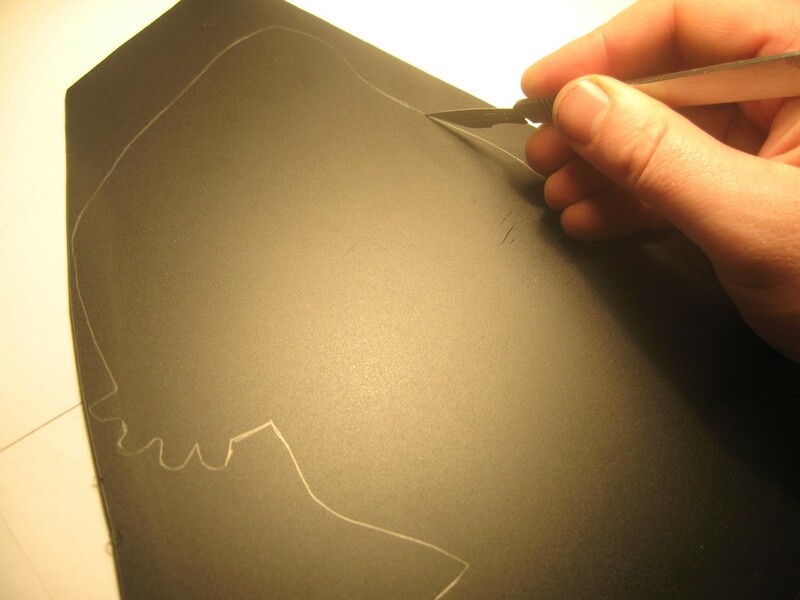 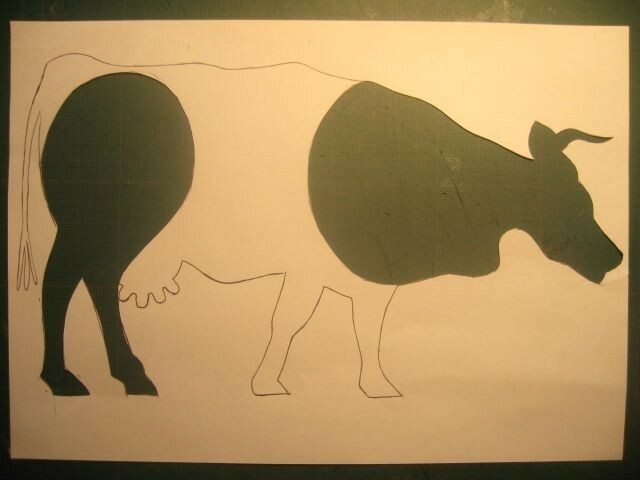 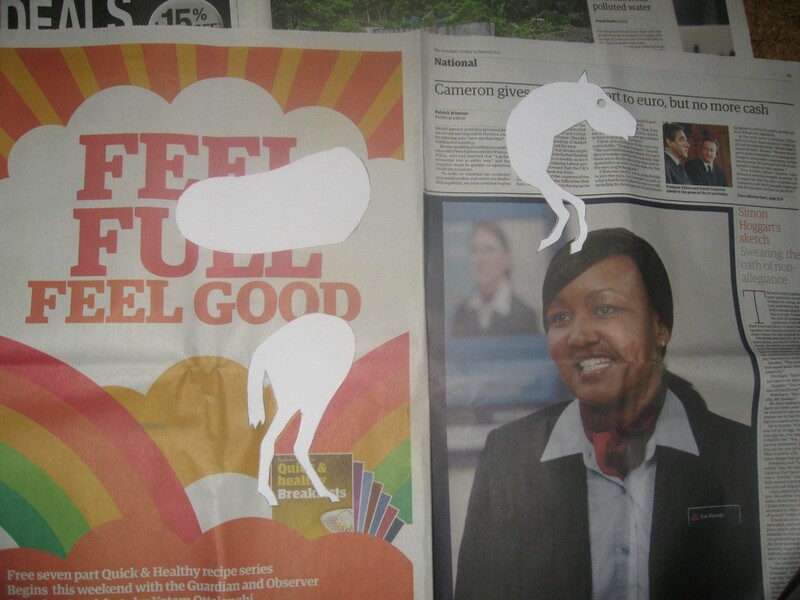 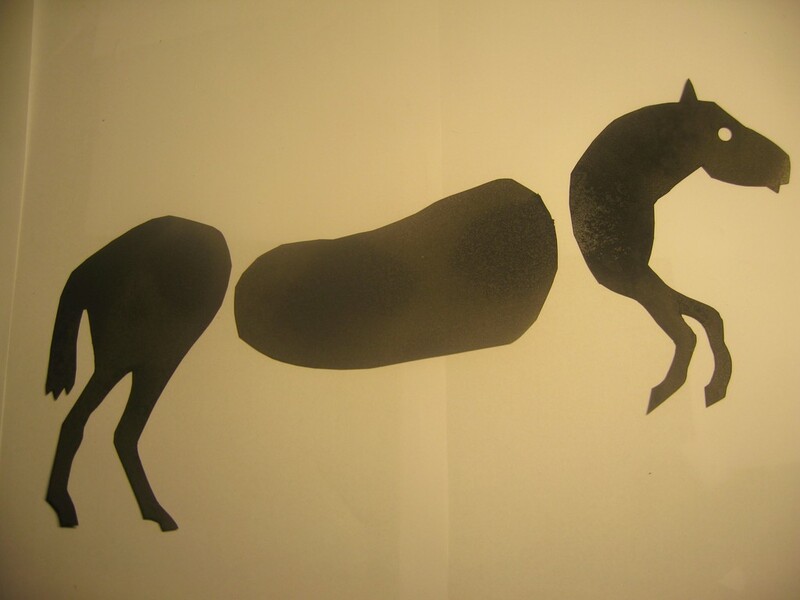 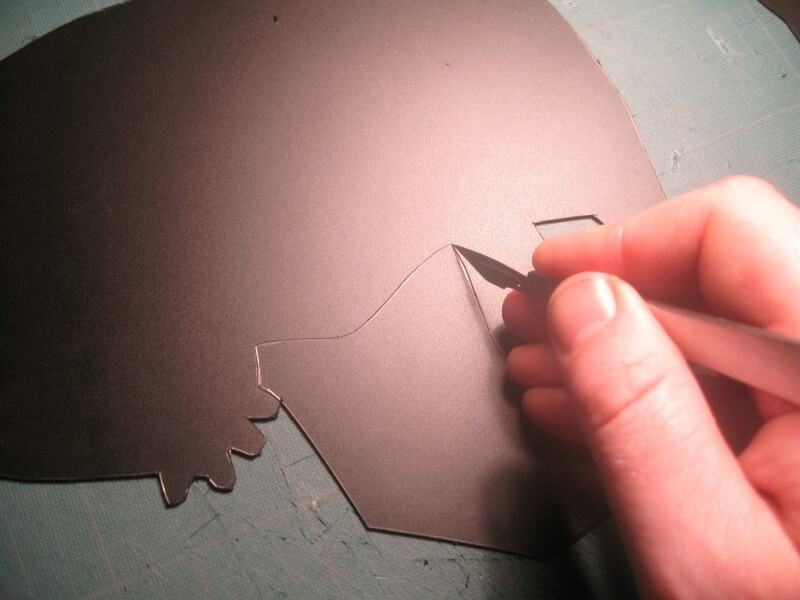 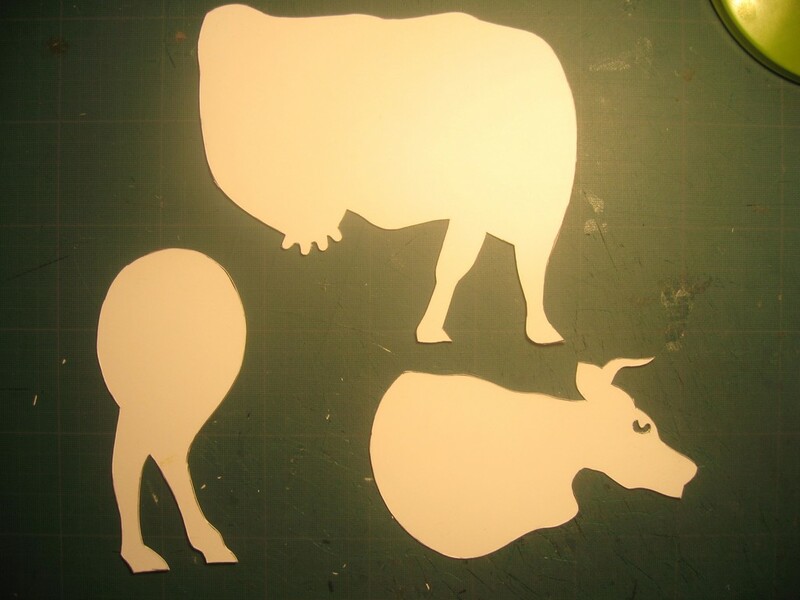 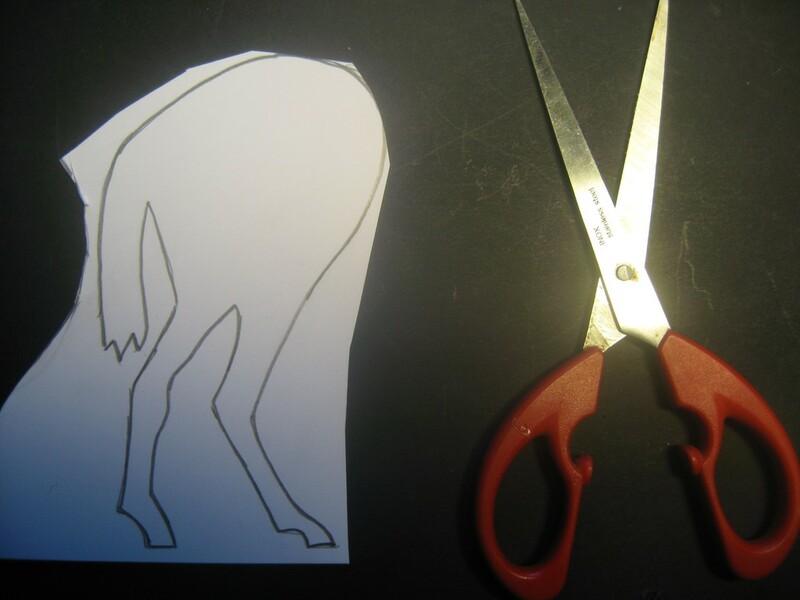 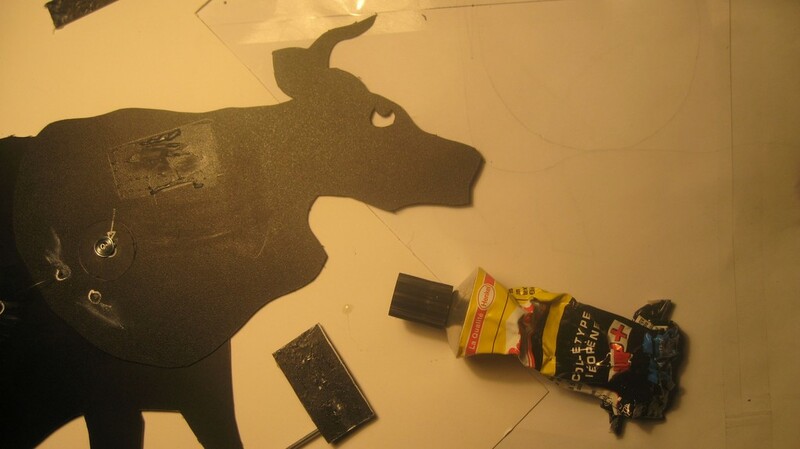 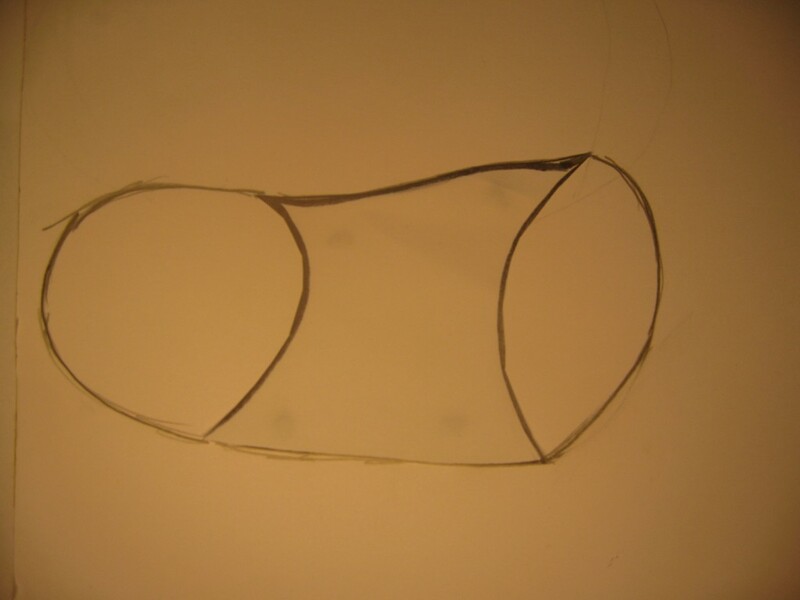 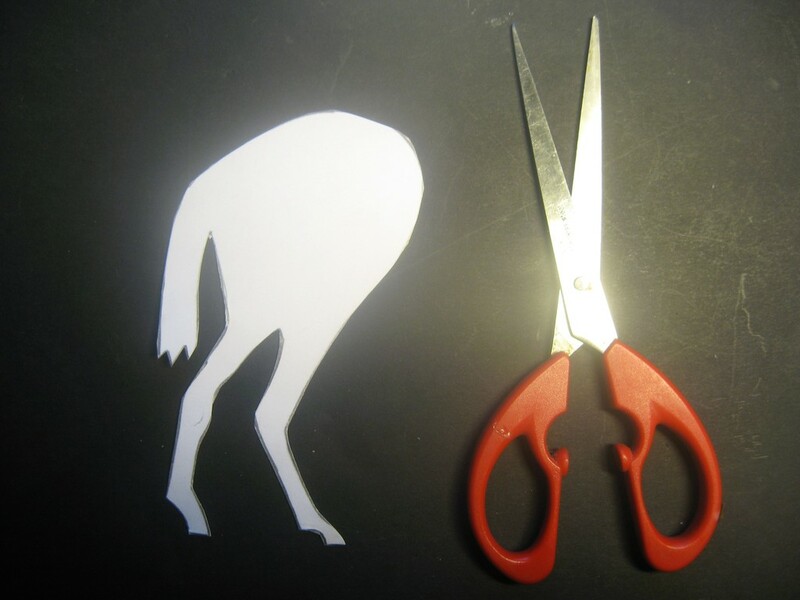 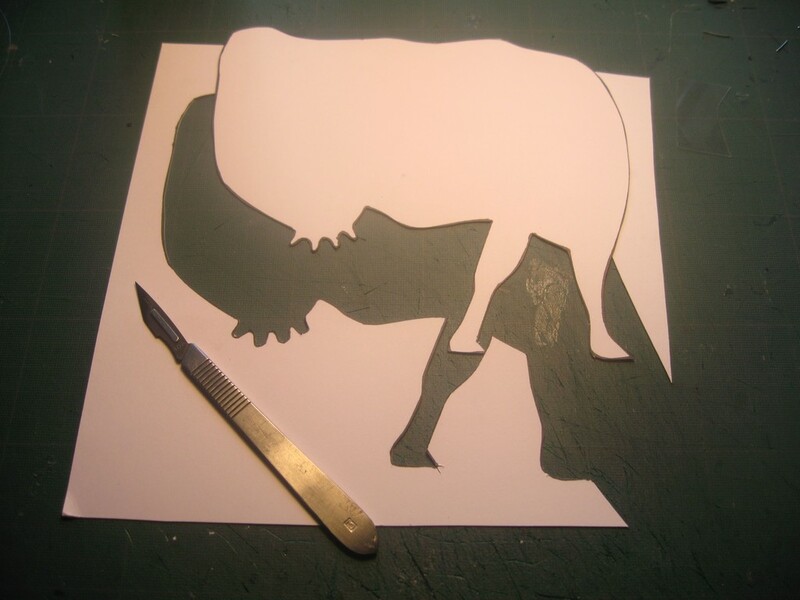 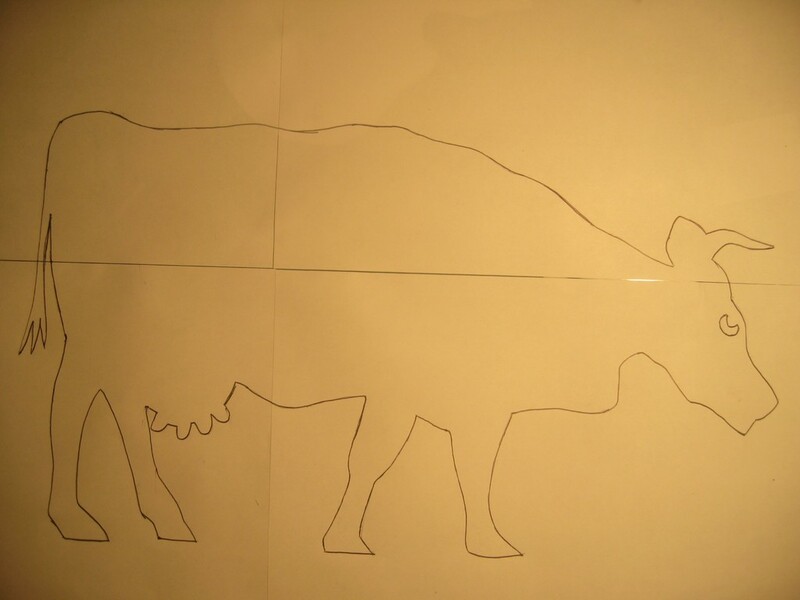 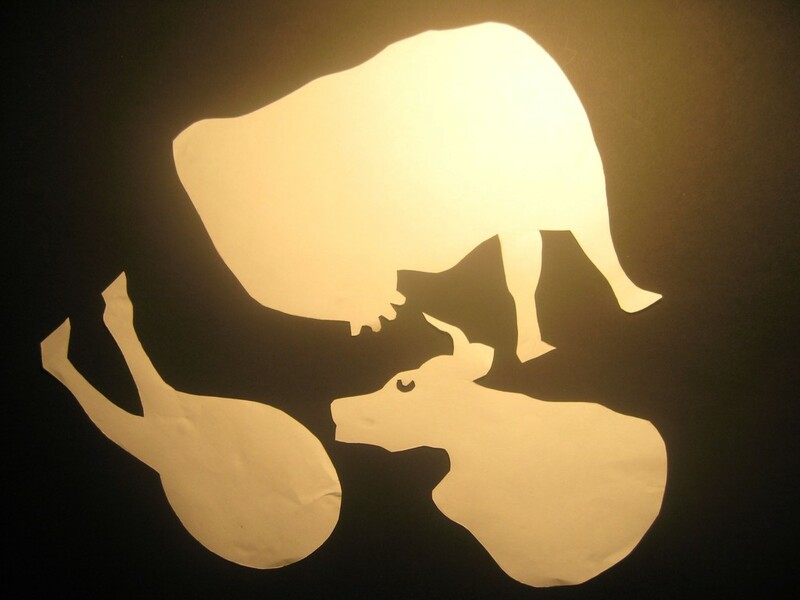 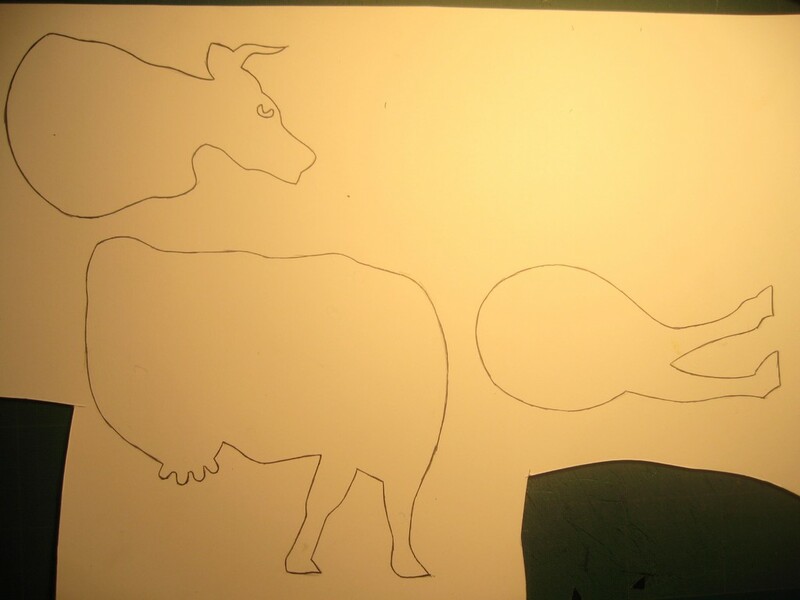 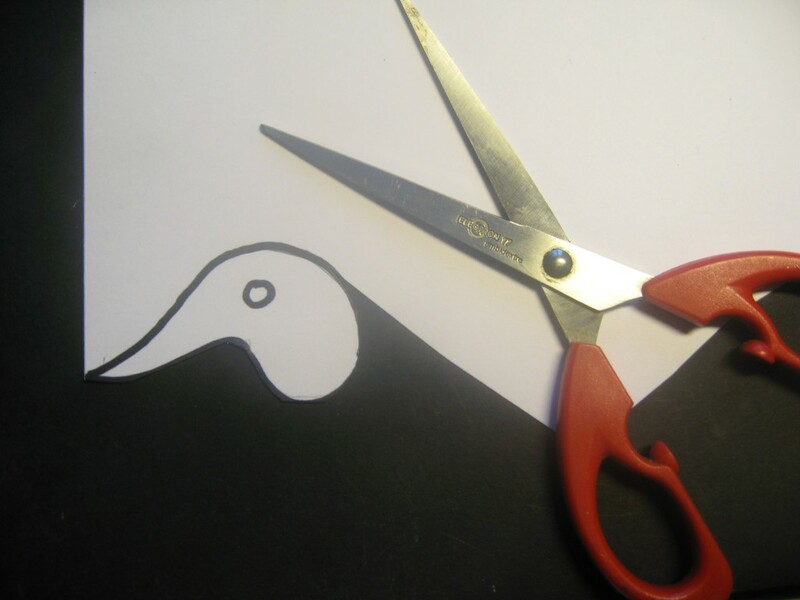 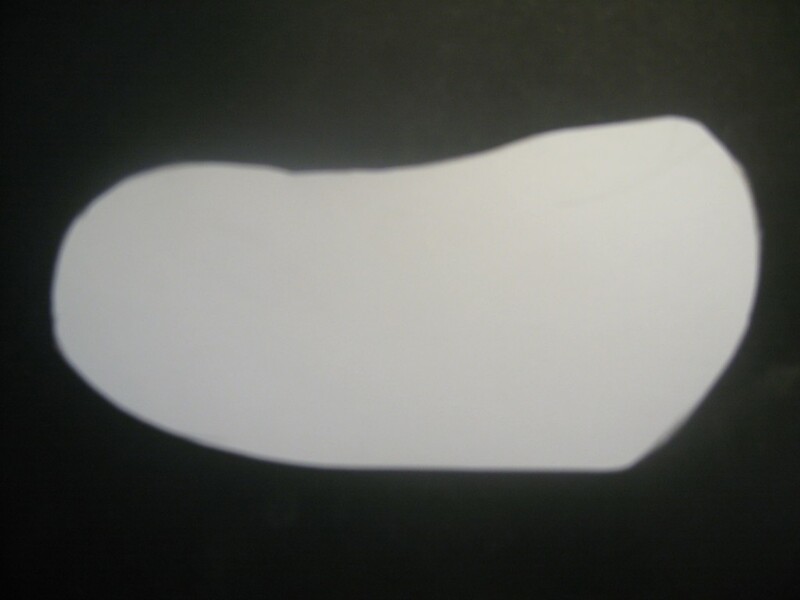 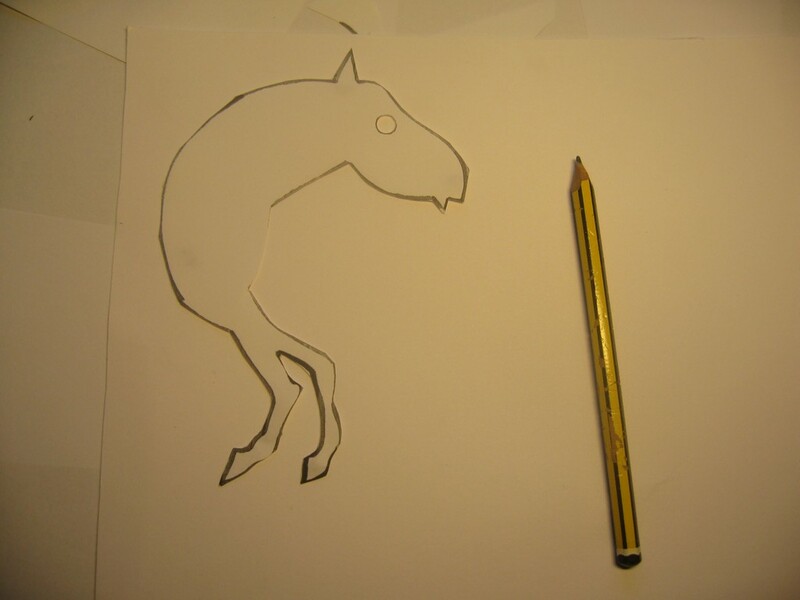 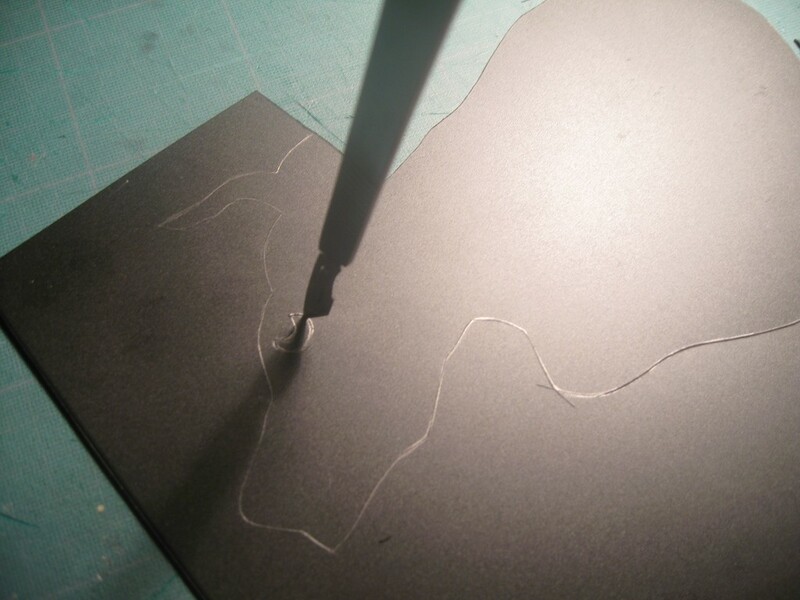 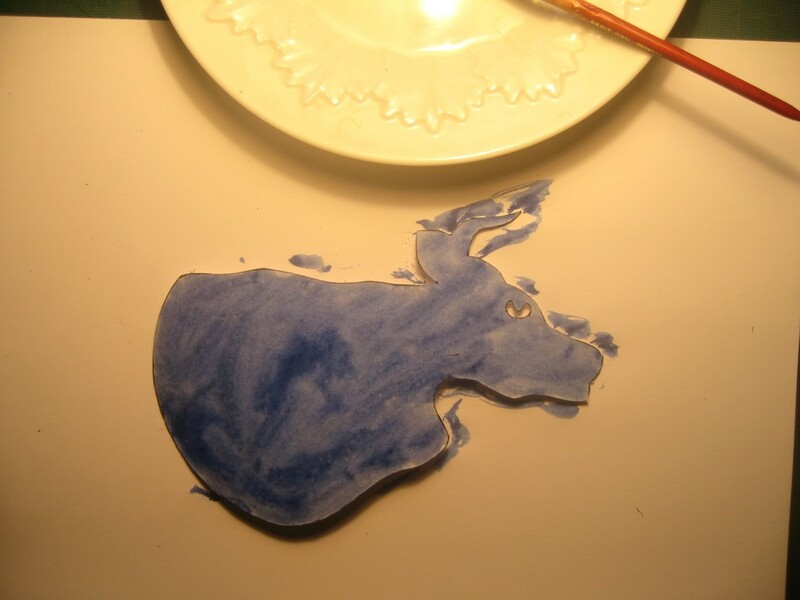 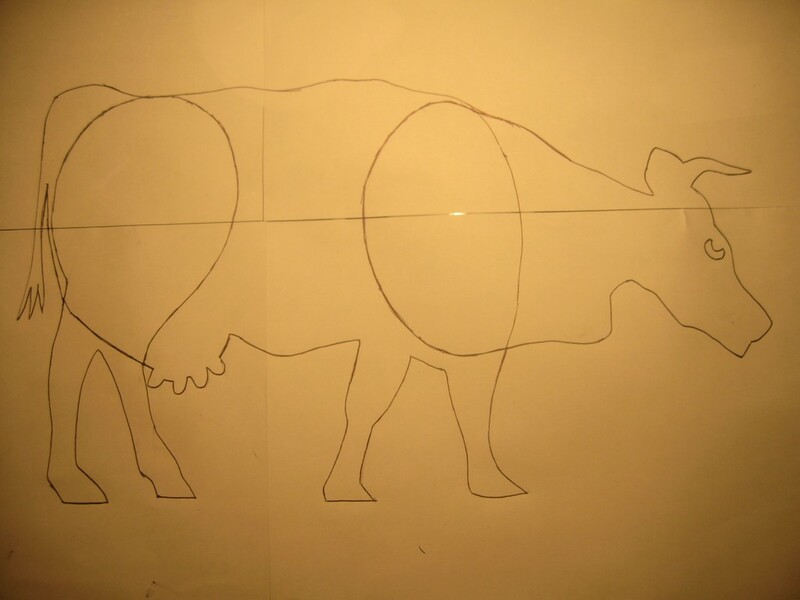 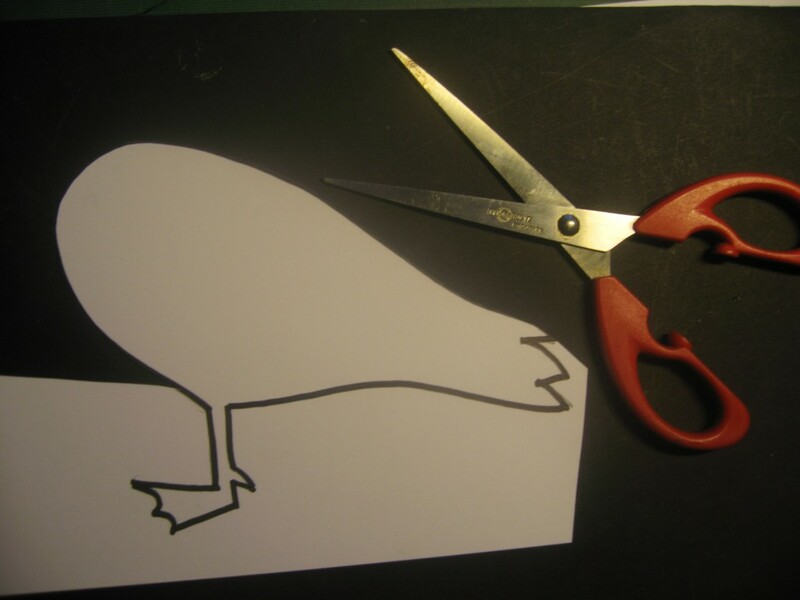 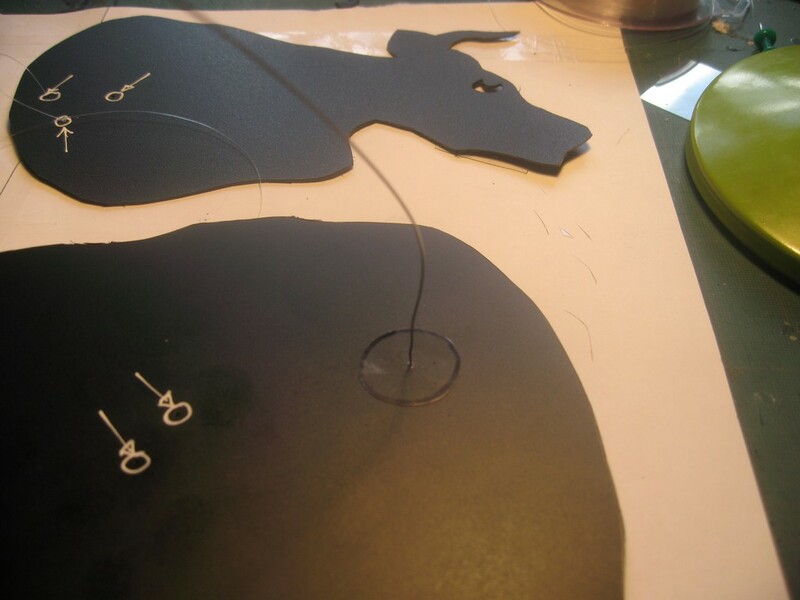 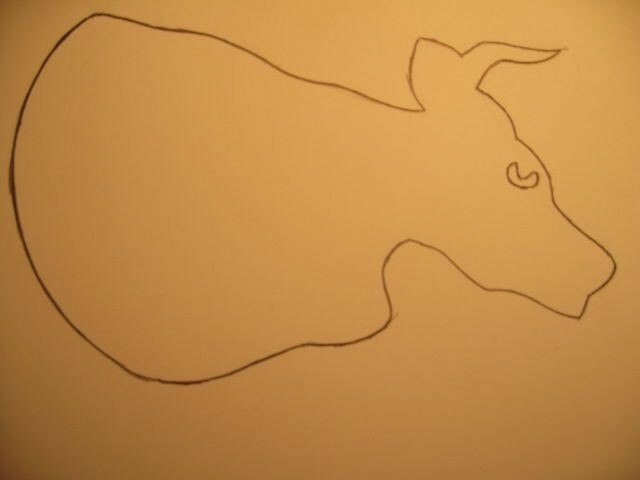 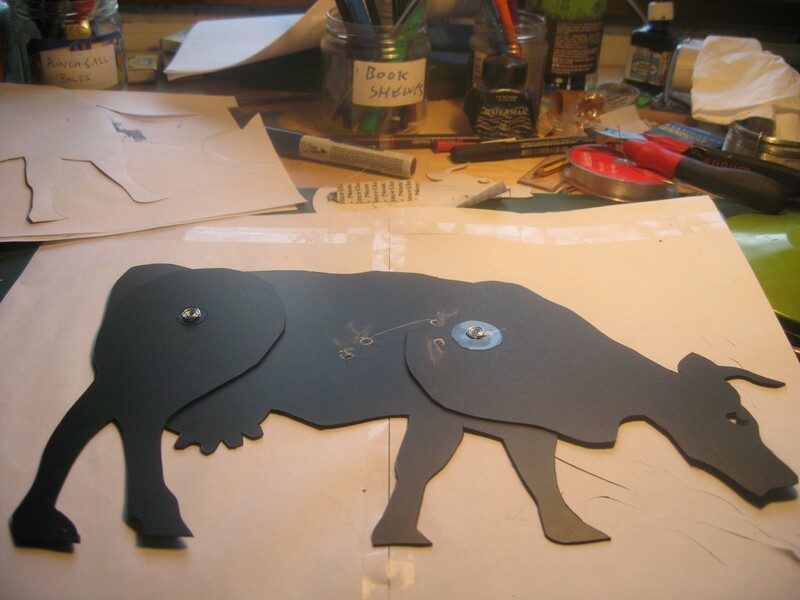 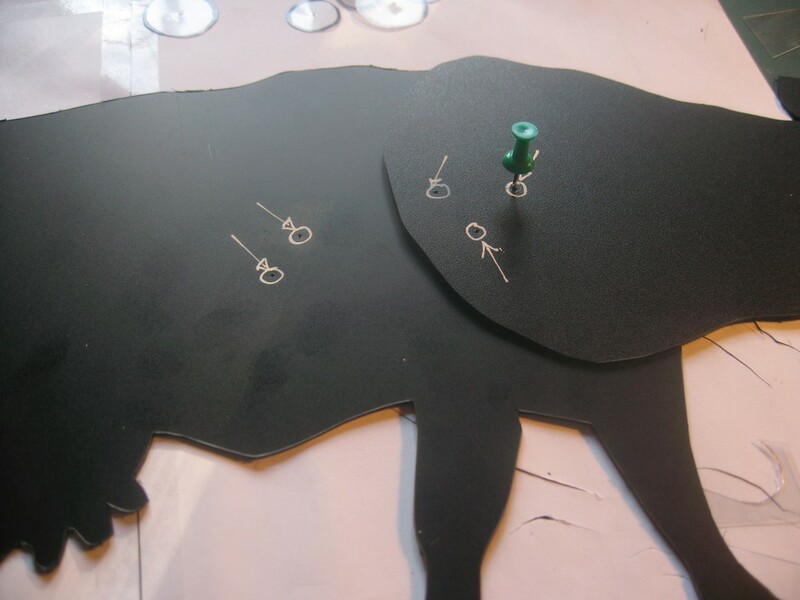 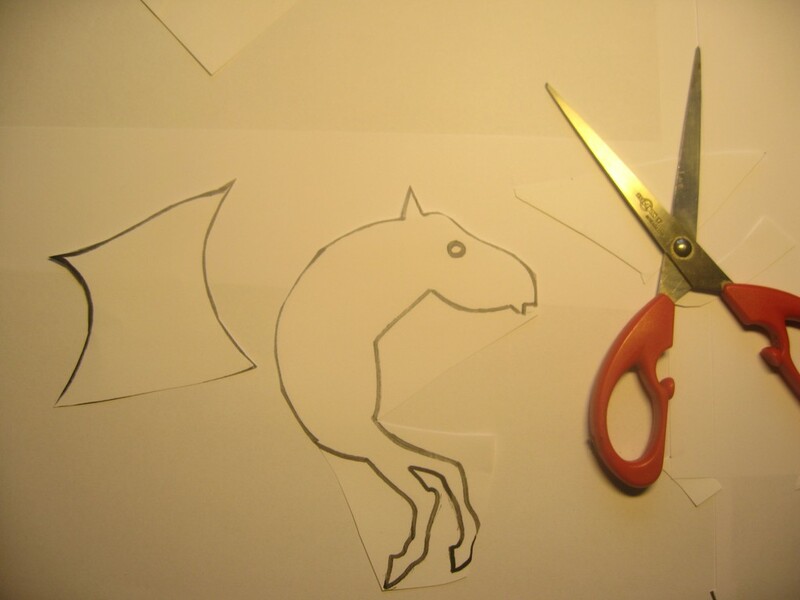 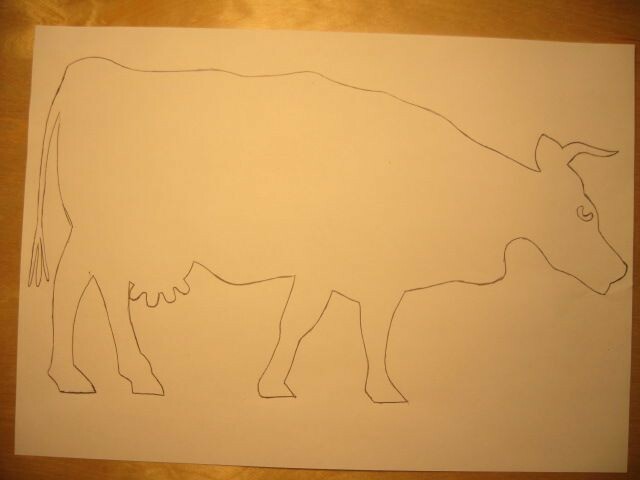 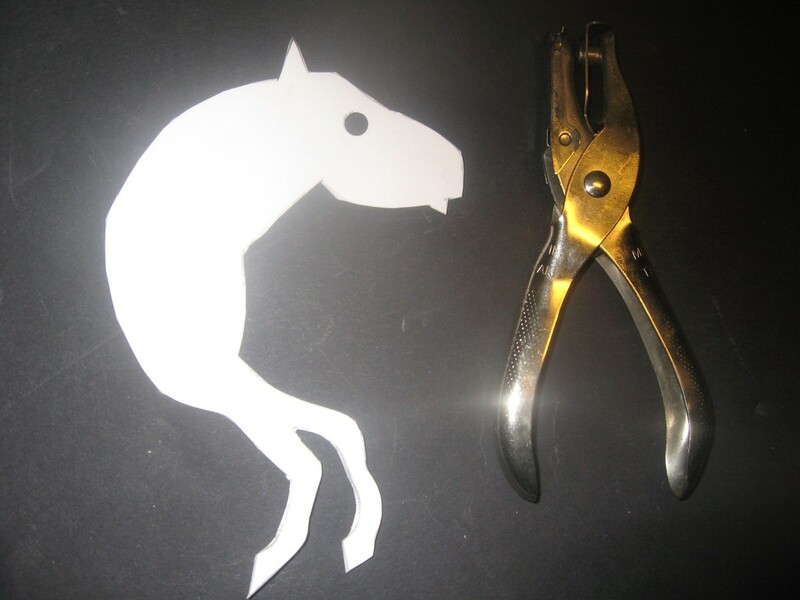 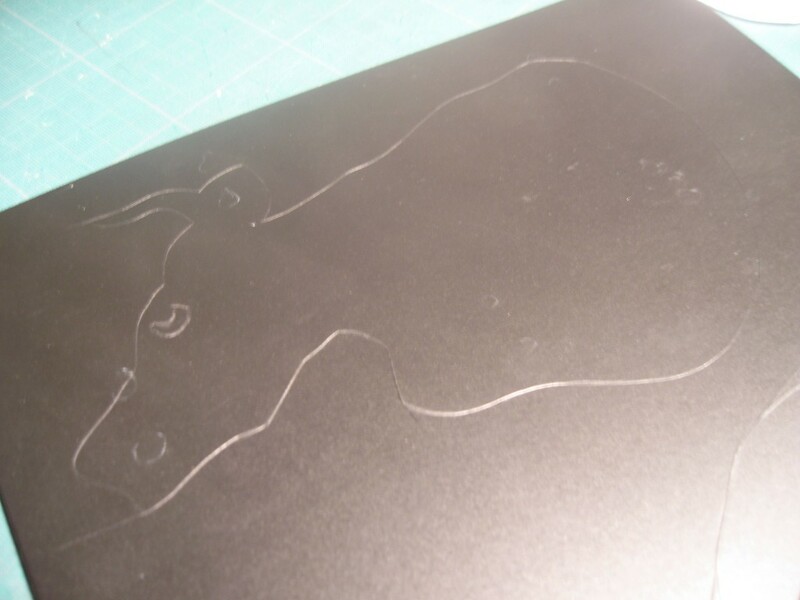 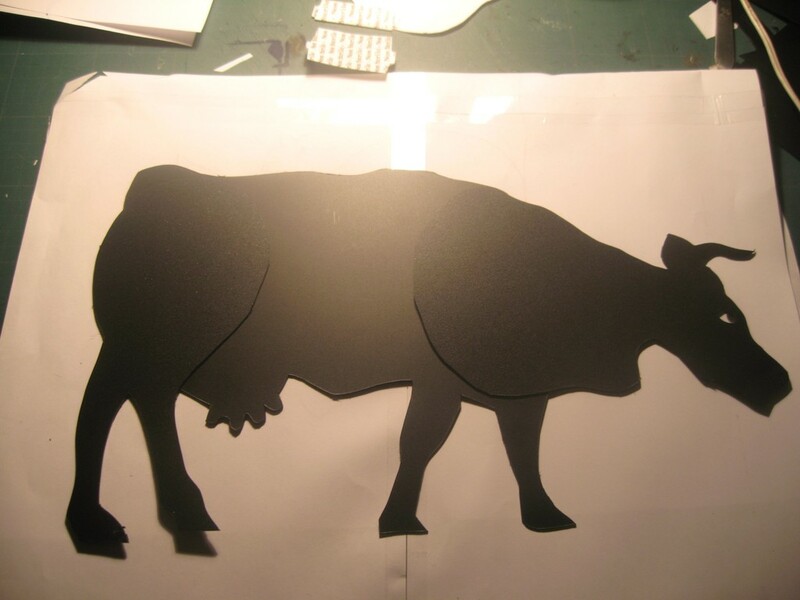 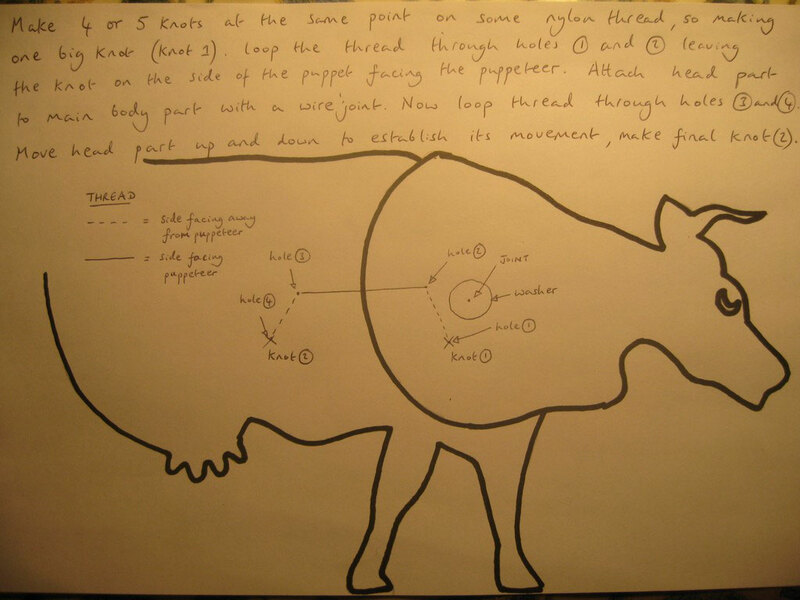 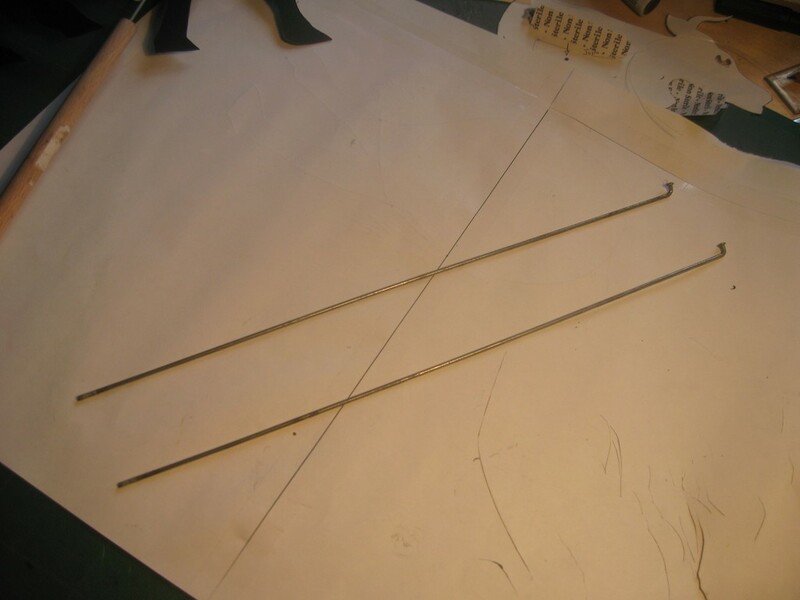 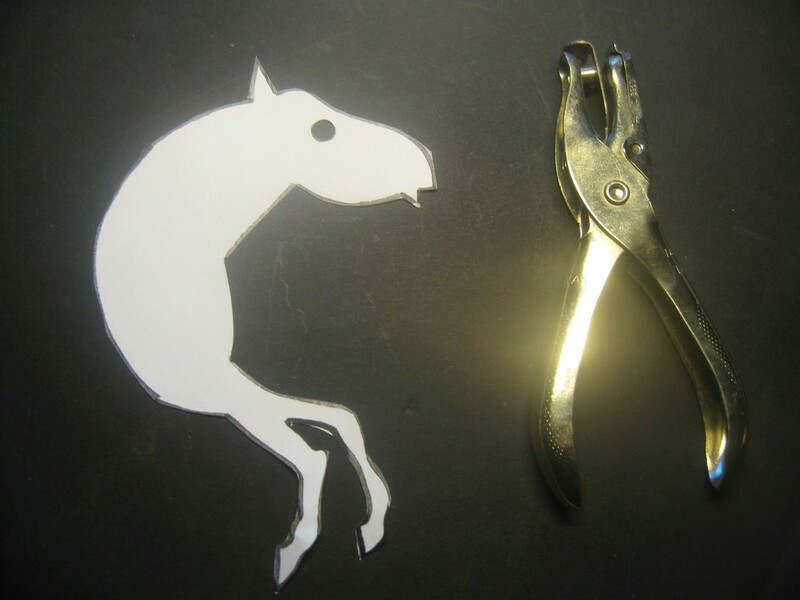 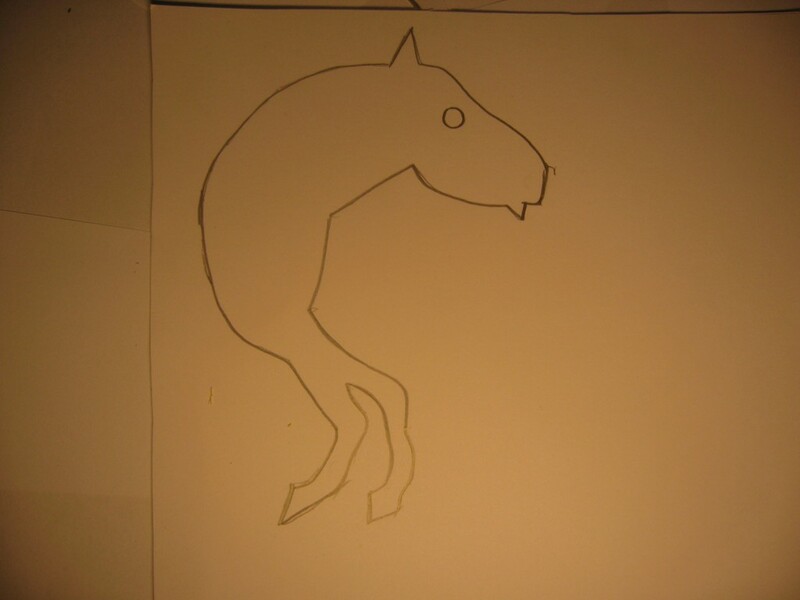 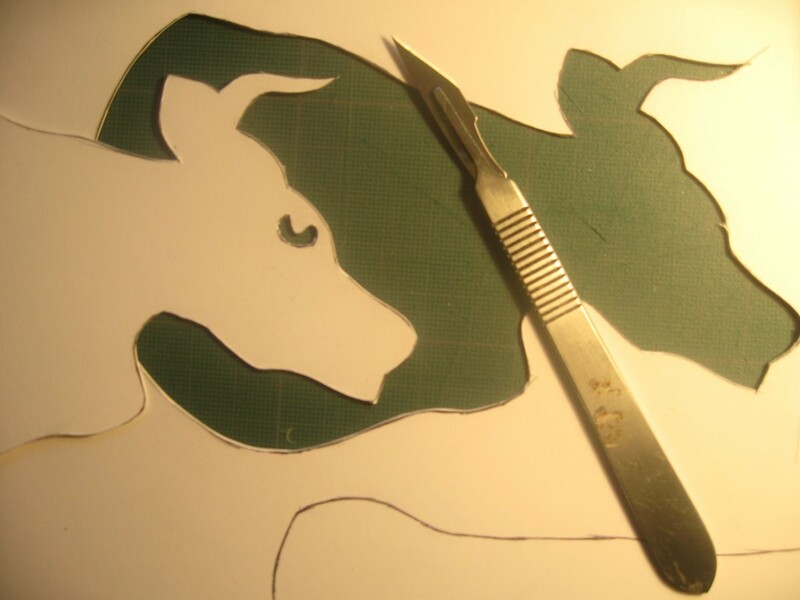 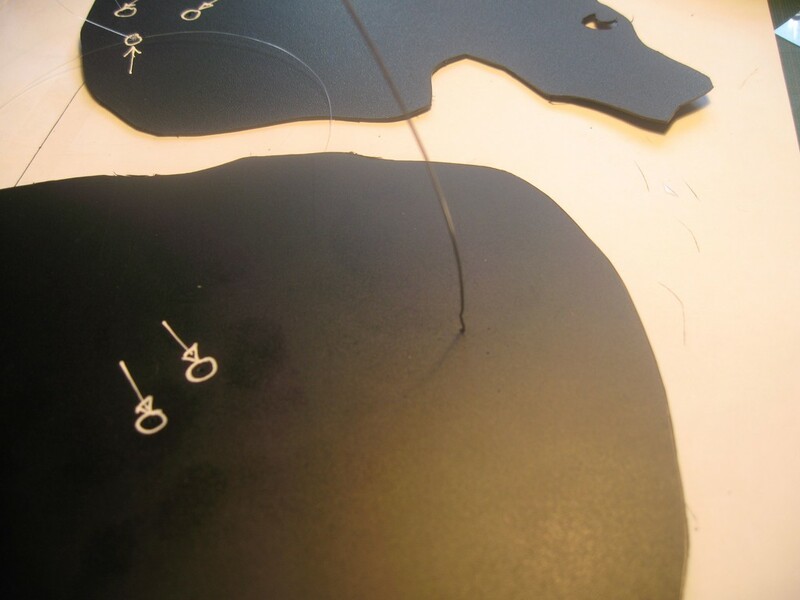 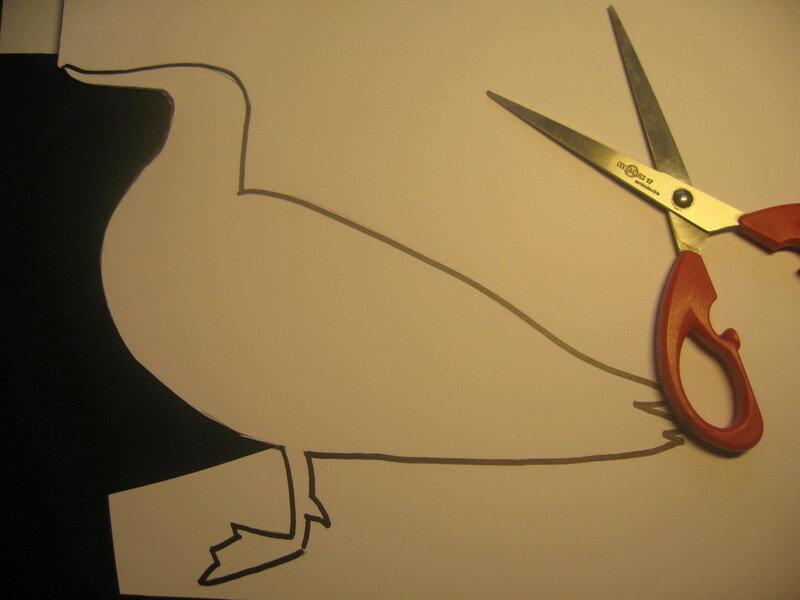 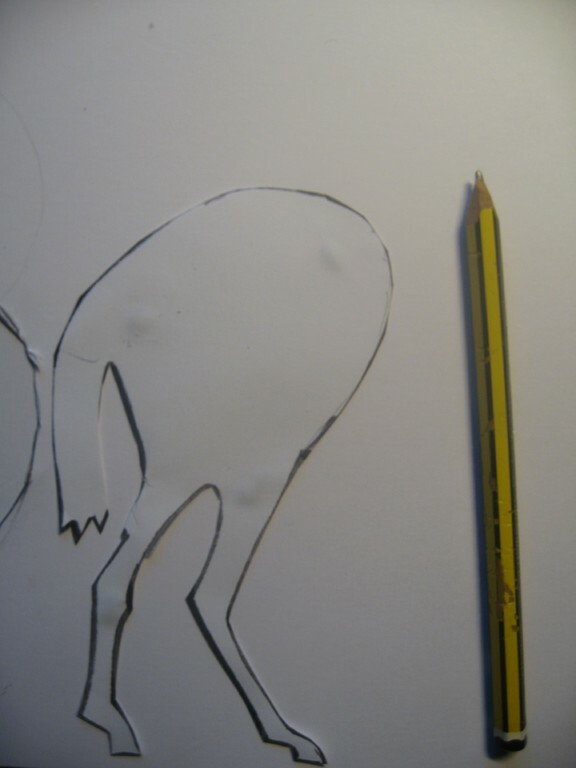 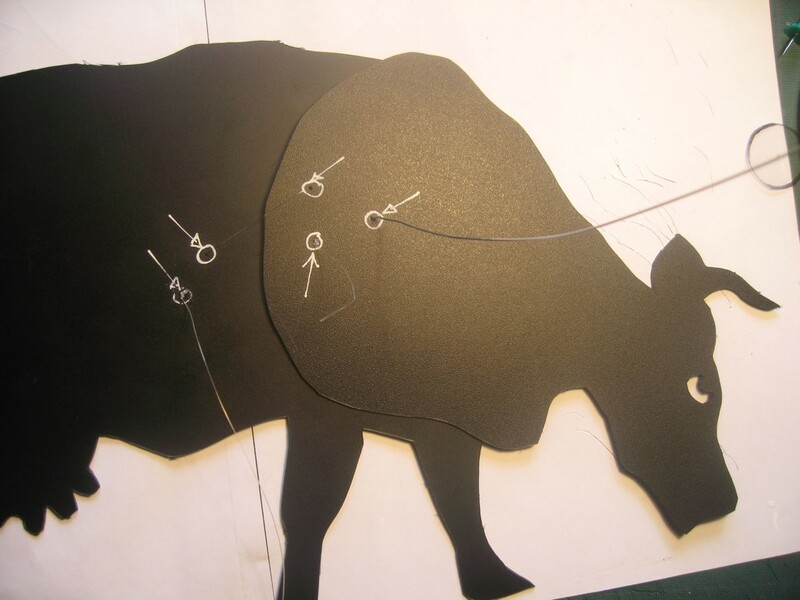 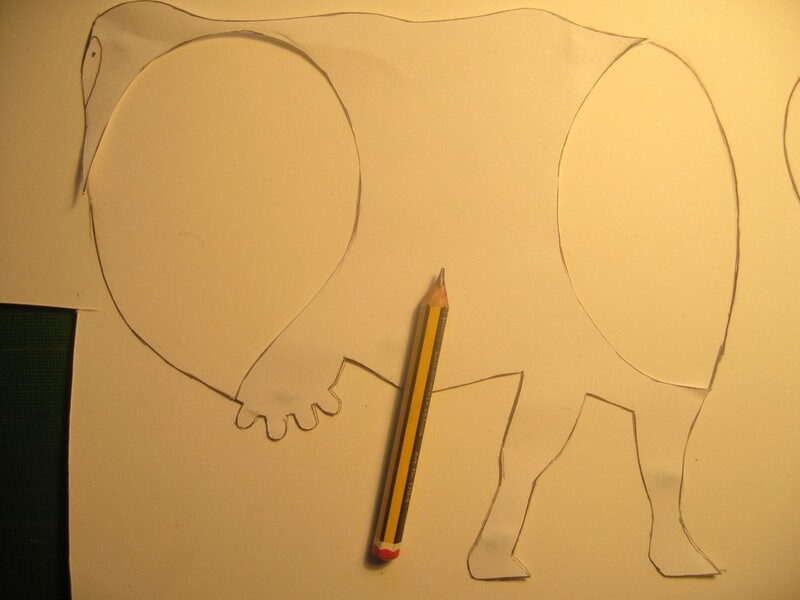 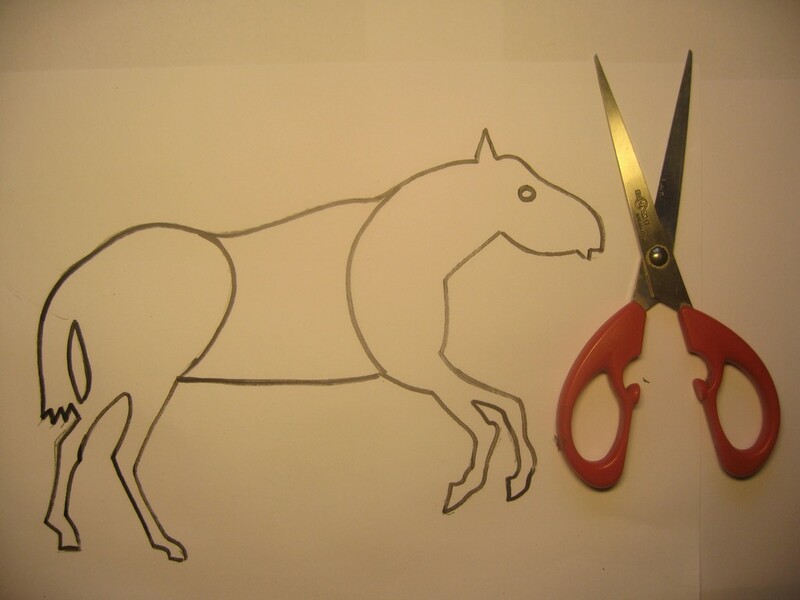 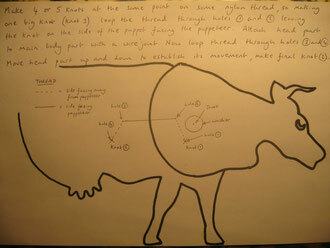 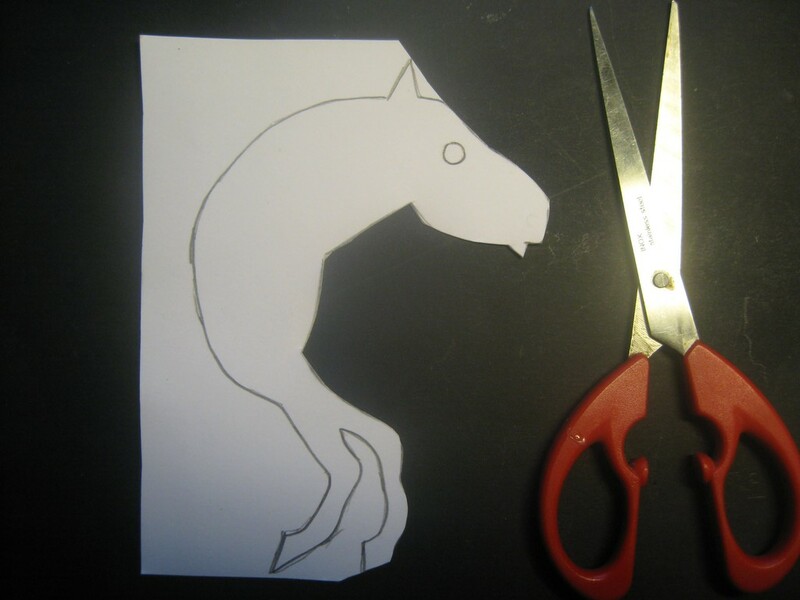 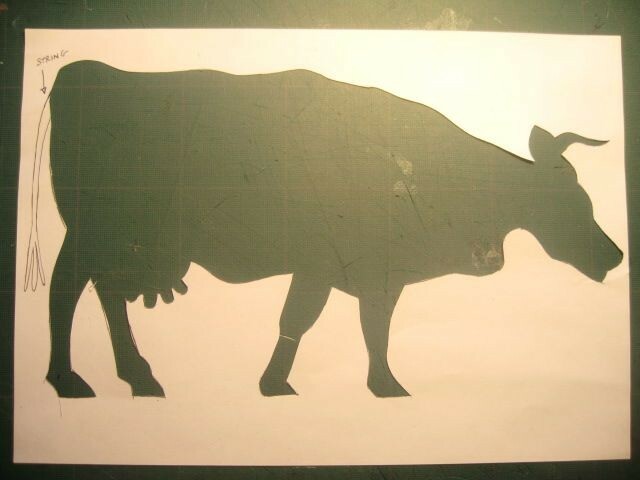 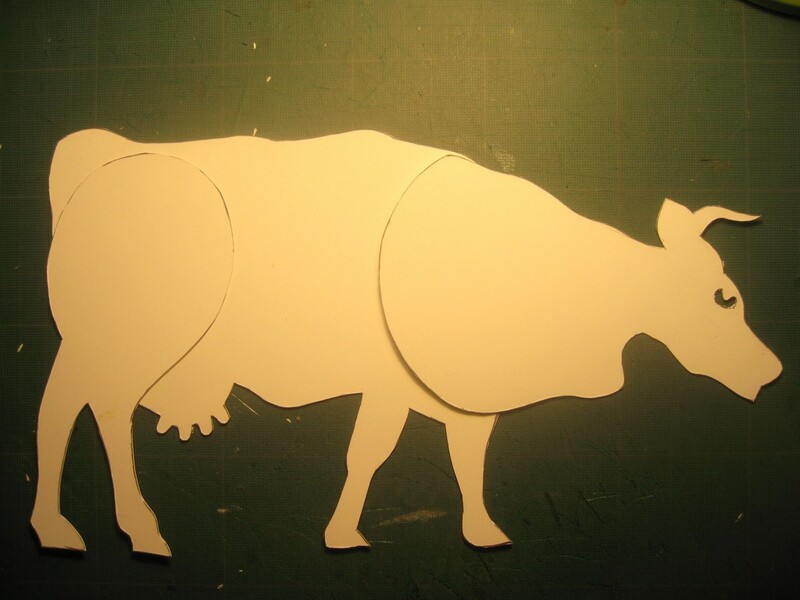 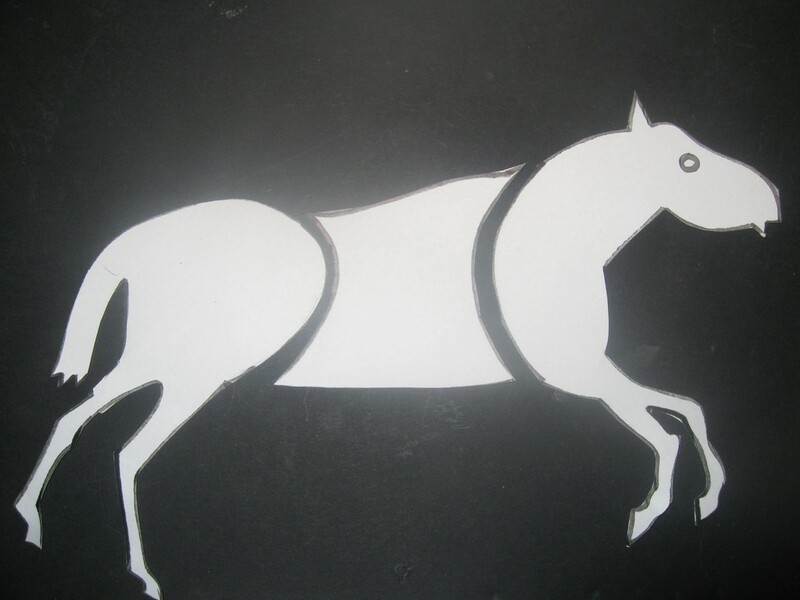 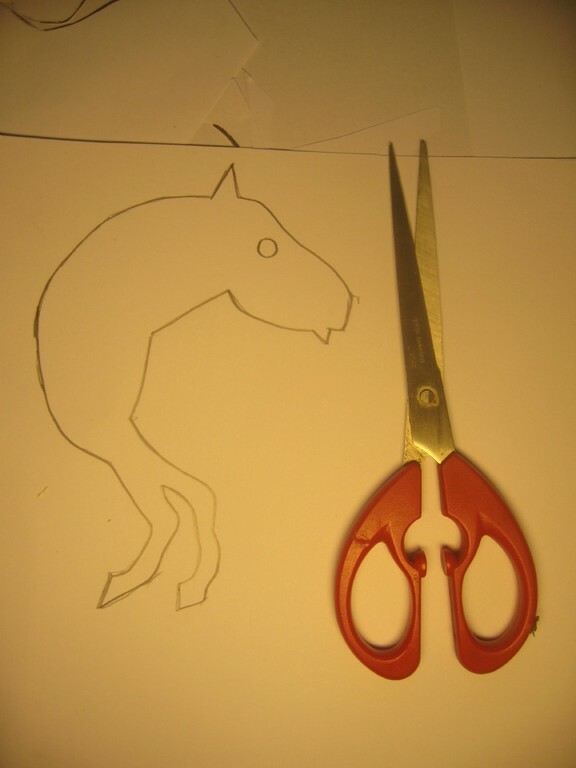 5) Draw around each part then cut out that part using scissors. 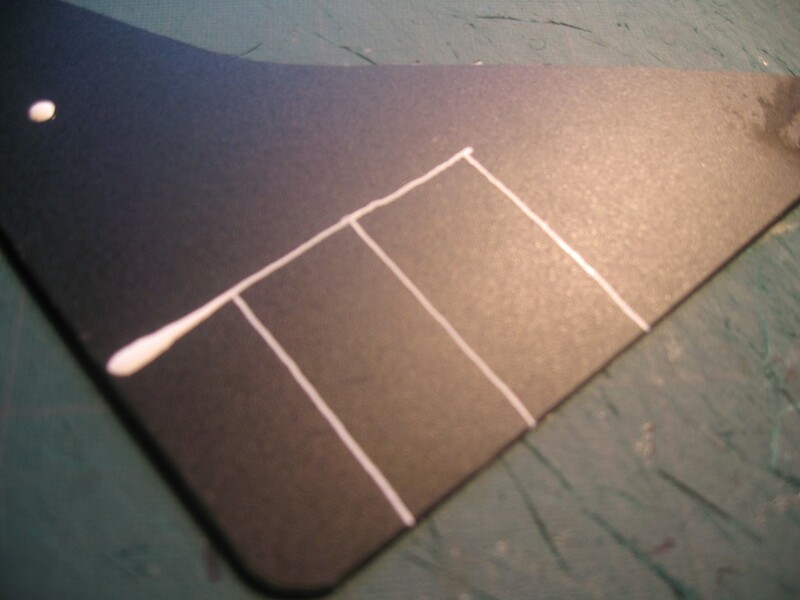 6) Decide where you want the joints to be and mark out places for joint holes on the card. 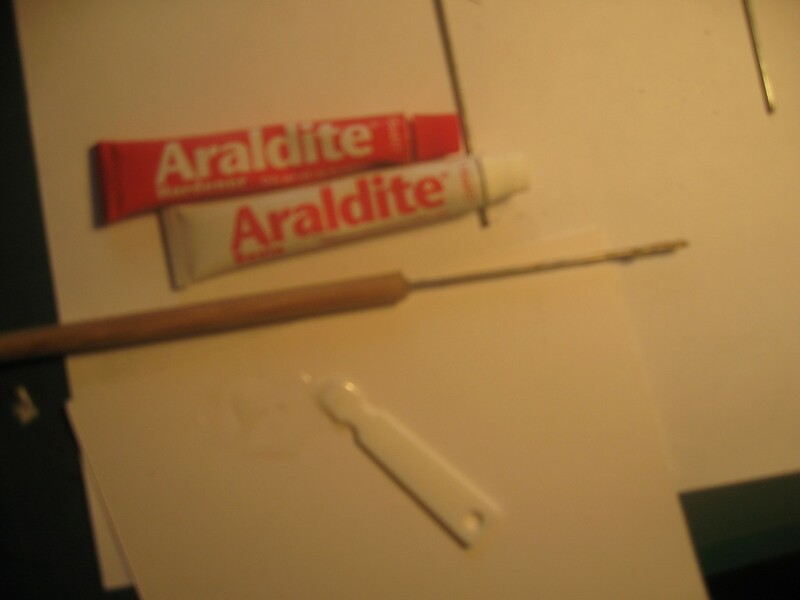 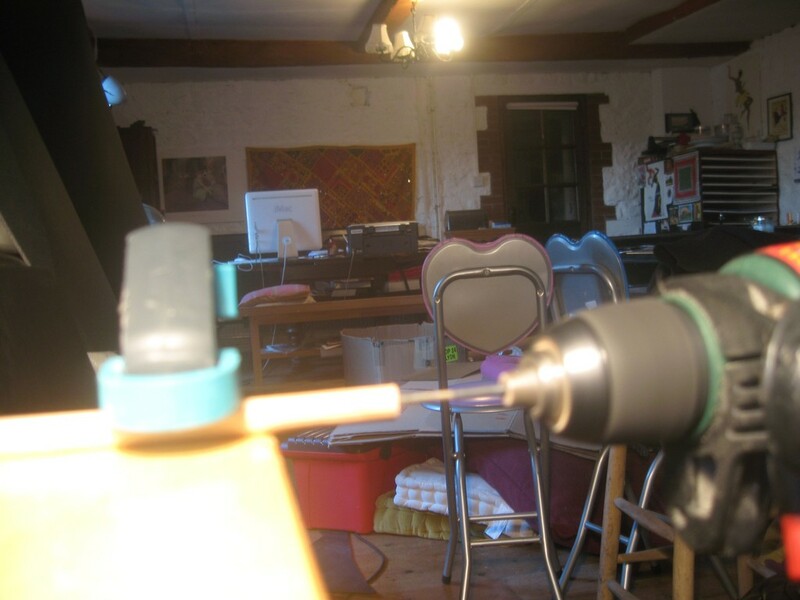 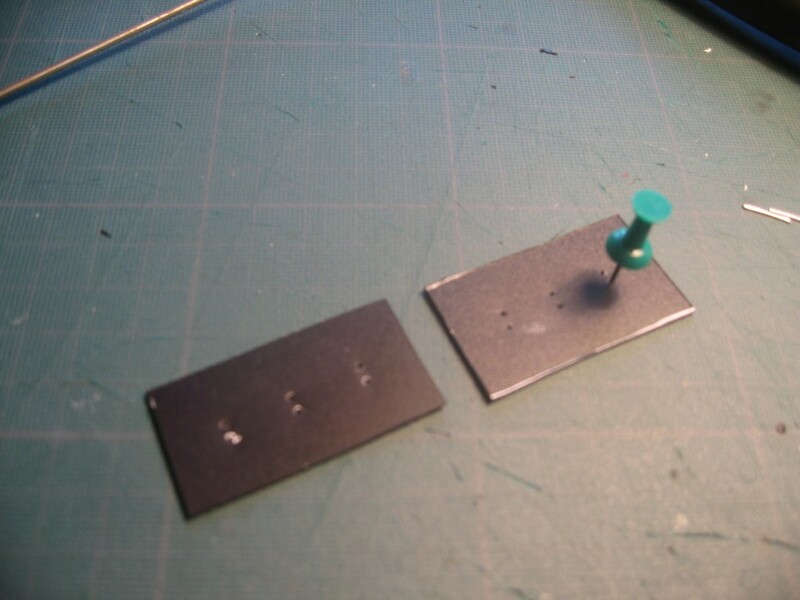 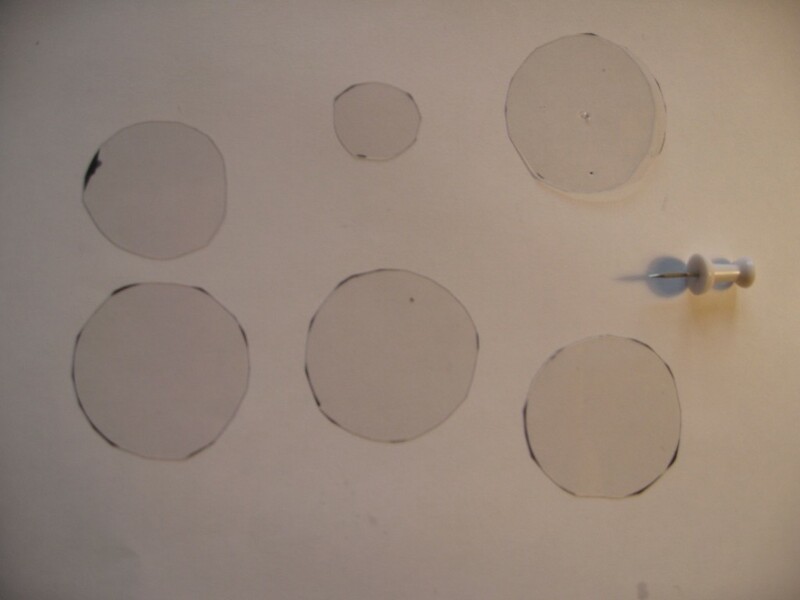 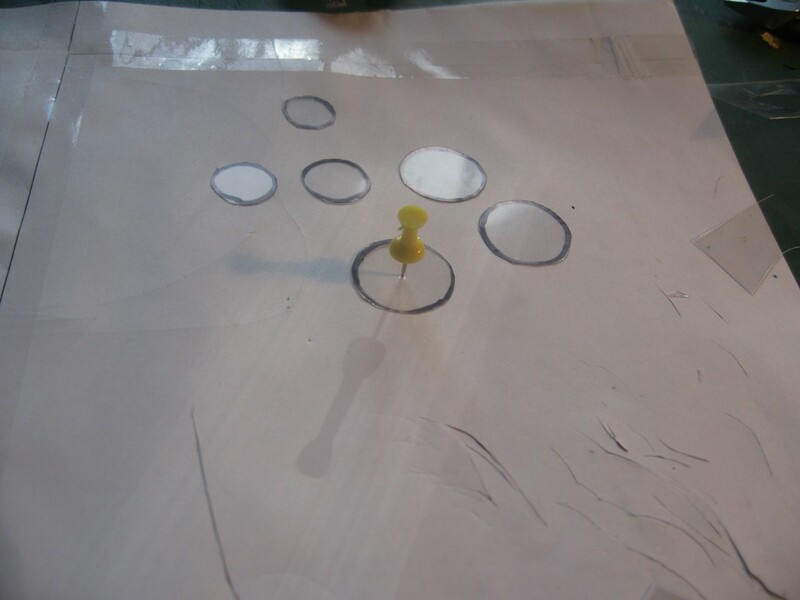 Using a drawing pin make holes for joints. 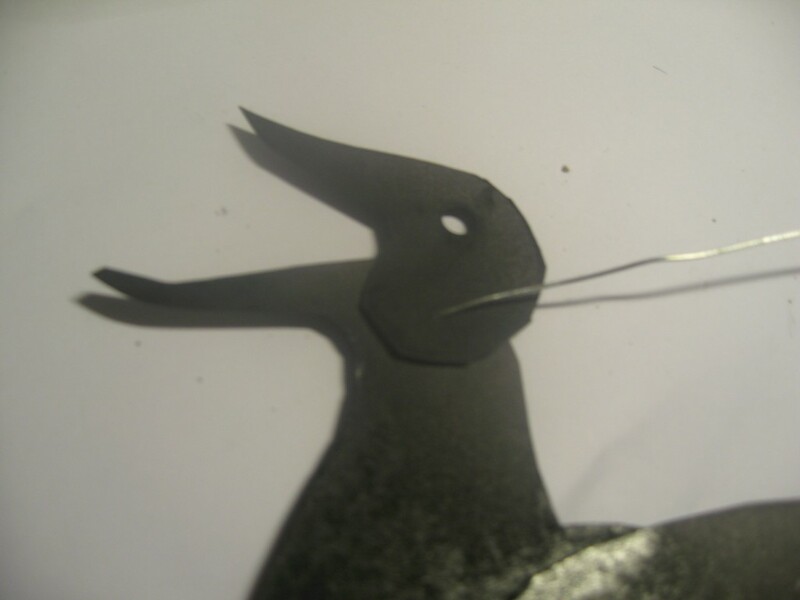 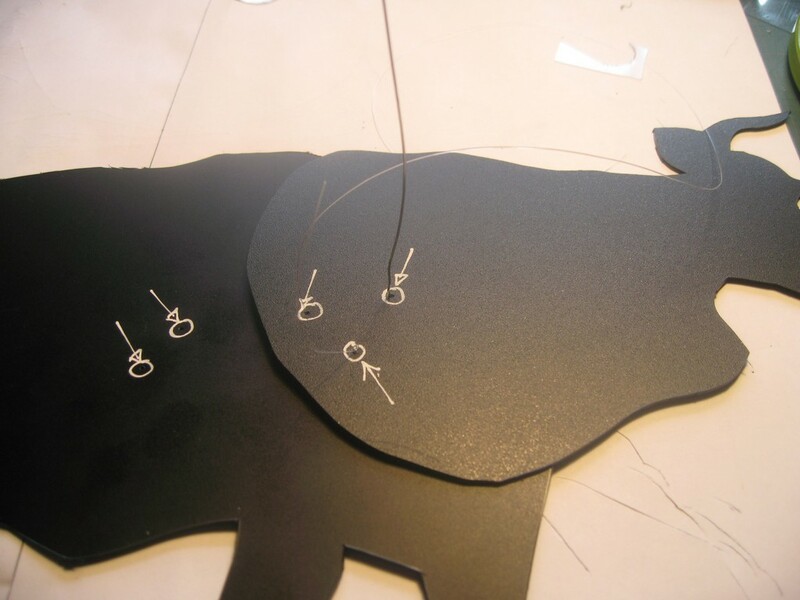 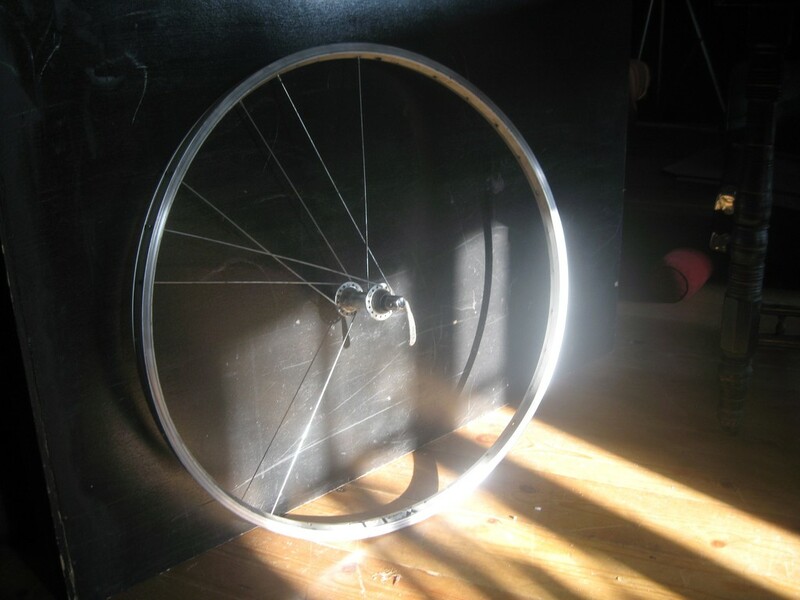 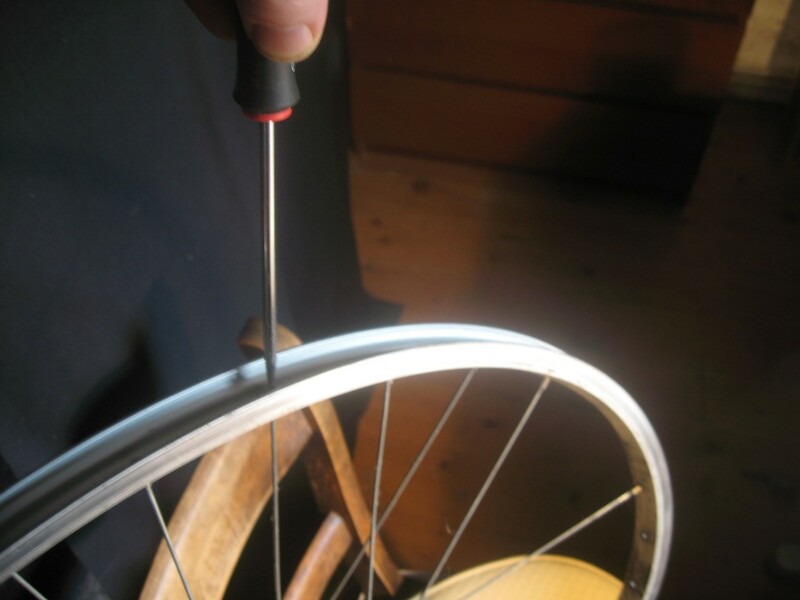 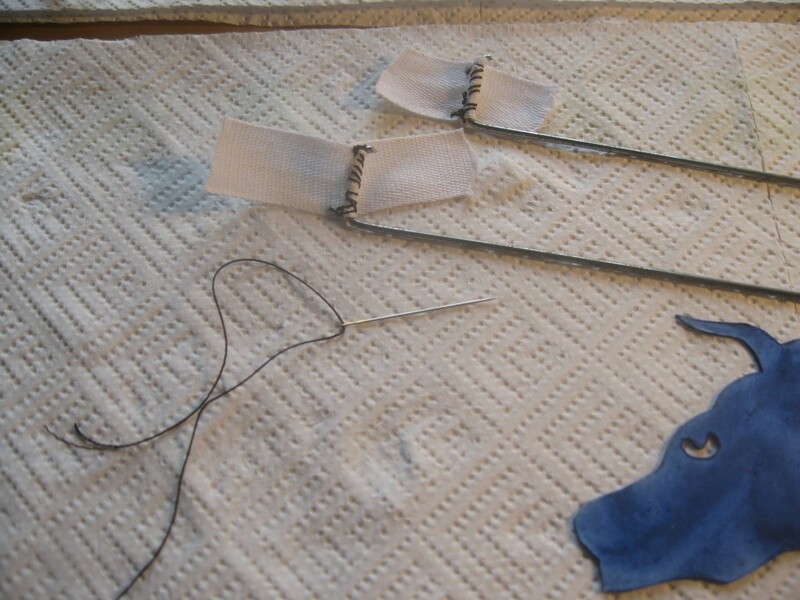 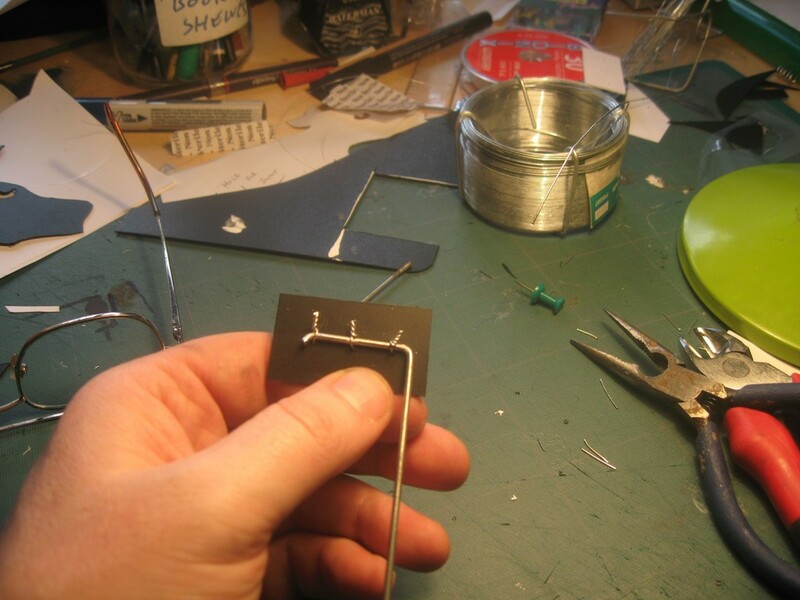 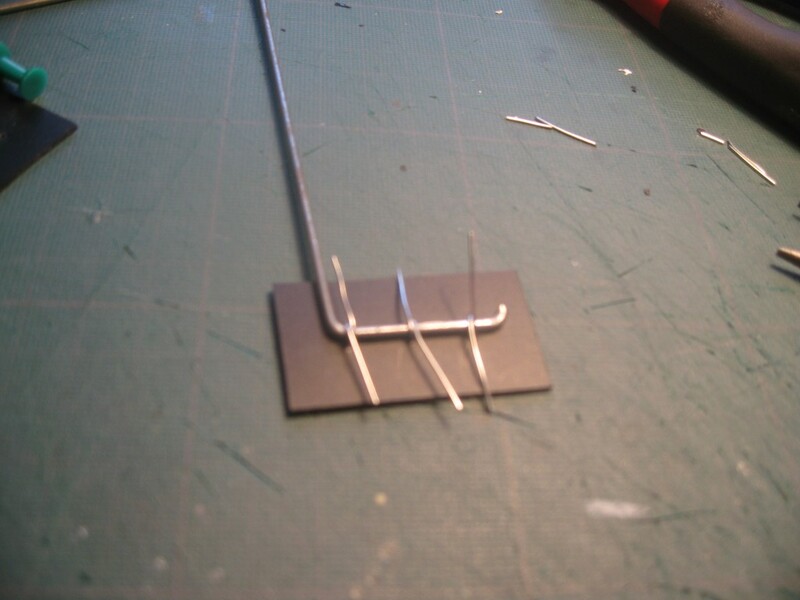 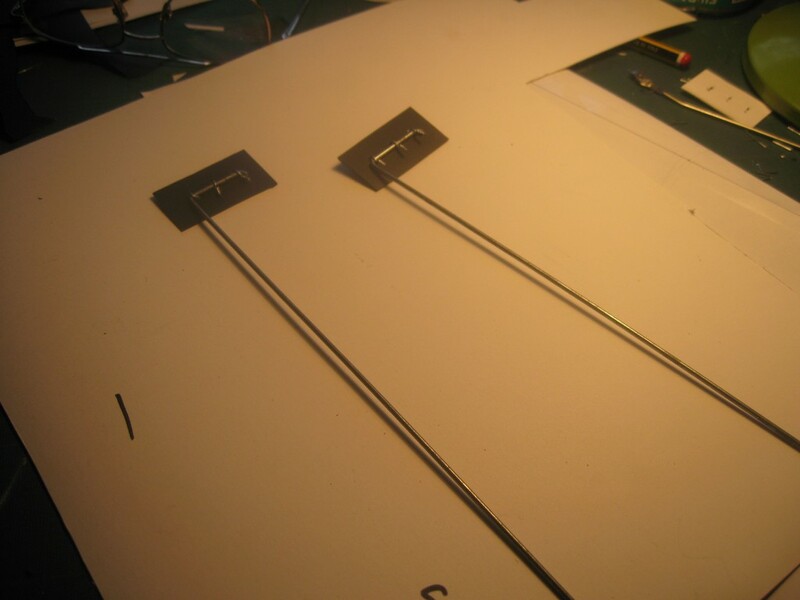 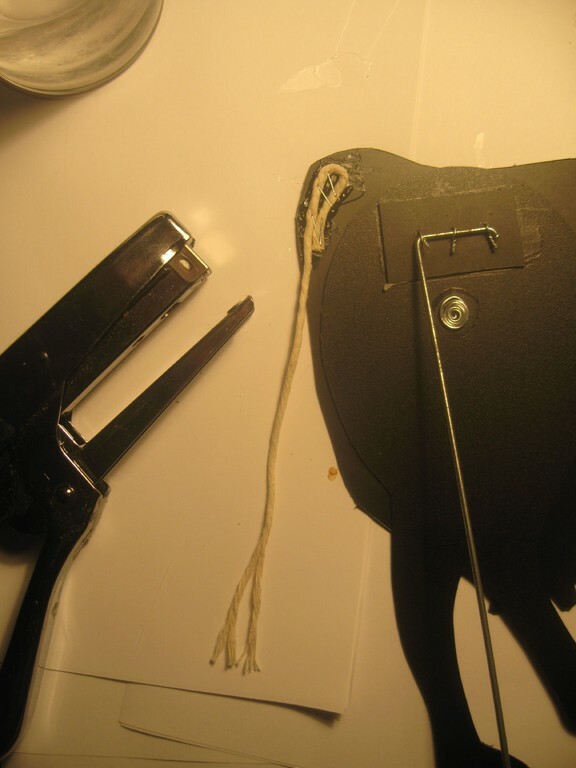 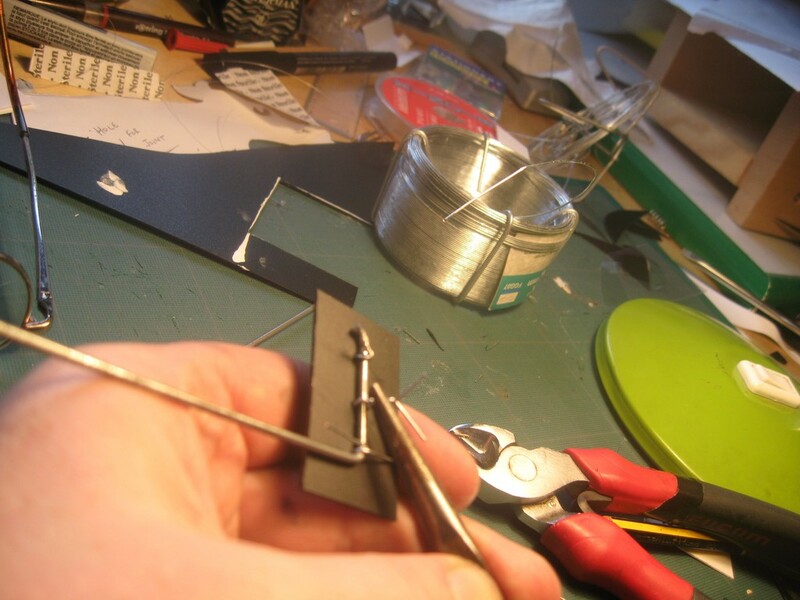 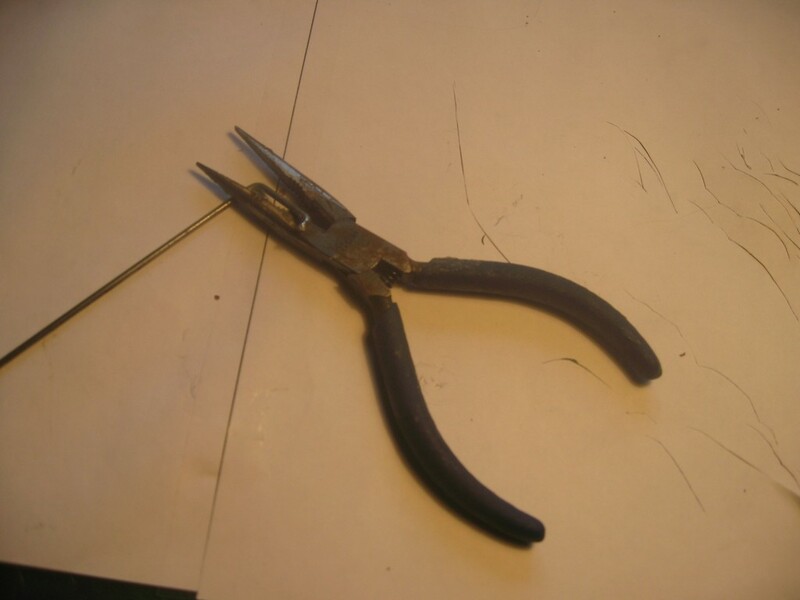 7) Push wire through the holes of the parts that you wish to link together. 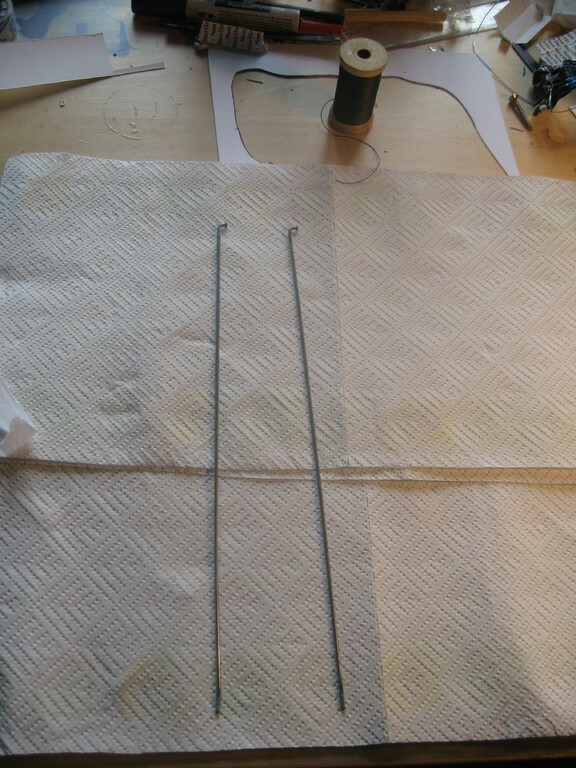 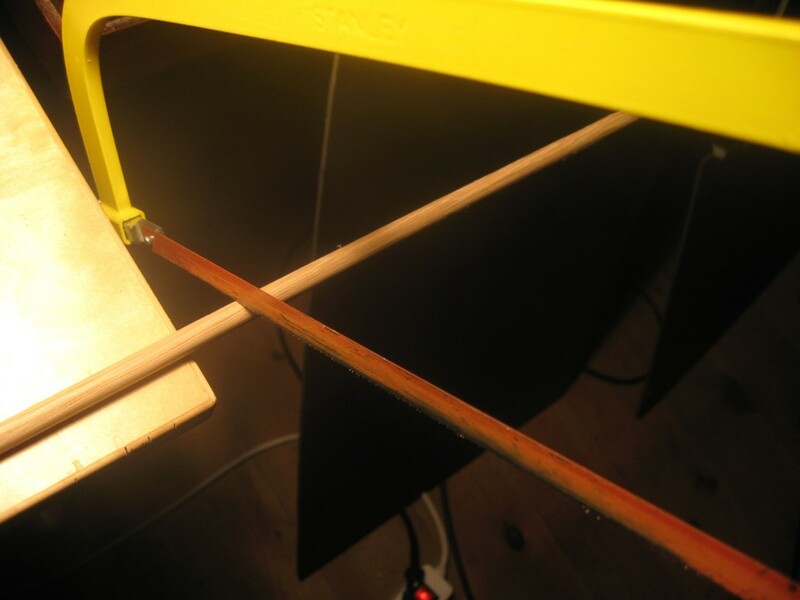 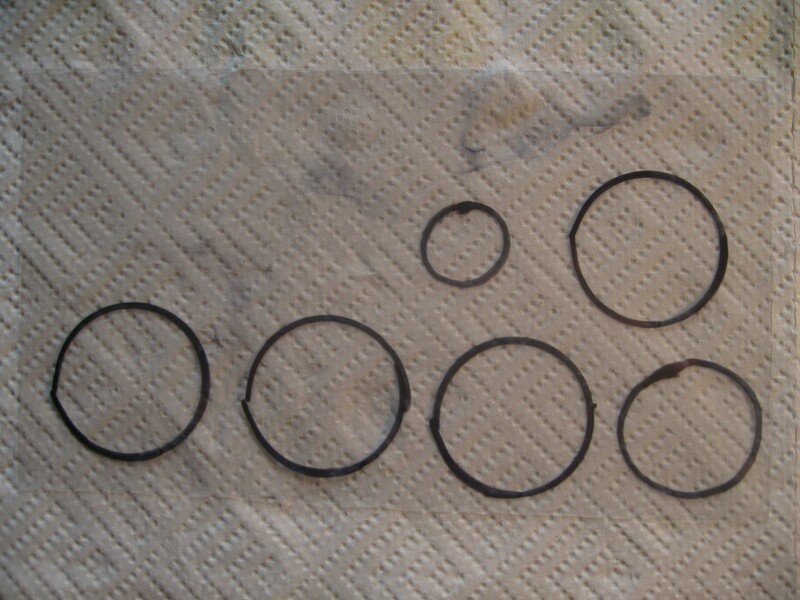 Make washers and push through wire so that they are between moving parts. 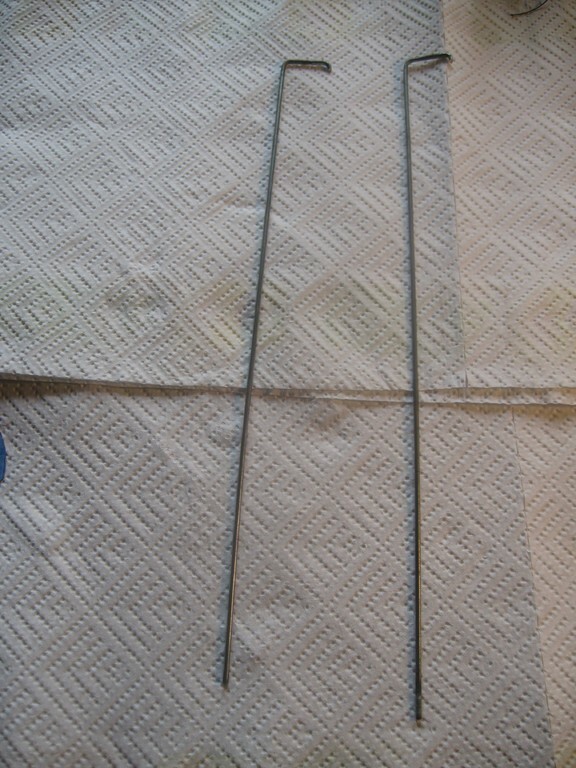 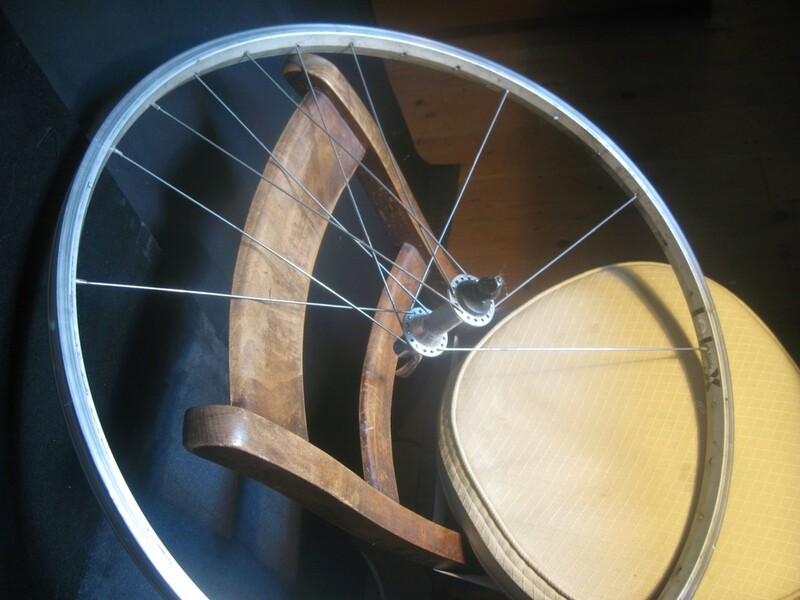 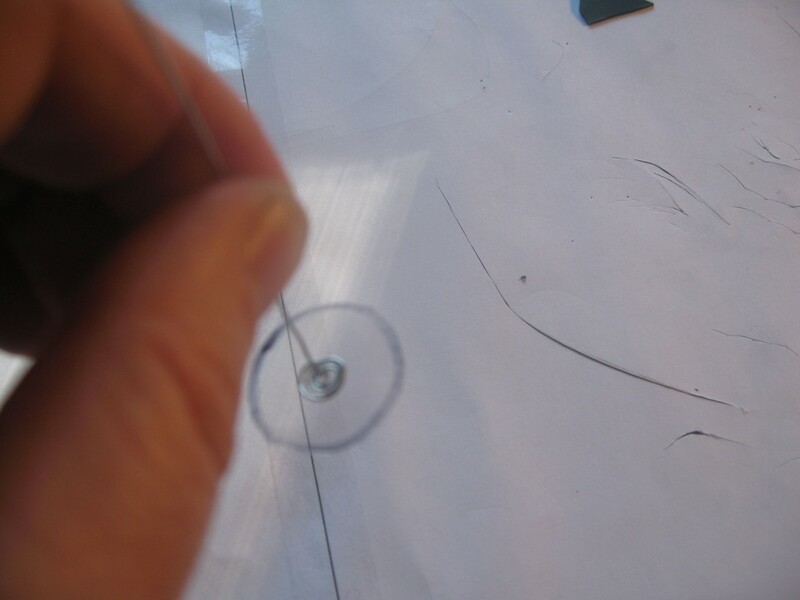 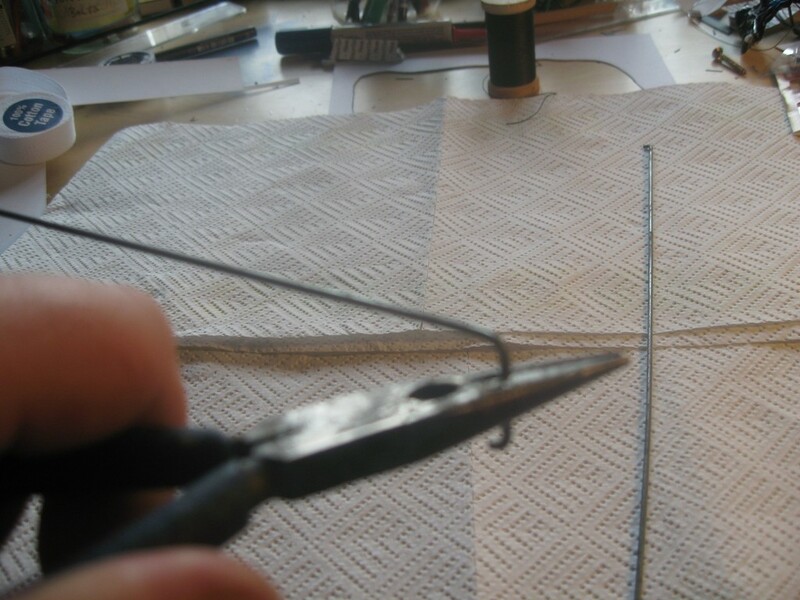 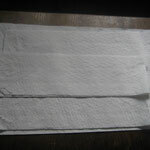 Joints are sealed on either side by making spirals in the wire (see photos below). 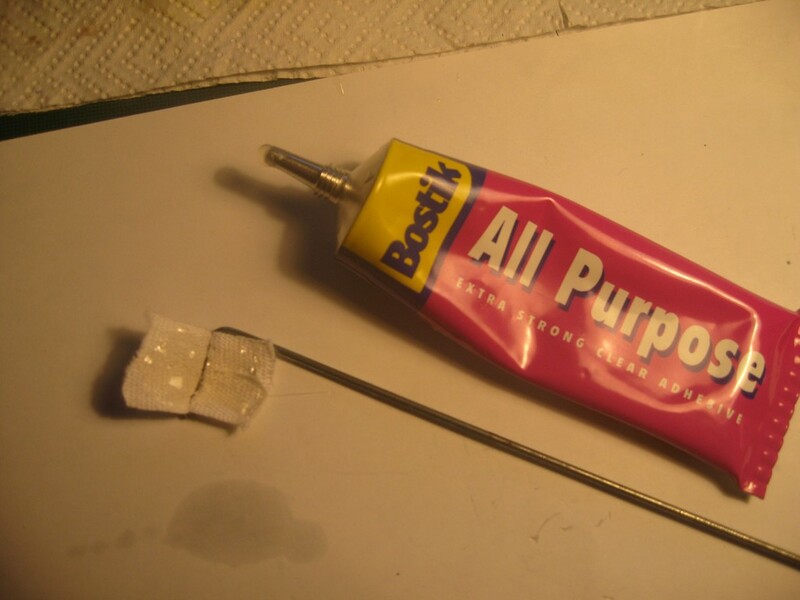 Link all parts together. 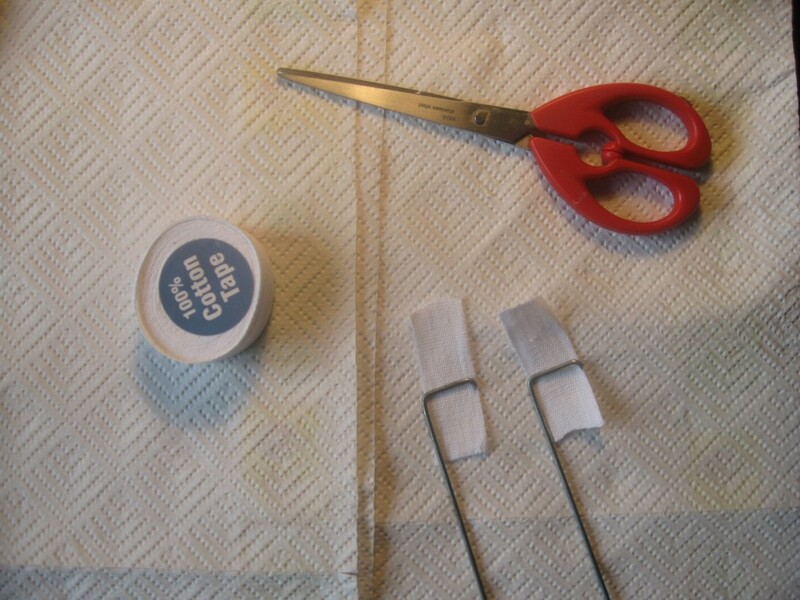 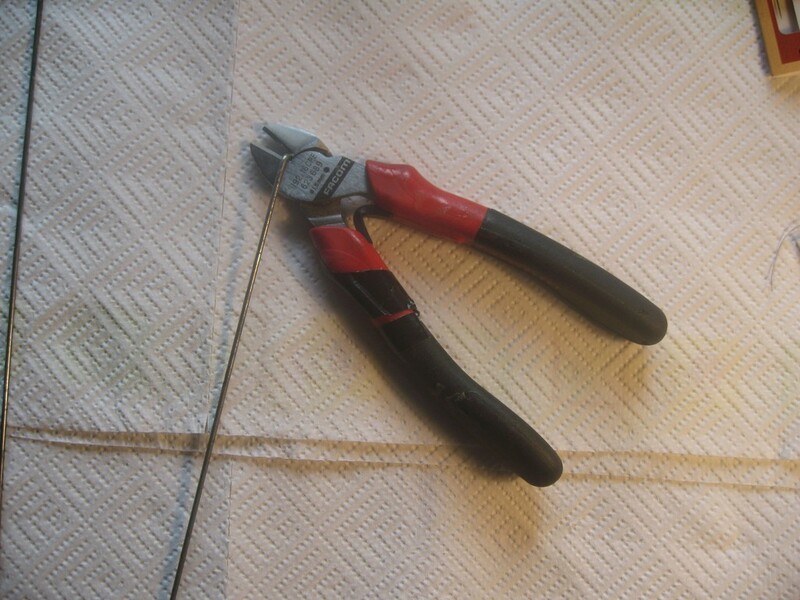 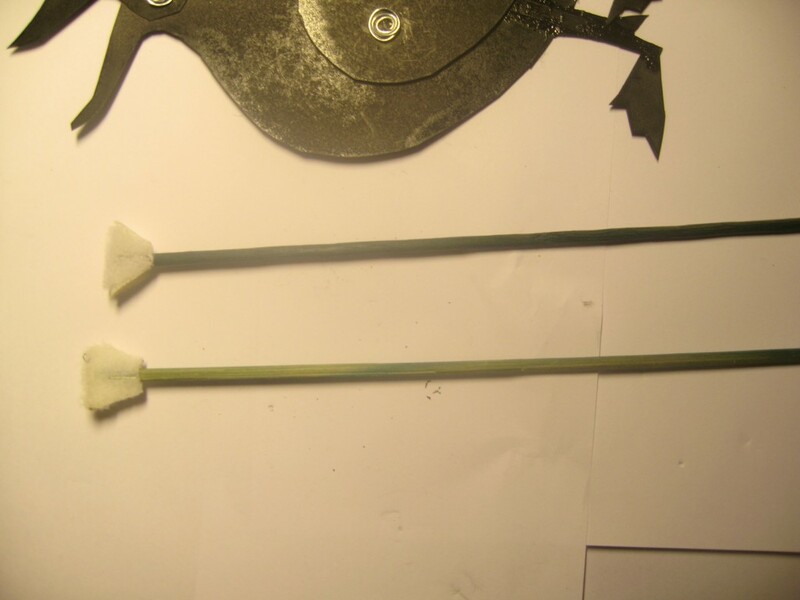 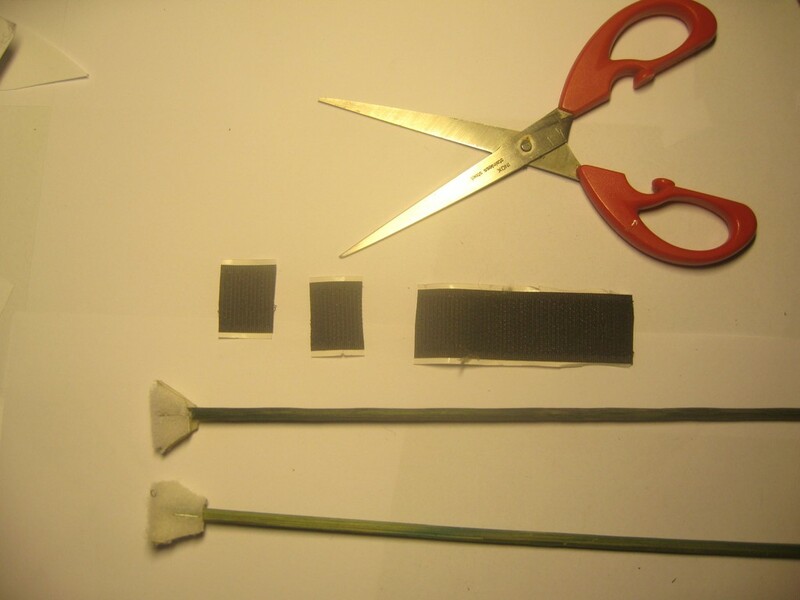 8) Fixing rods - stick a piece of self-sticking smooth velcro to one end of a plant stick and reinforce with one or two staples. 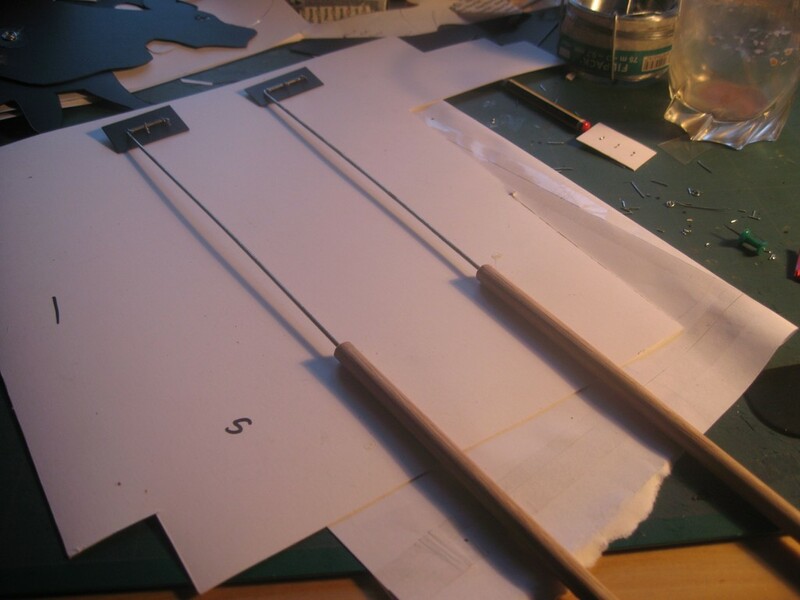 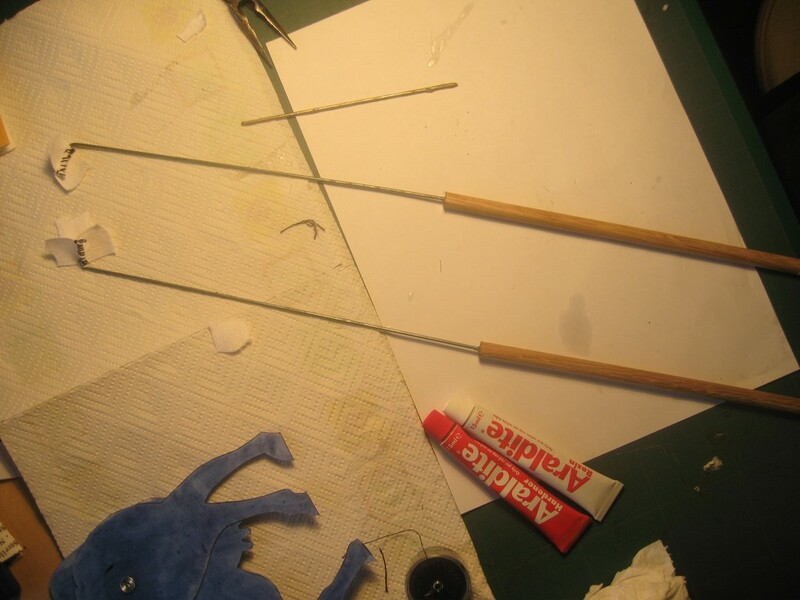 Decide where you want the rod to be attached to the body and stick a piece of bristly velcro to that point, now you can stick rod to the body. 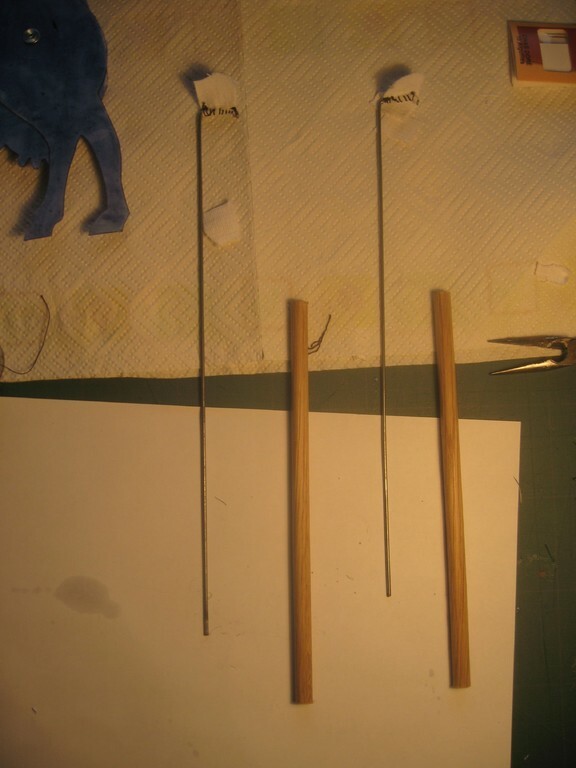 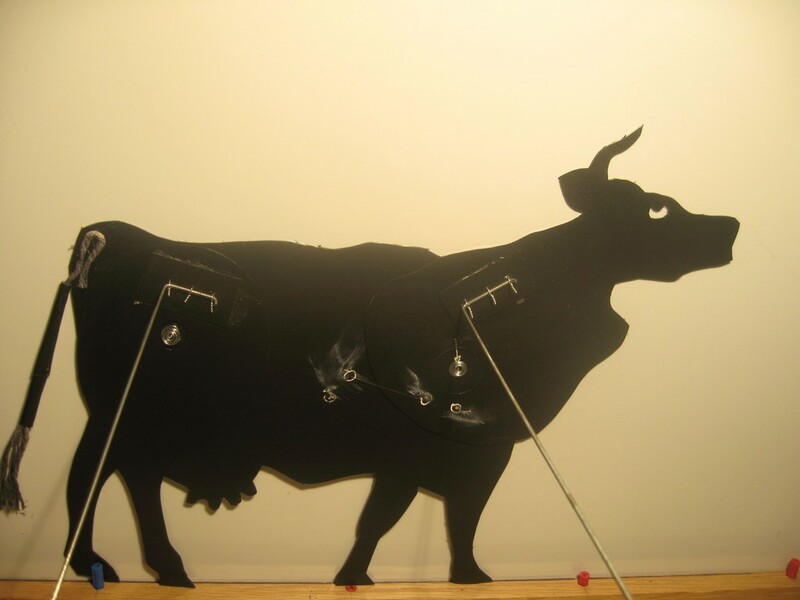 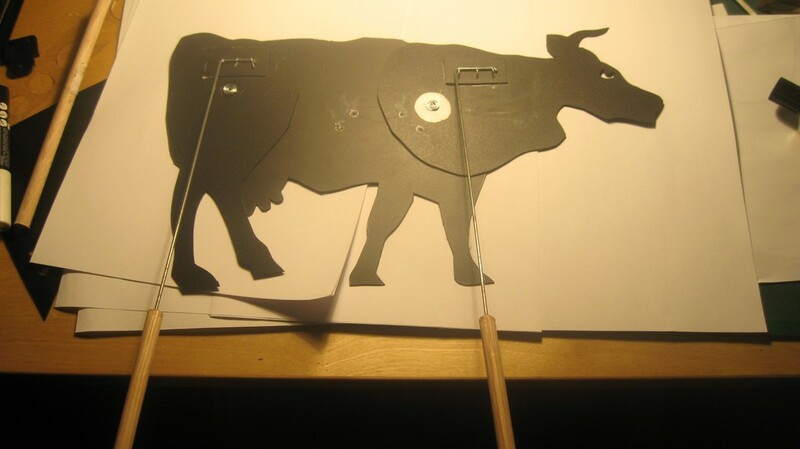 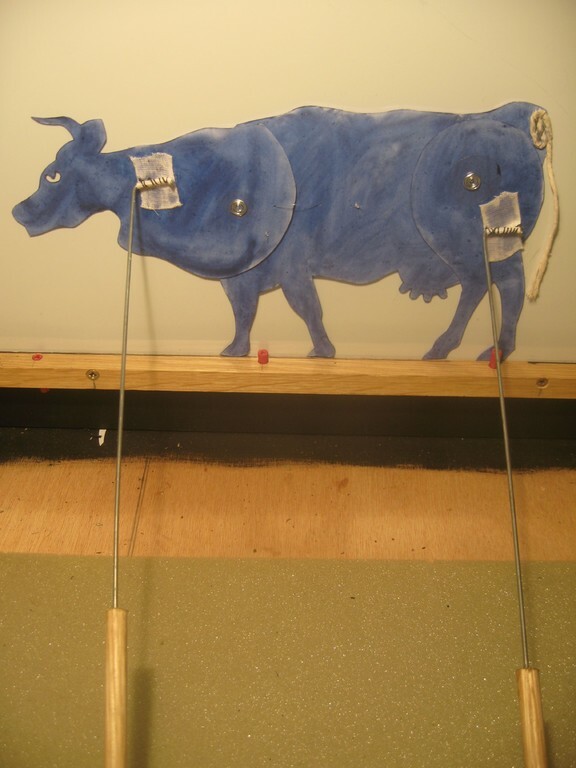 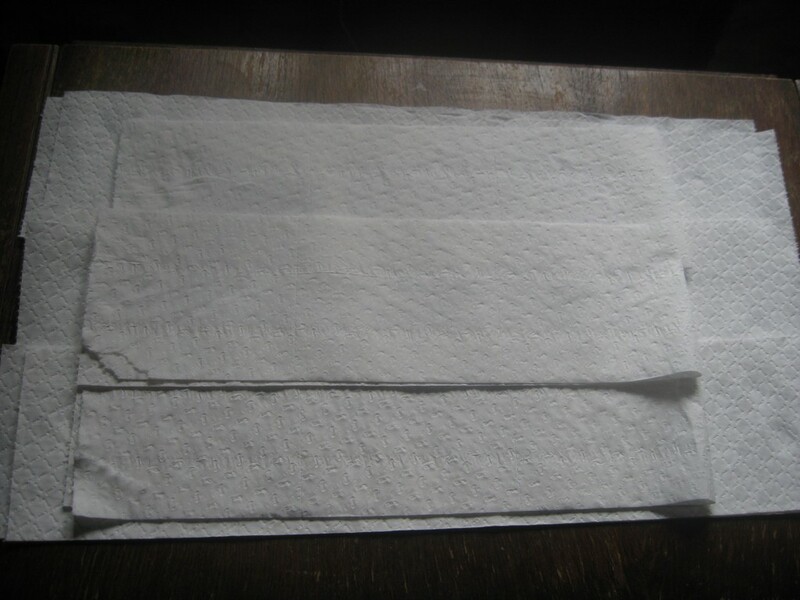 9) Once the two rods are on try the puppet out against the screen! 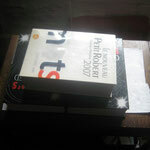 Materials : pencil, rubber, paper, card, hole puncher, self sticking velcro, plant sticks, scissors, BluTack, pliers, wire. 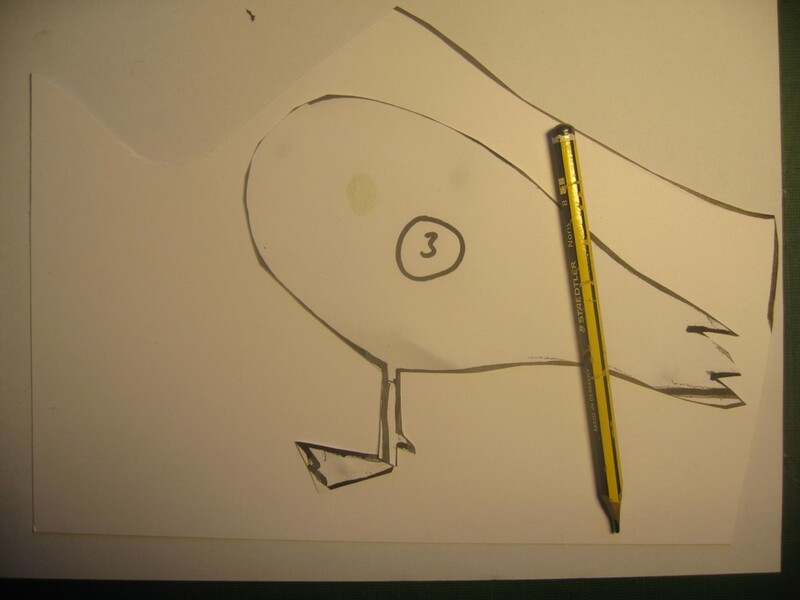 Stationers : pencil, rubber, paper, scissors, BluTack. 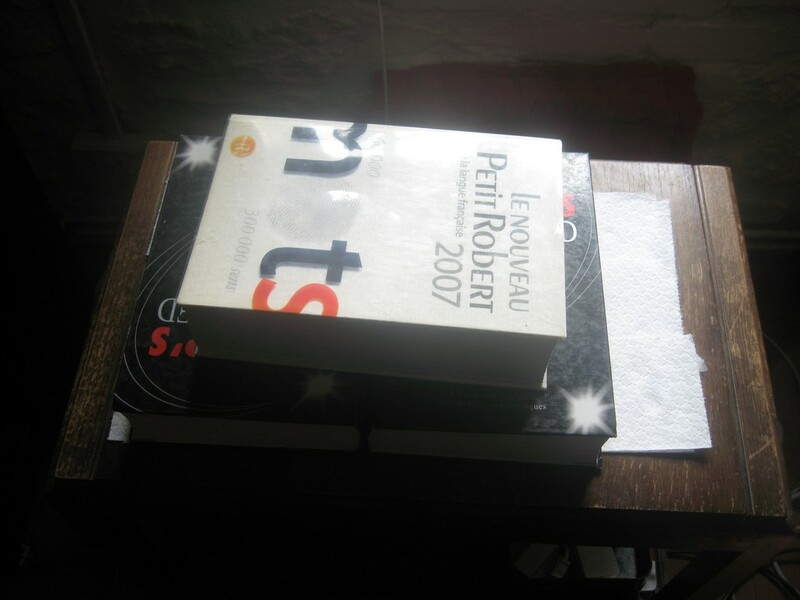 Click on a photo to see it enlarged. 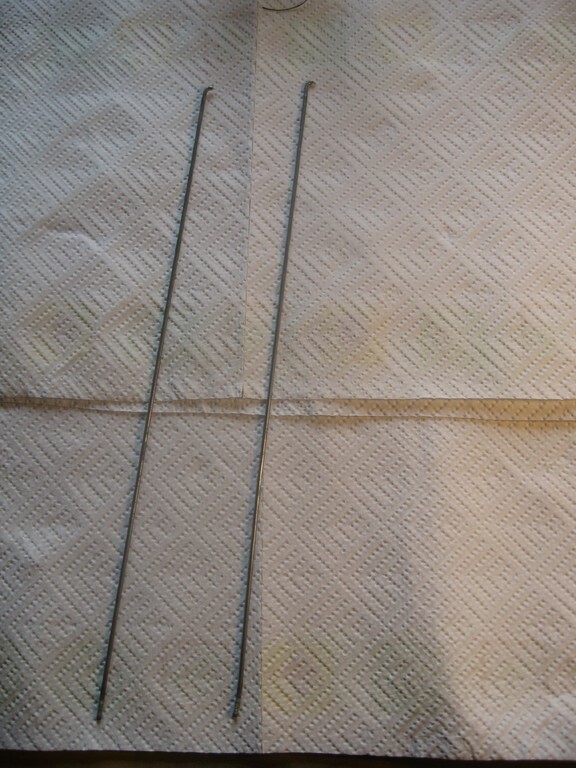 Click on the right of the photo to see the next one, on the left to see the one before. 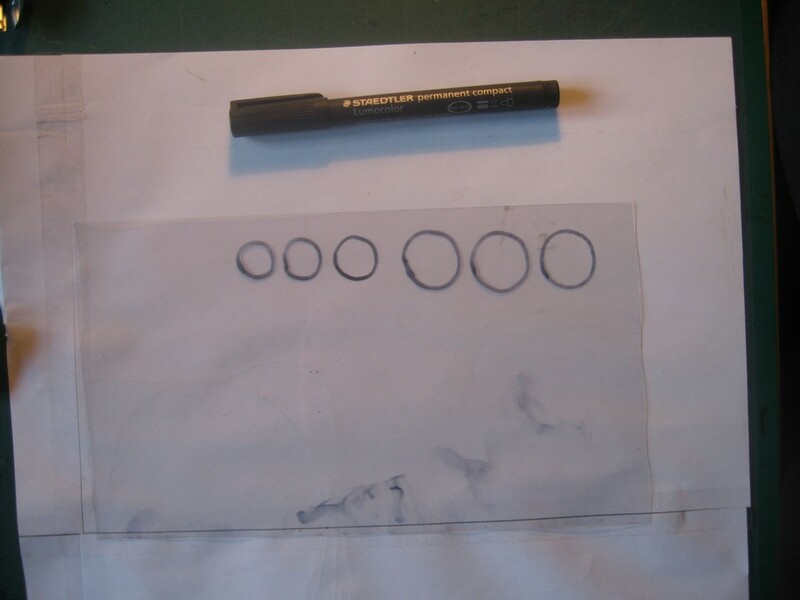 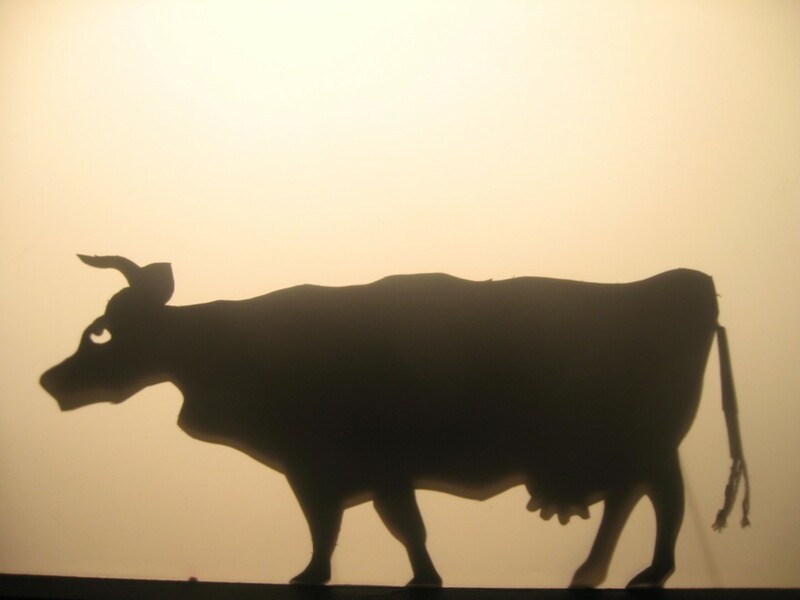 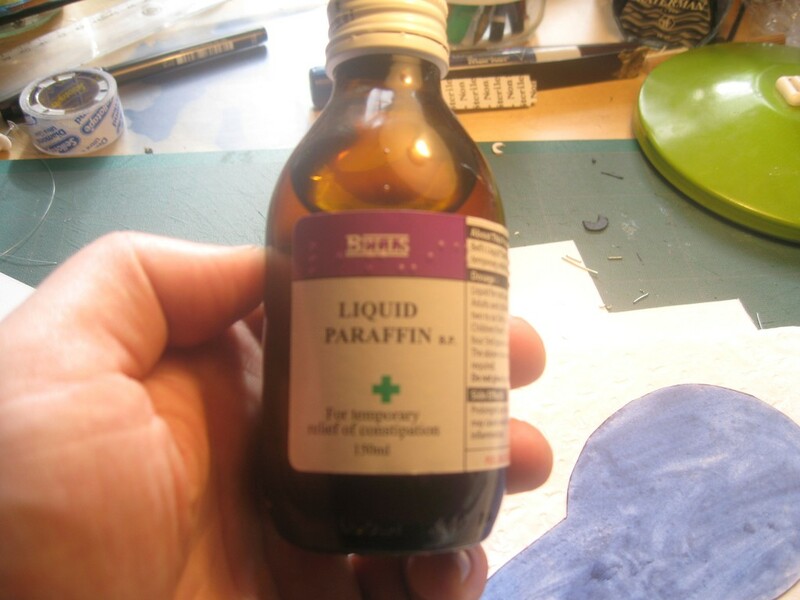 Click on a photo to see it enlarged, then click on right of photo to go to the next one. 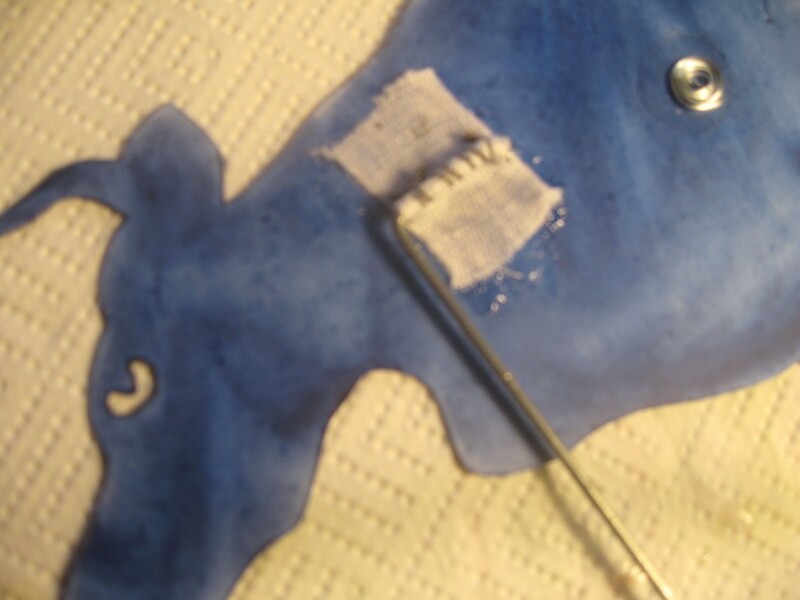 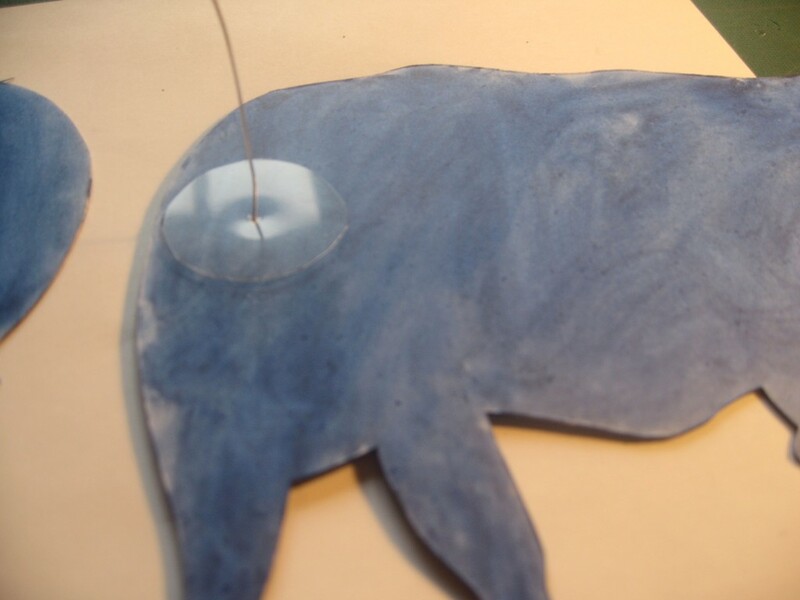 Paraffin oil, blue ink, string, Kitchen roll, bike spoke, dowel, drill, needle and thread, cotton tape, pliers, Bostick, Araldite, push pins, marker, pencil, Blu Tak, scalpel, scissors, fishing line, wire, Bristol board, transparent plastic, (paper) . 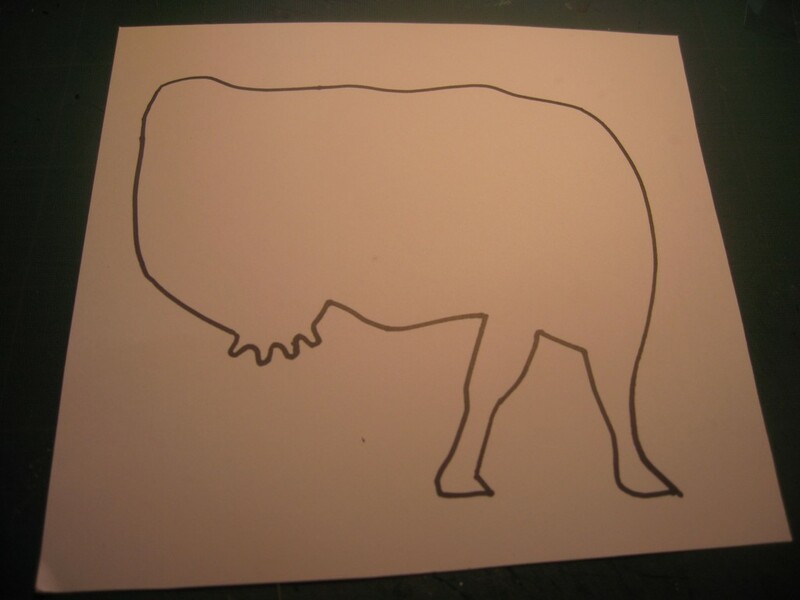 Click on photo to enlarge and see instructions. 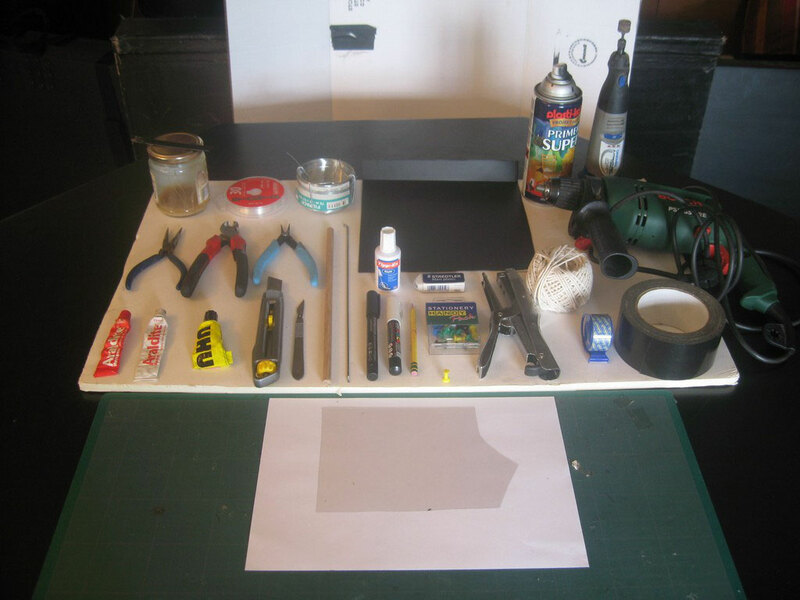 1)Evostick, thread, wire, plastic, paint, Dremel (2) pliers, Tippex, rubber, string, drill, (3) glues, craft knife, scalpel, dowel, bike spoke, markers, pencil, push pins, stapler, selotape, gaffer tape, (4) cutting board, paper, transparent plastic.